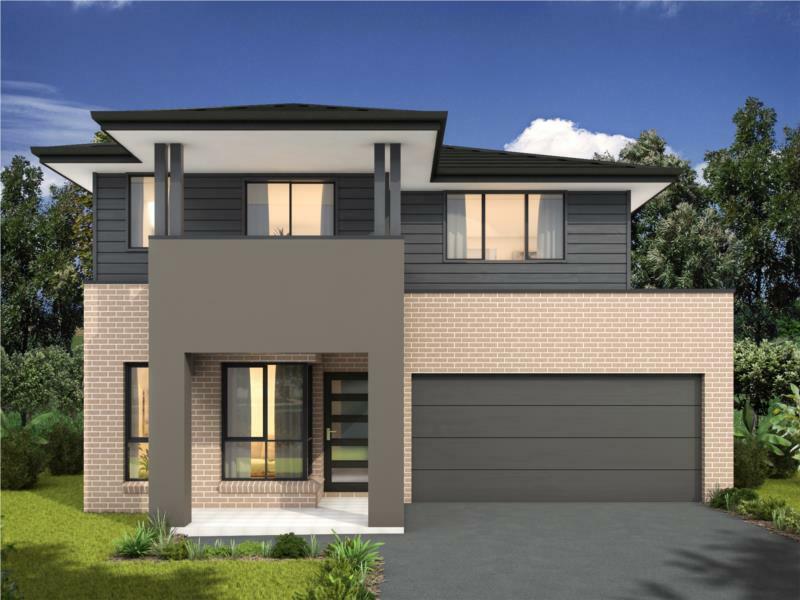 Your new dream home is waiting for you nestled at the base of the Illawarra' iconic escarpment in one of the newest master planned communities. 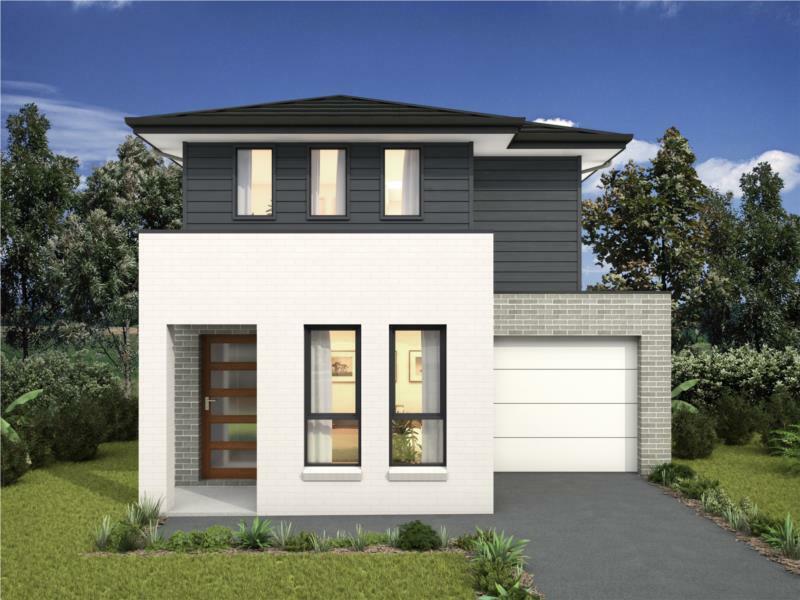 Feel part of something in this new suburb which will have every amenity you could dream of and which connects the bushland to the coast, celebrating the natural beauty of the environment around it. 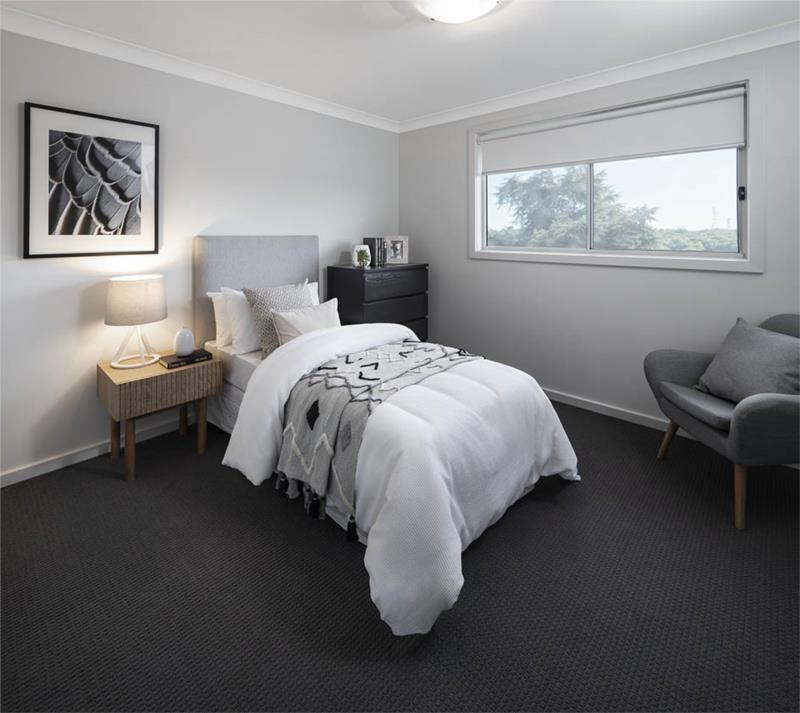 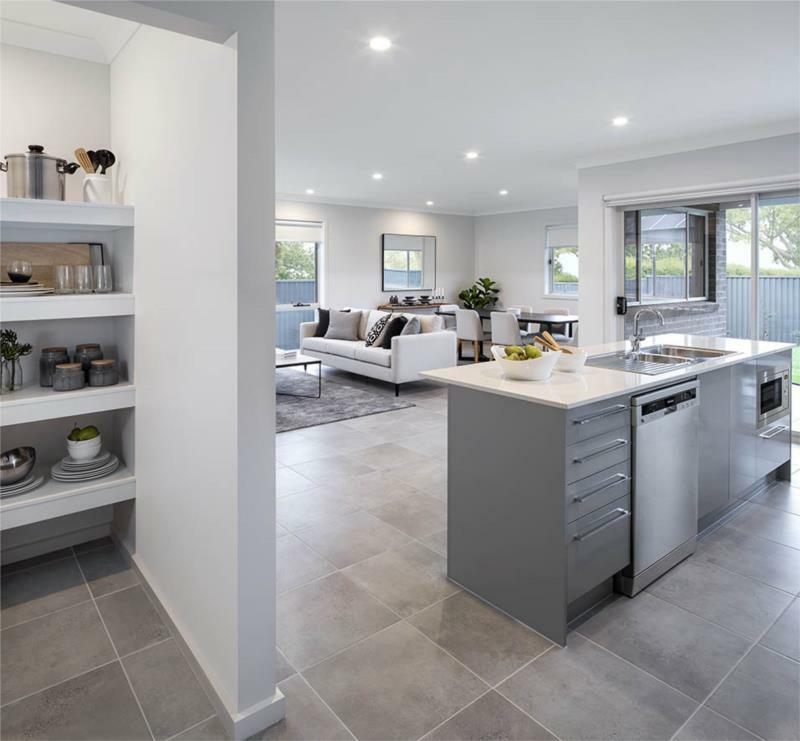 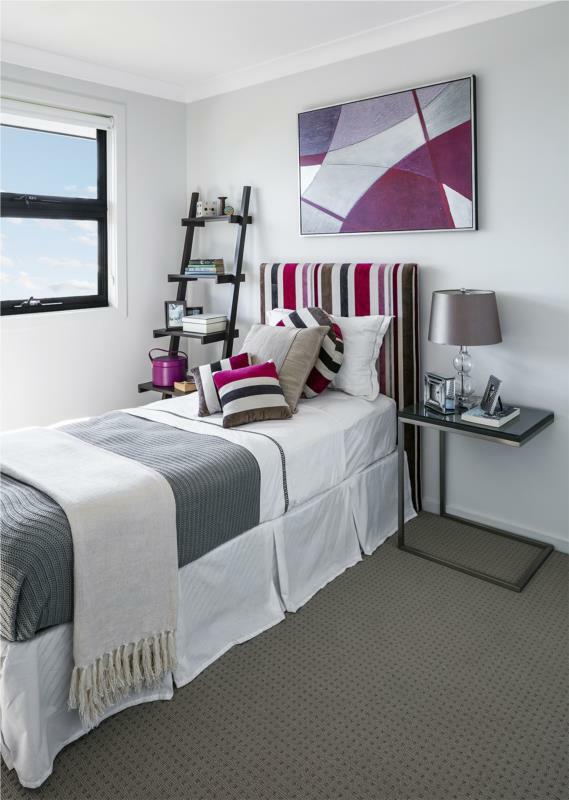 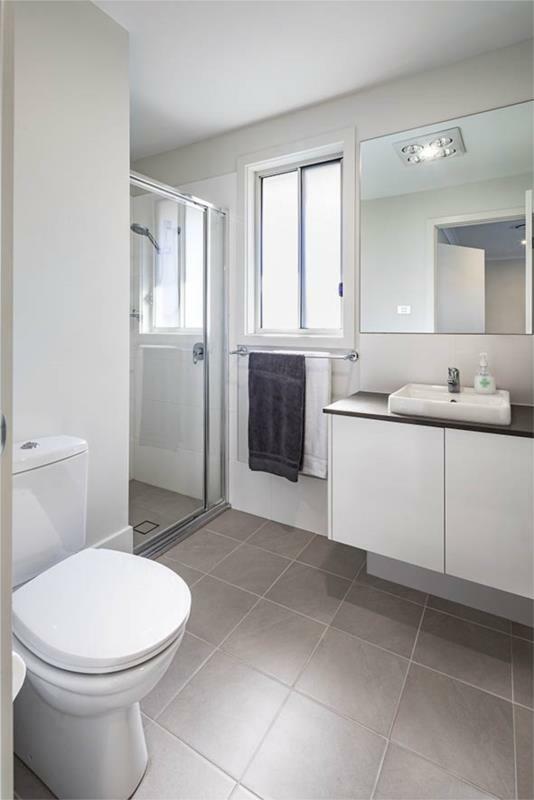 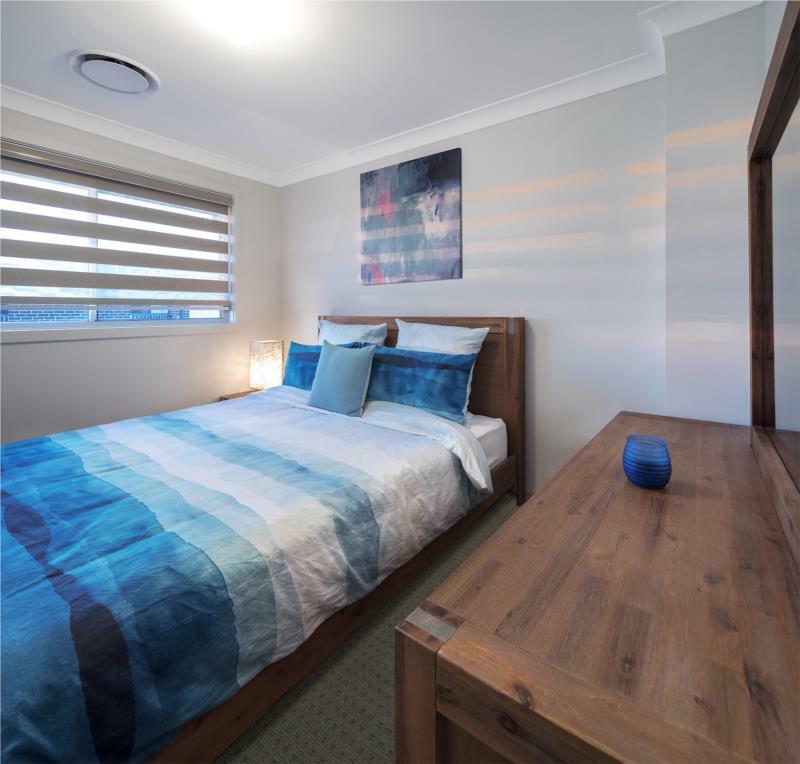 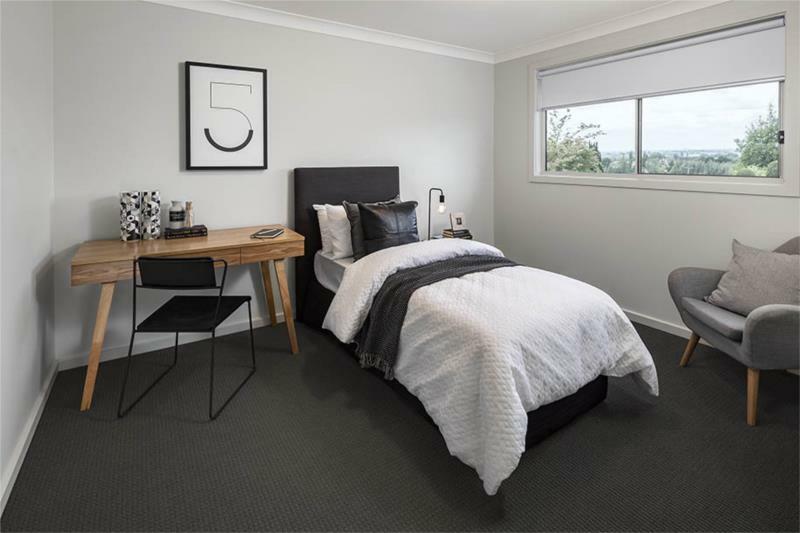 At New Edge Homes (a part of the Masterton group) we’re all about making things simple and affordable using the most cutting edge building technologies and focusing on elegant and functional designs. 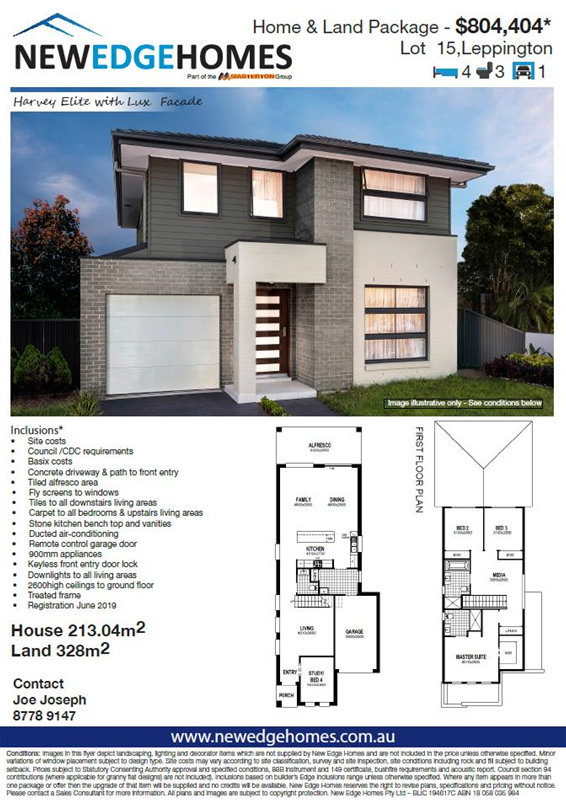 Contact us now for more information on this great package! 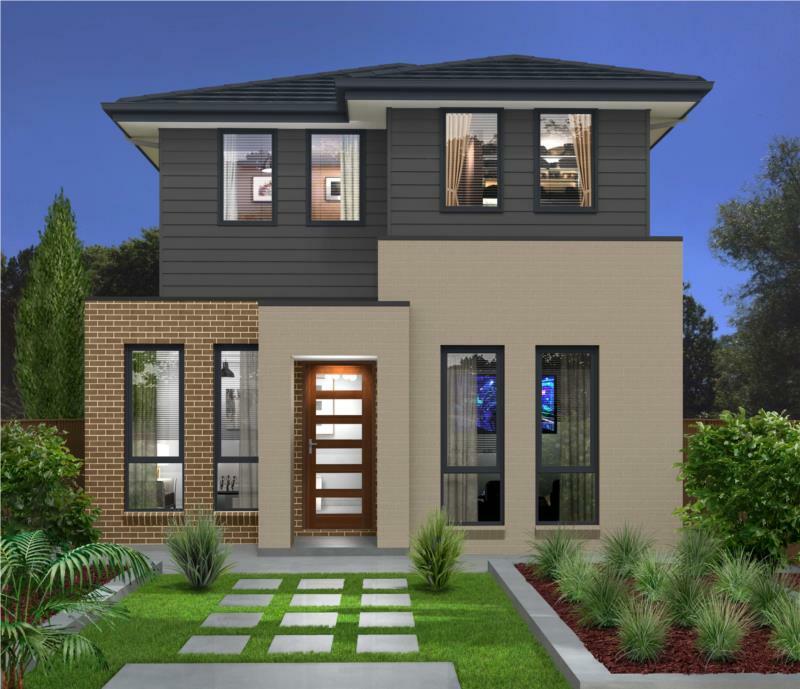 When you think of New Edge homes, think of seamlessly entwined living spaces, designs that ooze with elegance and architectural appeal, where luxury meets functionality and if you can believe it – affordability. 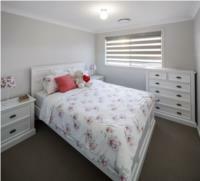 Sound nice? Well now your able to buy your own New Edge designed dream home at Spring Farm. 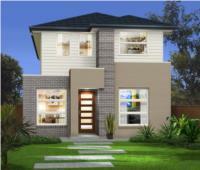 Spring Farm Riverside offers a breathtaking combination of prestigious living with the best nature has to offer. 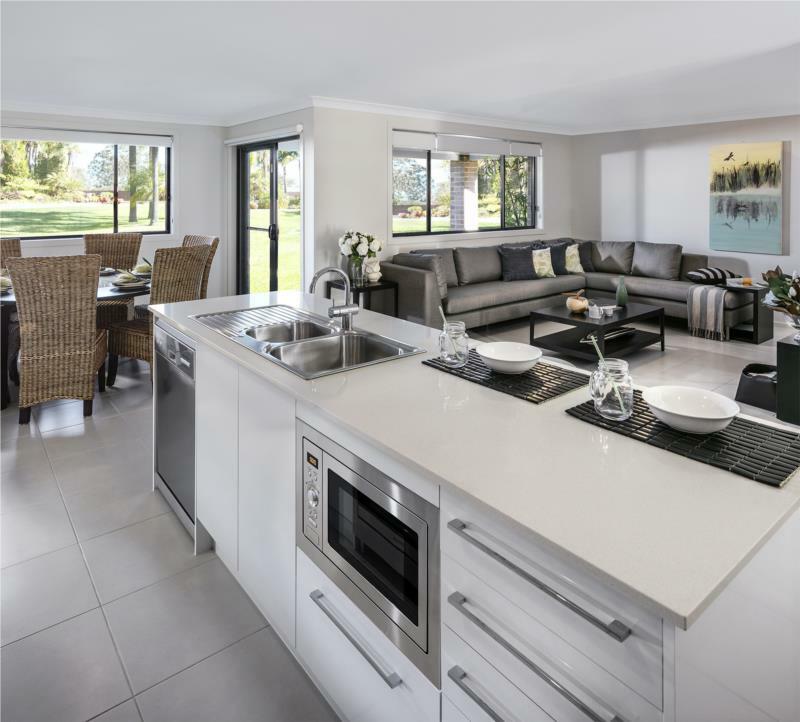 Every aspect of the landscaped grounds and infrastructure has been thoroughly planned and designed to maximise the atmosphere and quality of life. 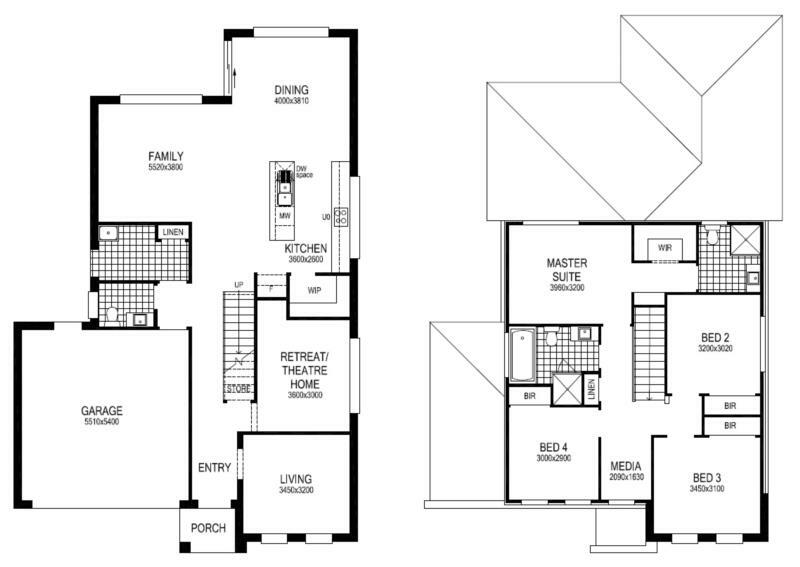 No matter what mood strikes you, Spring Farm Riverside can accommodate your needs. 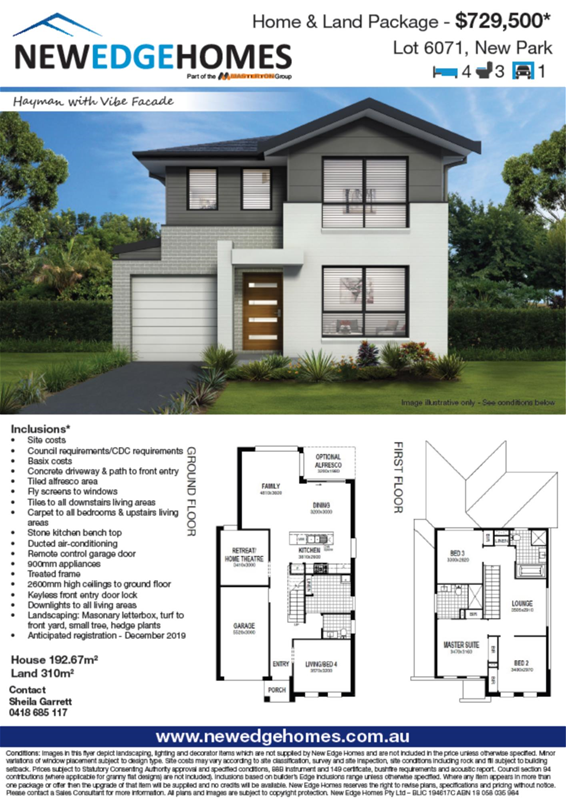 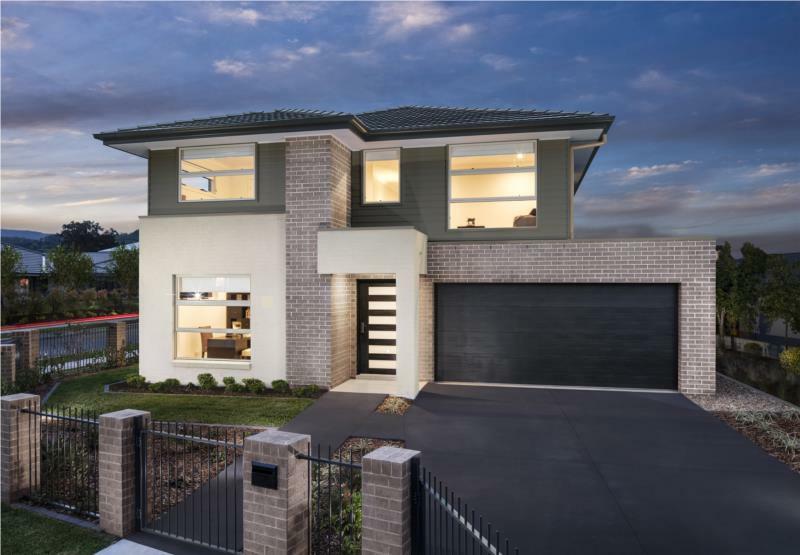 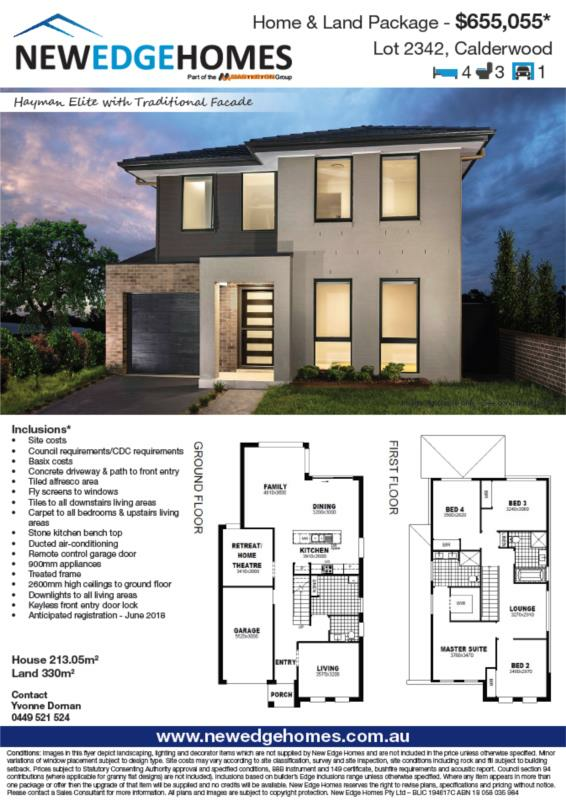 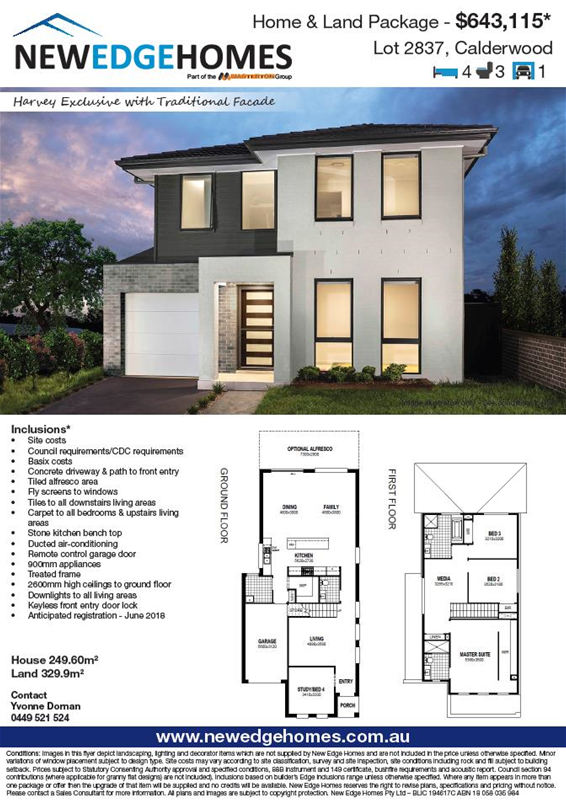 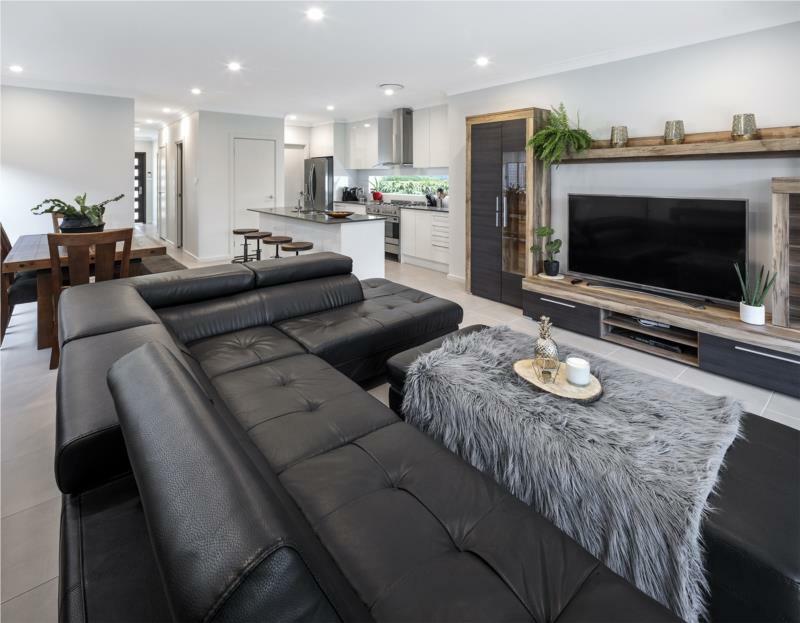 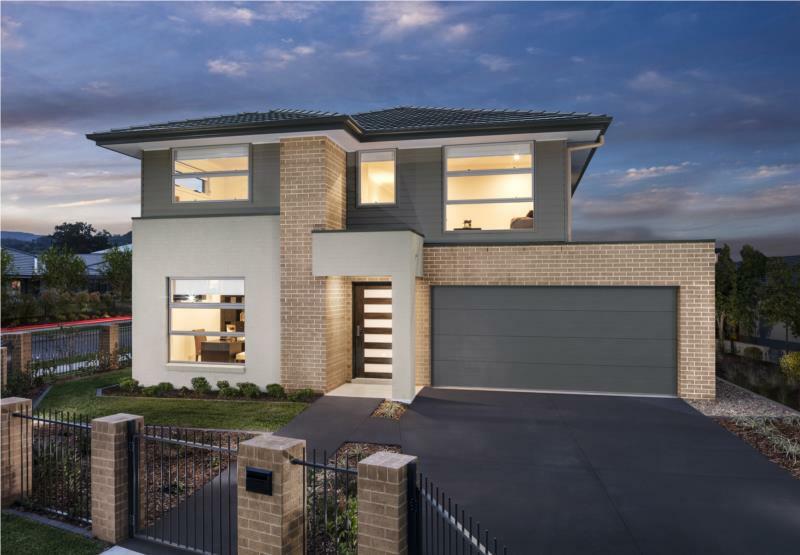 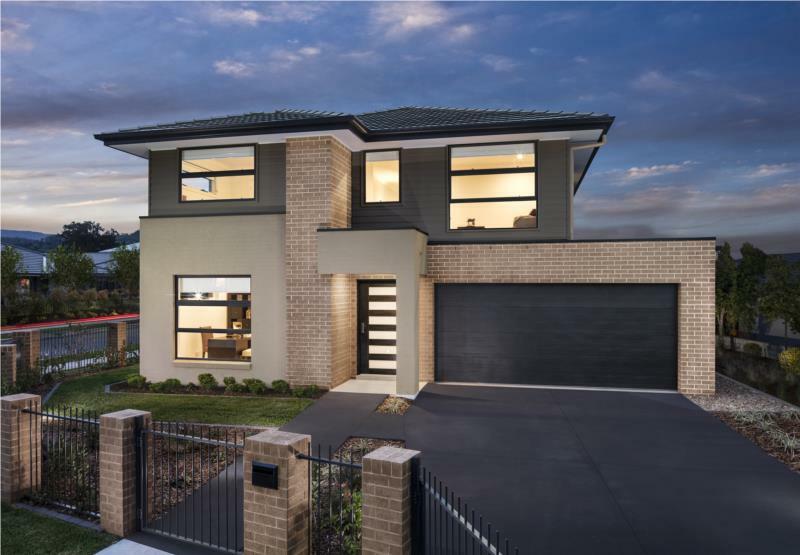 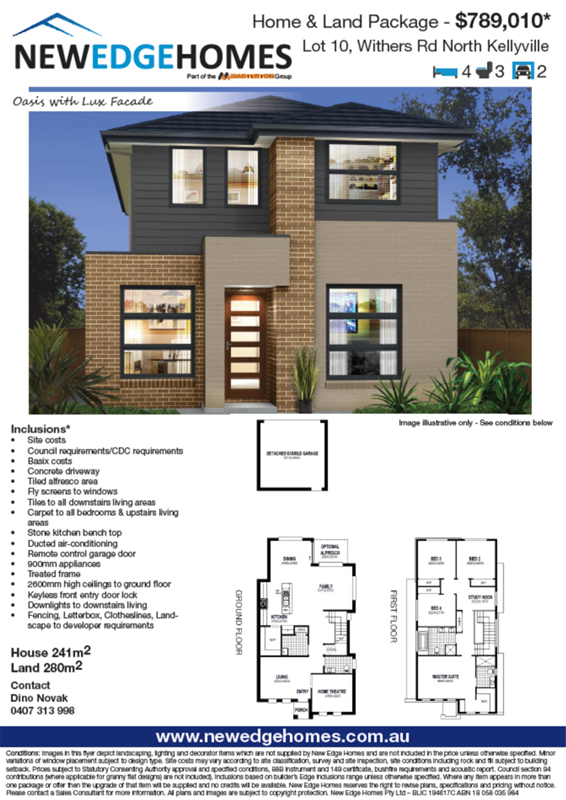 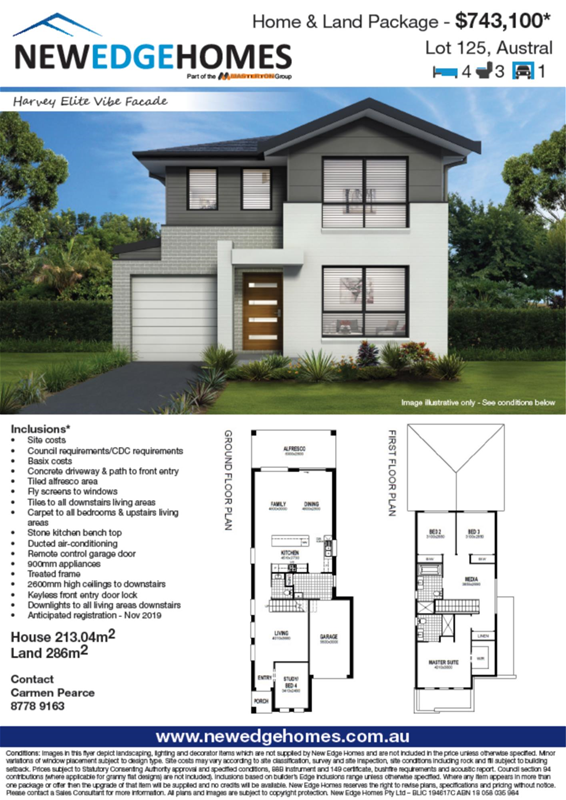 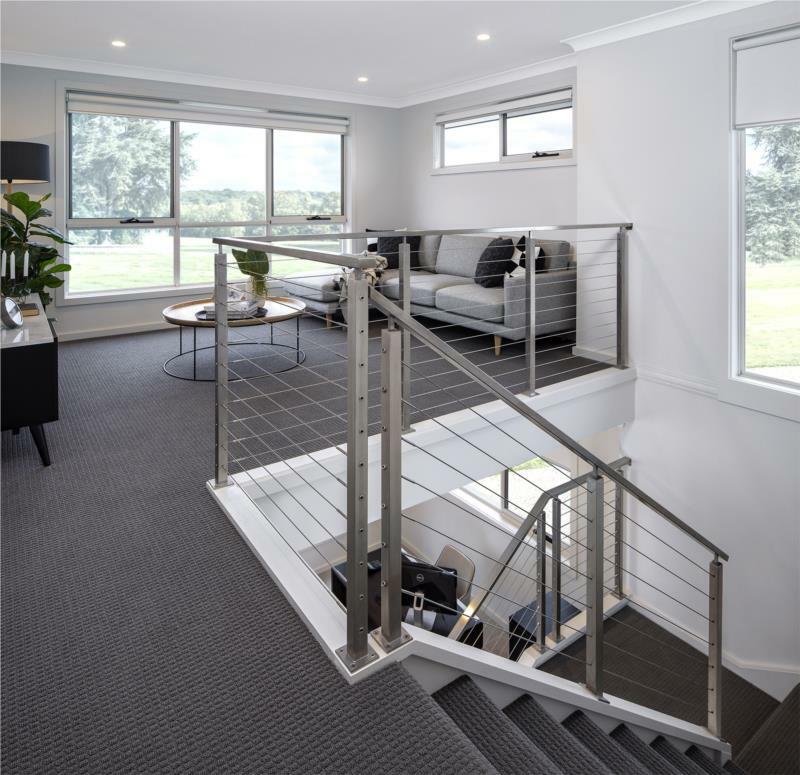 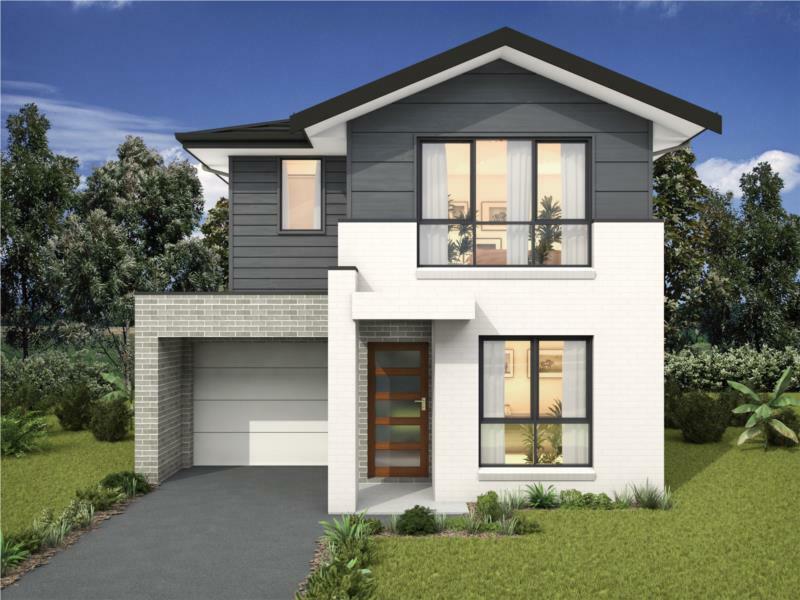 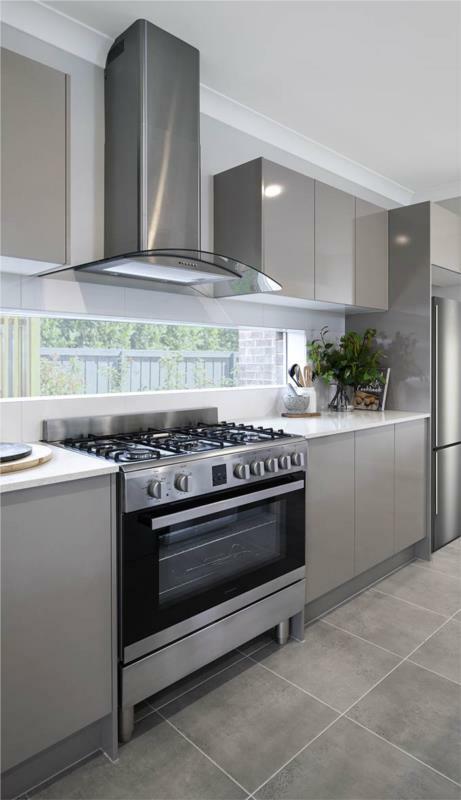 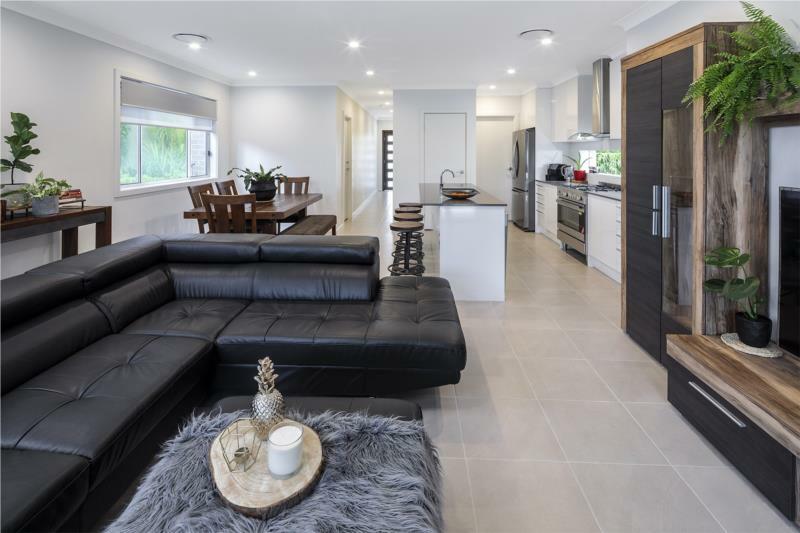 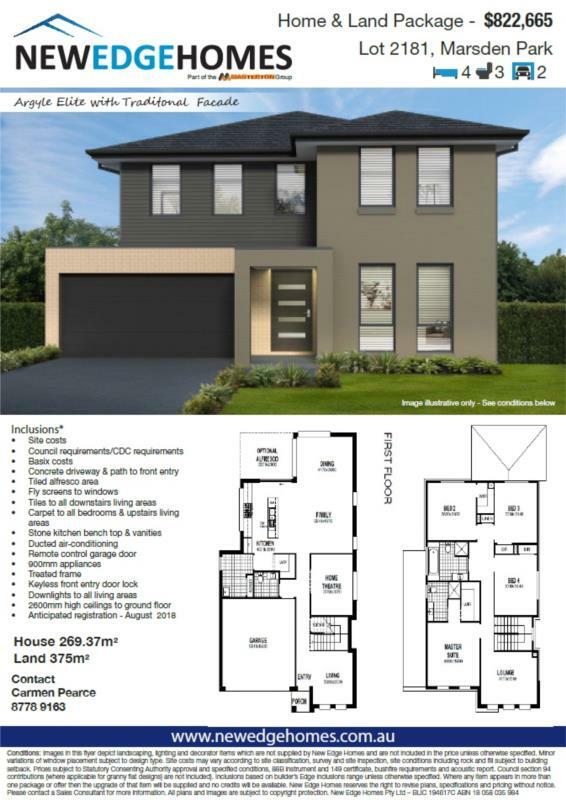 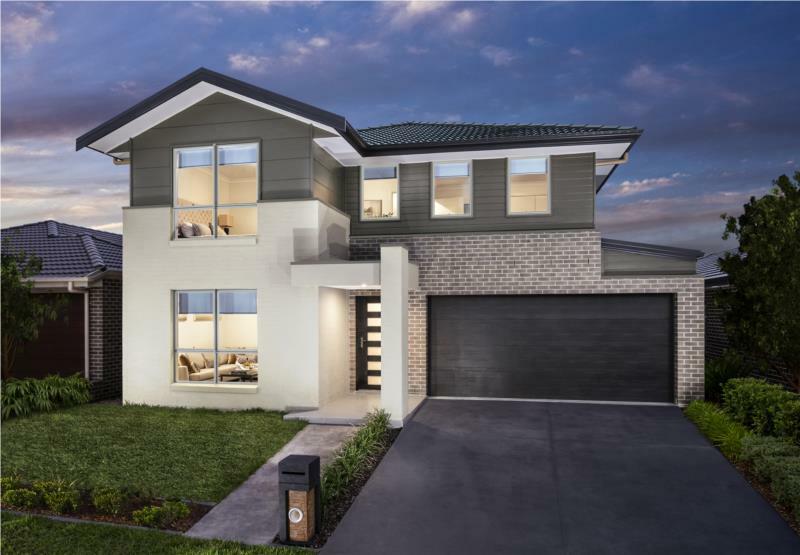 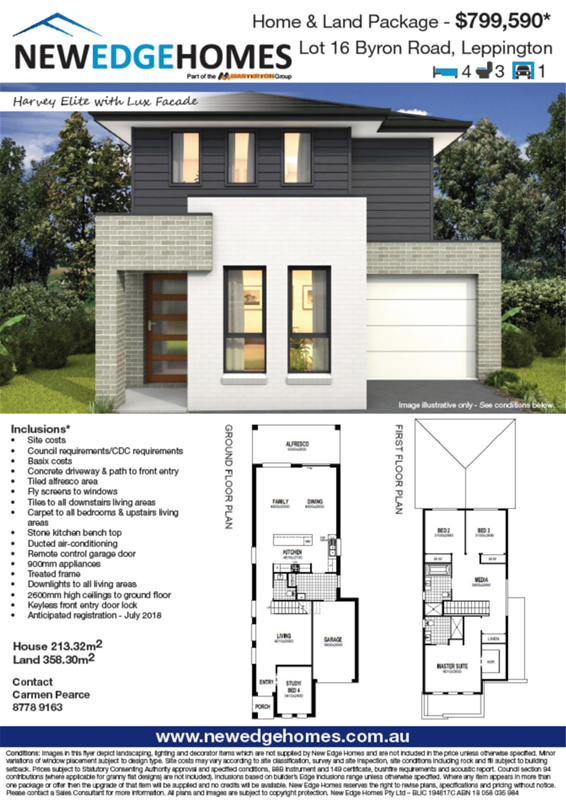 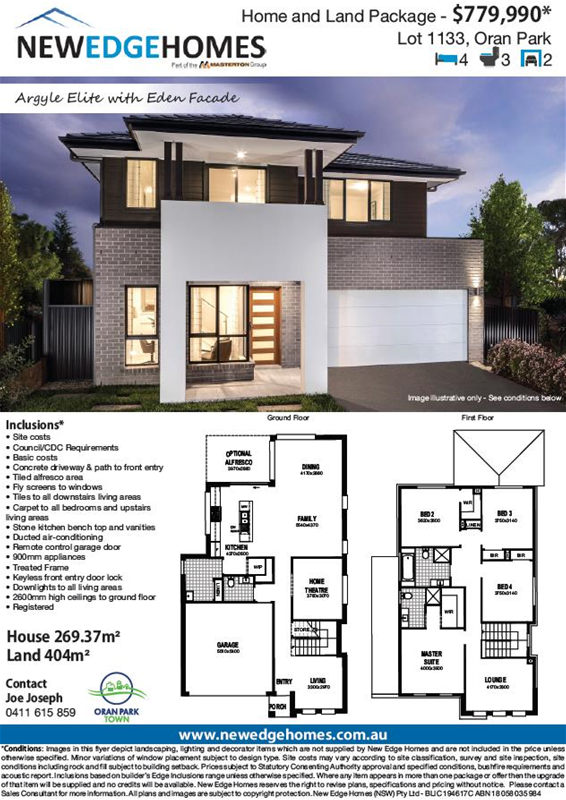 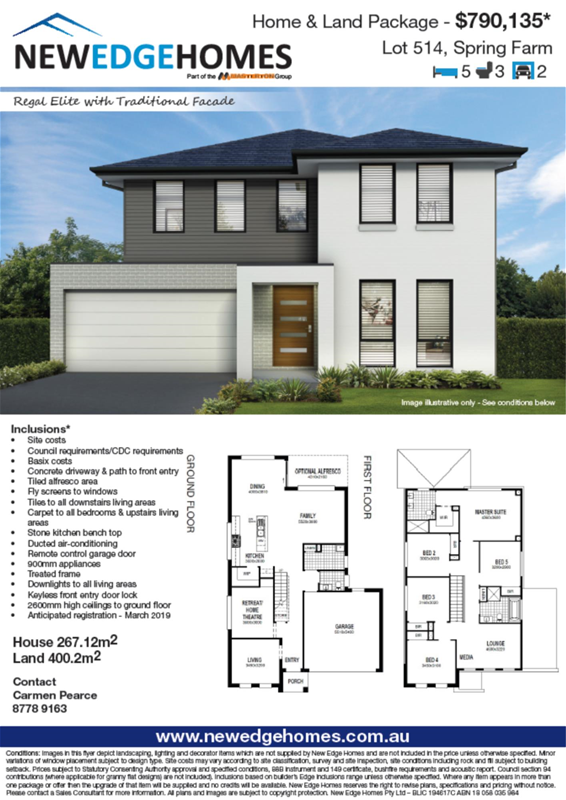 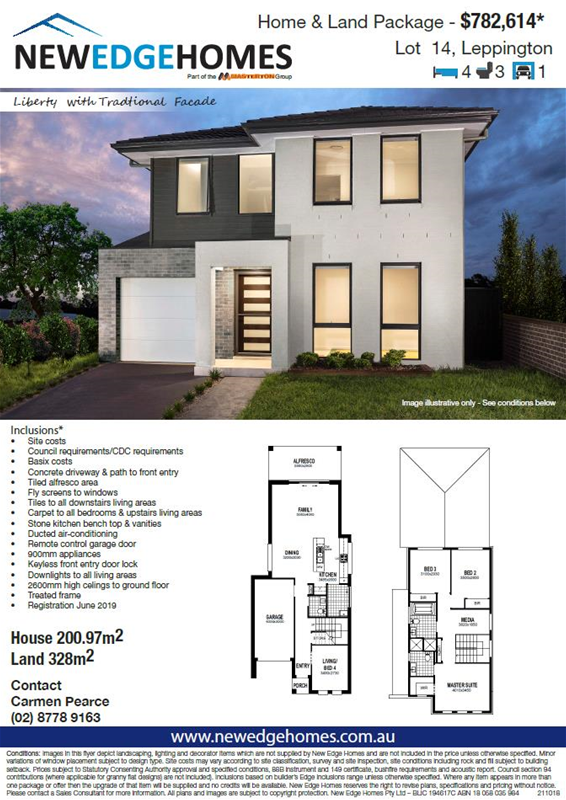 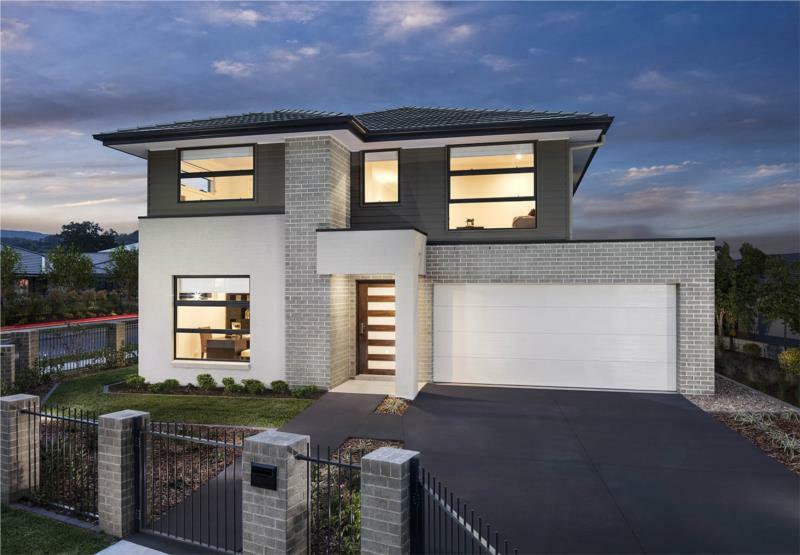 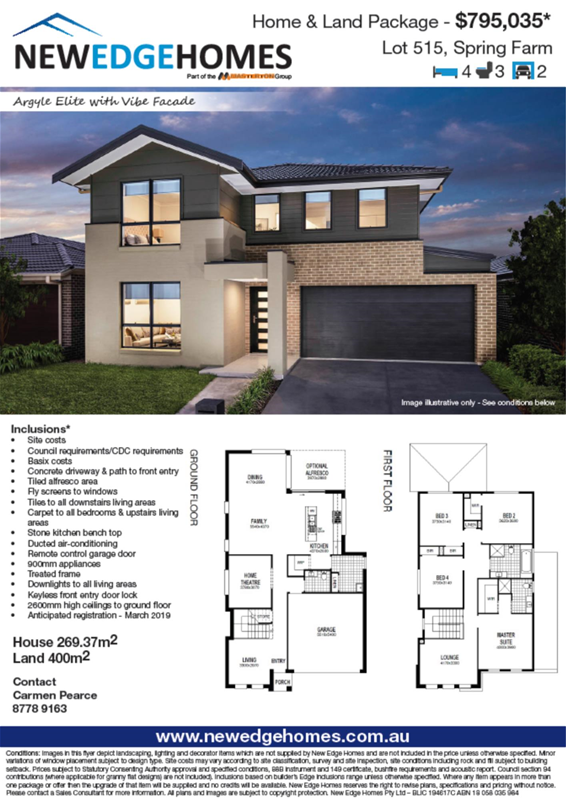 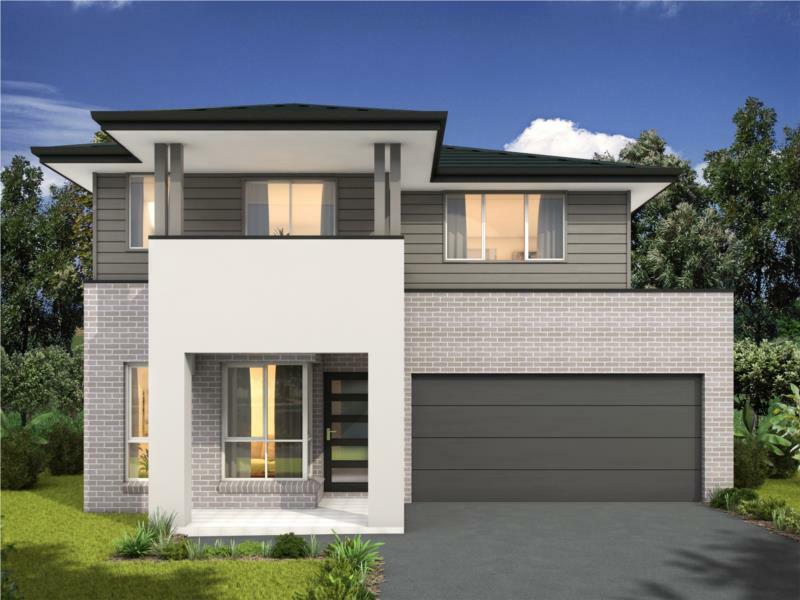 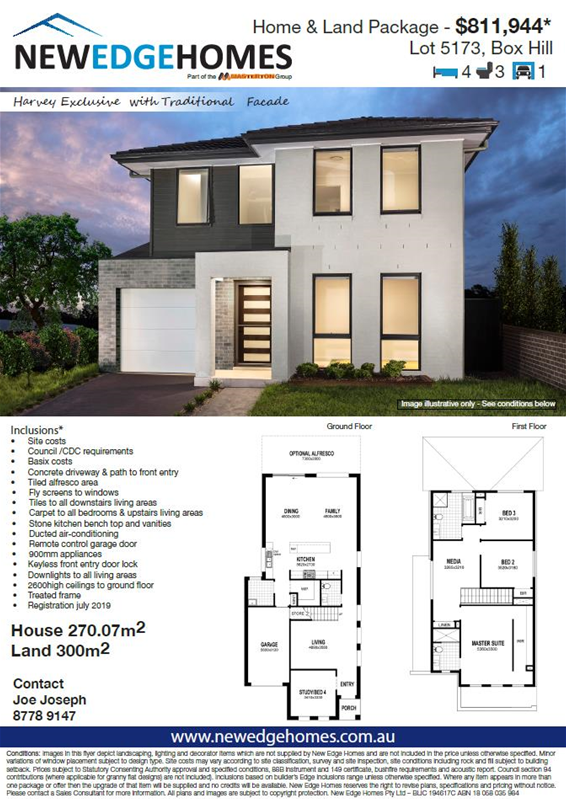 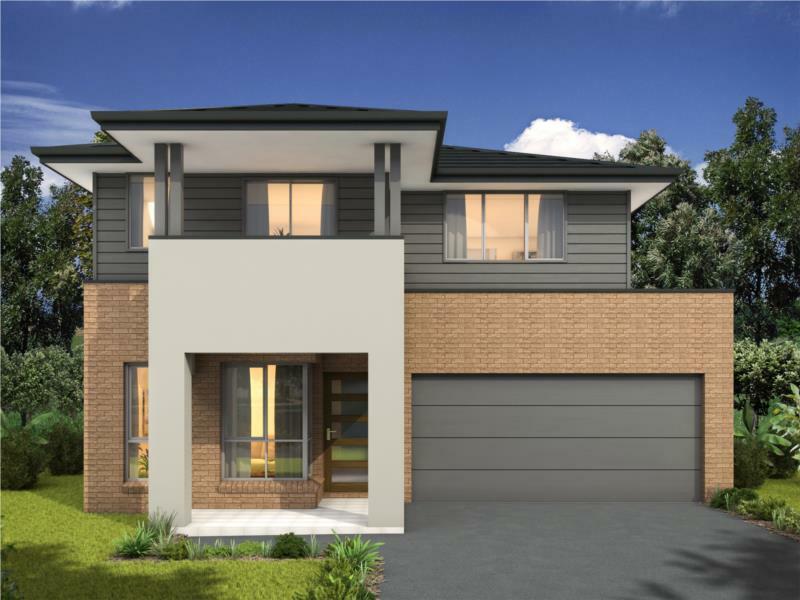 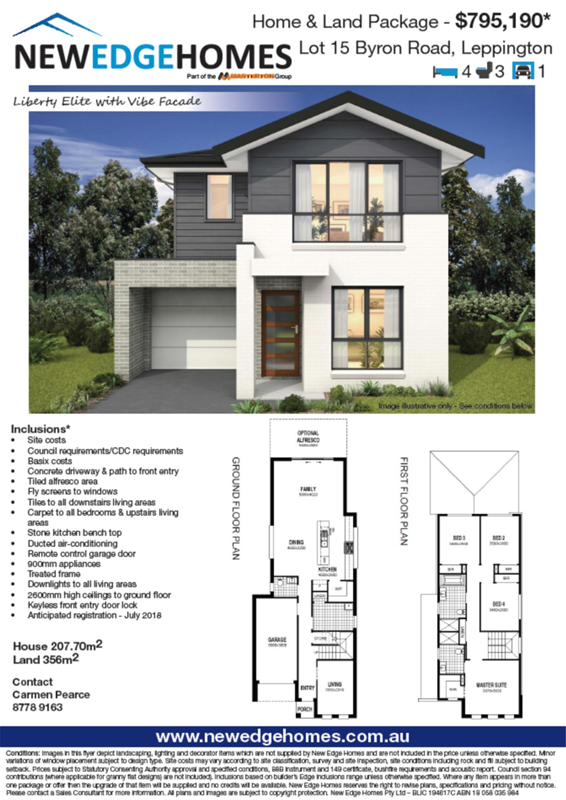 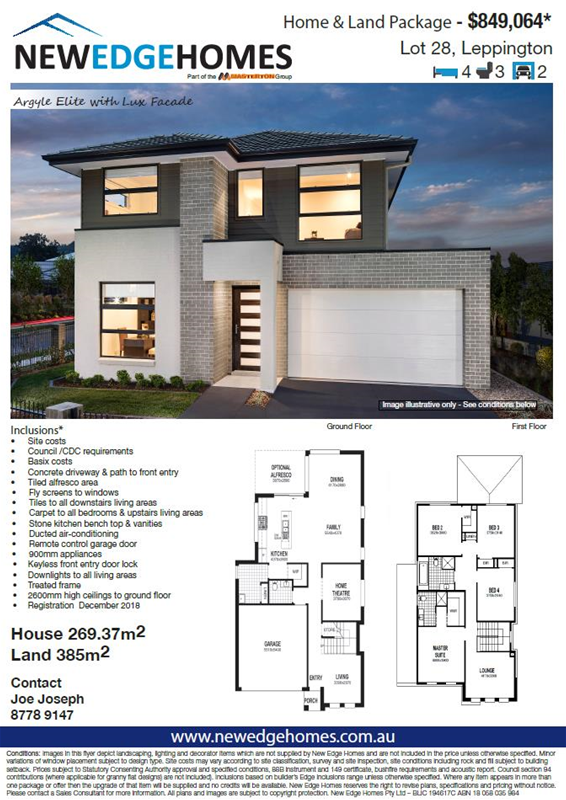 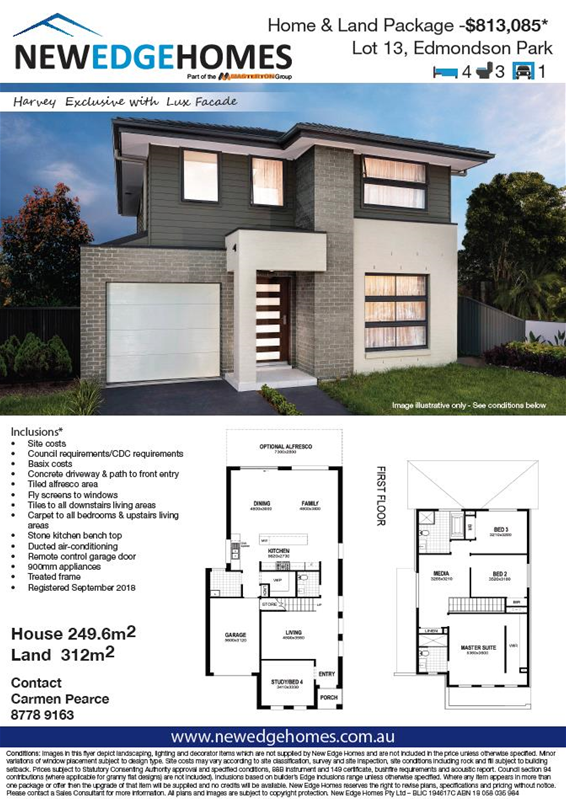 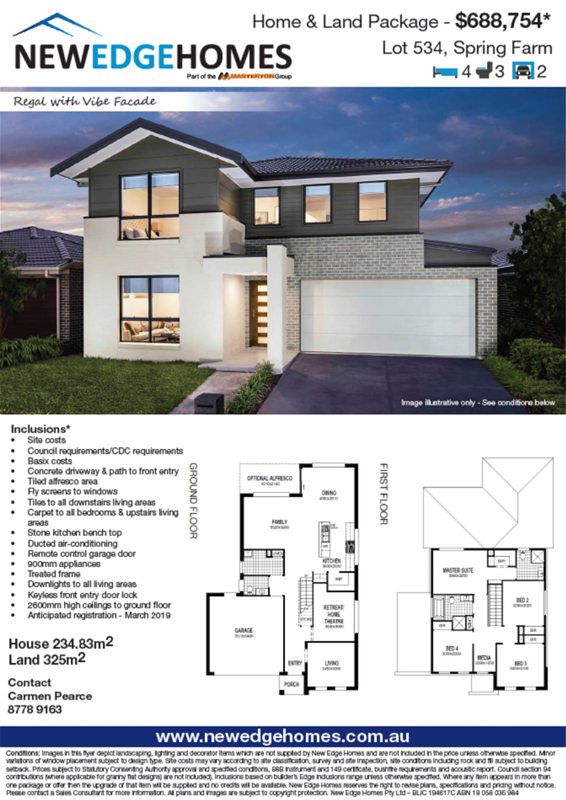 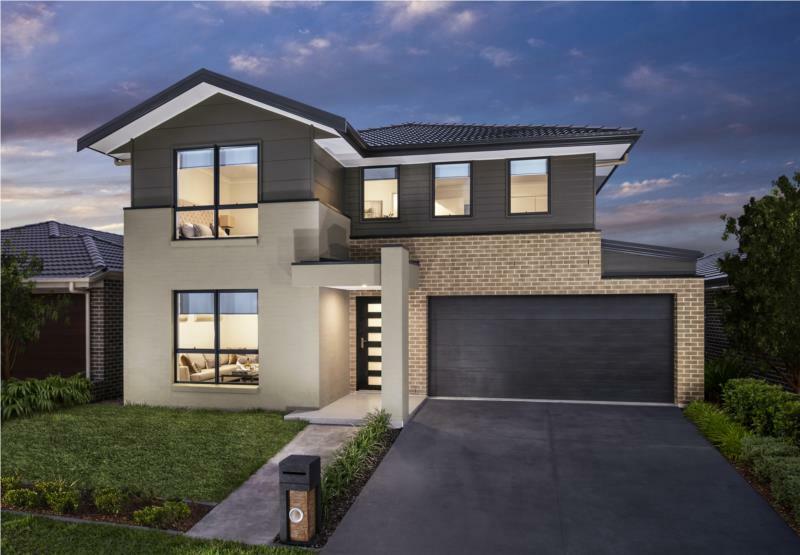 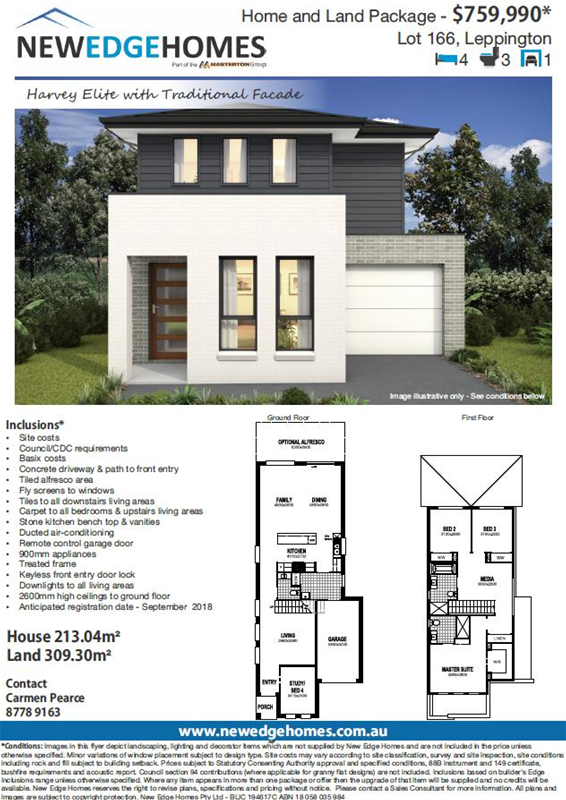 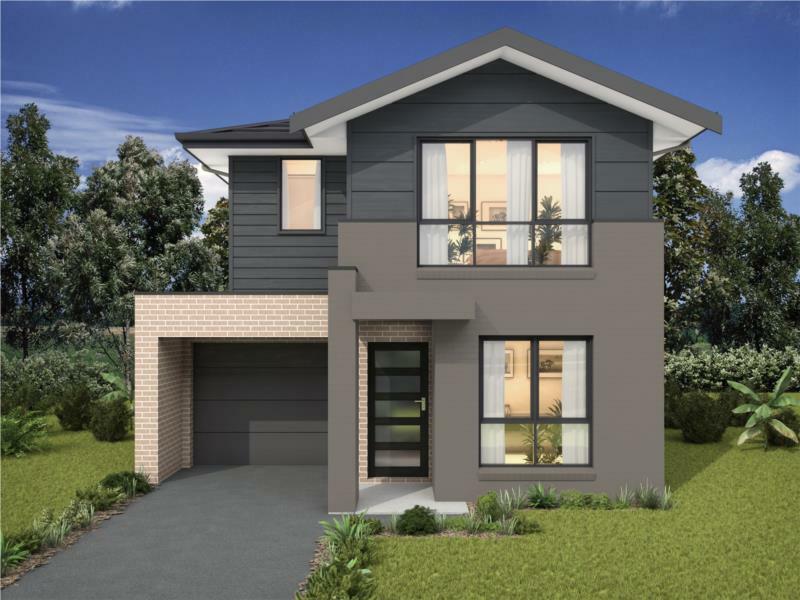 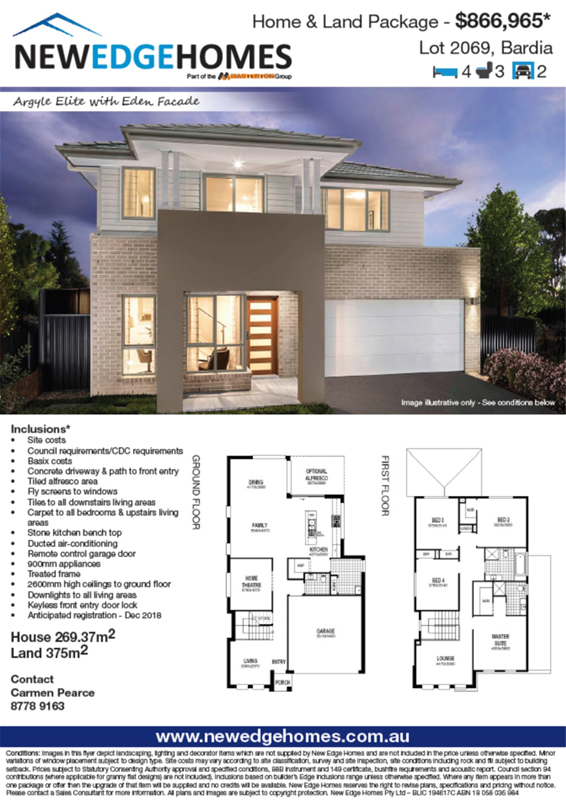 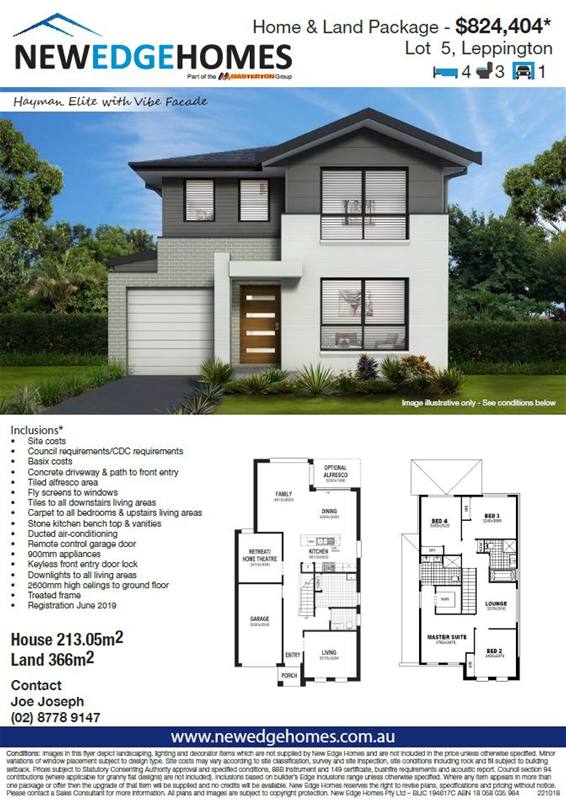 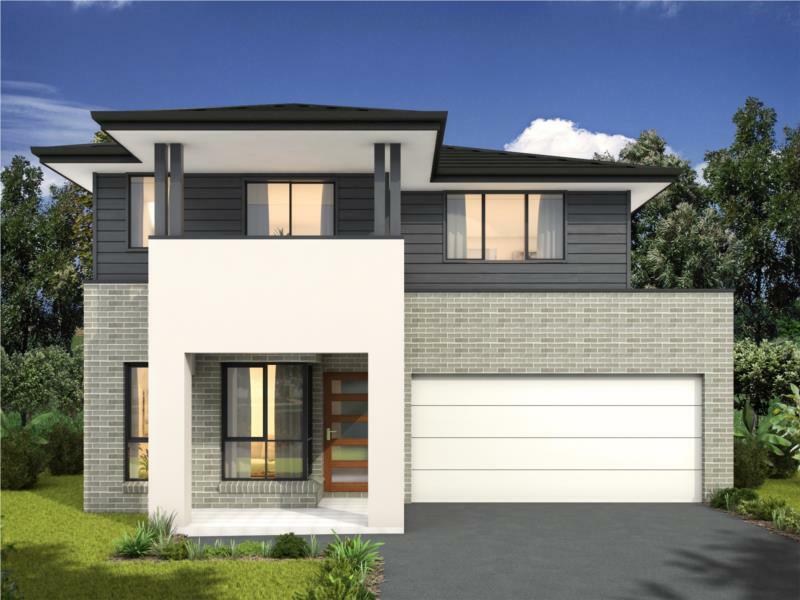 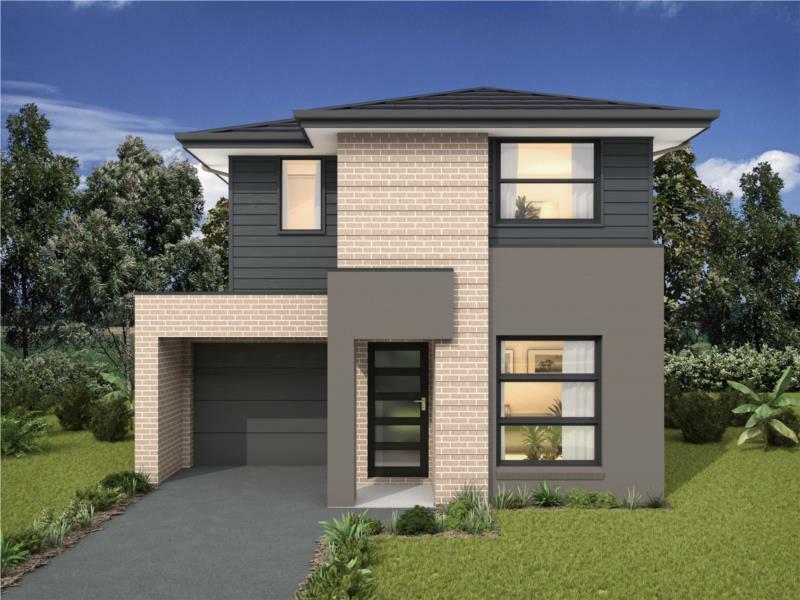 Nestled in bushland at Oran Park, New Edge home designs will impresses with their enduring and contemporary elegance and include all the features a modern family could dream of. 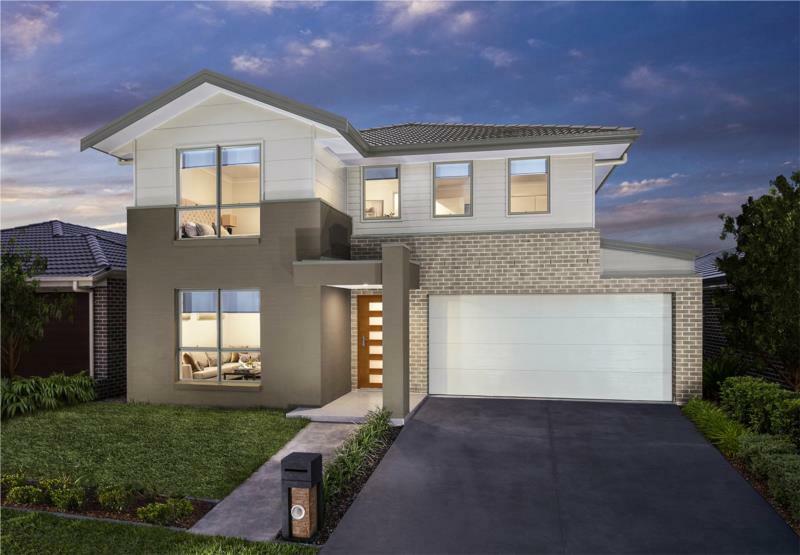 Oran Park has a true community feel with transport and essential infrastructure nearby. 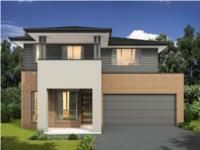 As the fastest growing town in Sydney it’s the perfect place to invest in the New Edge home of your dreams. 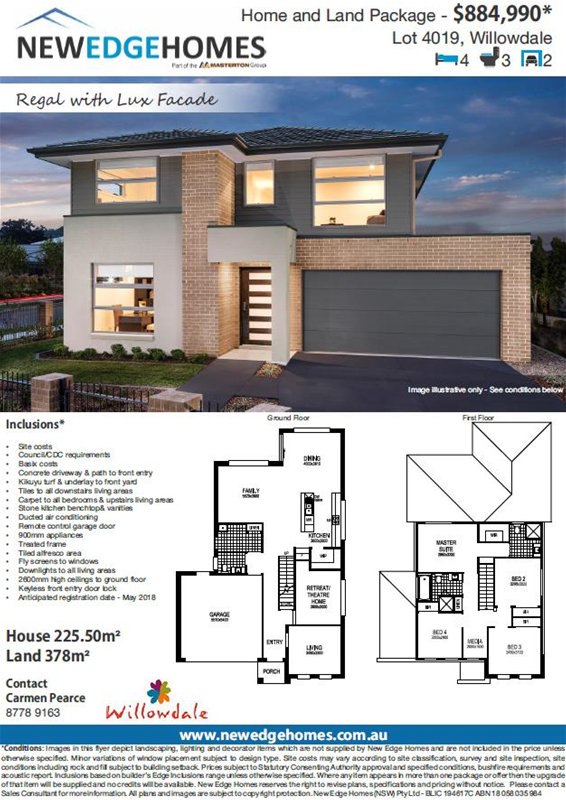 HOT LOT HUGE OFFER! 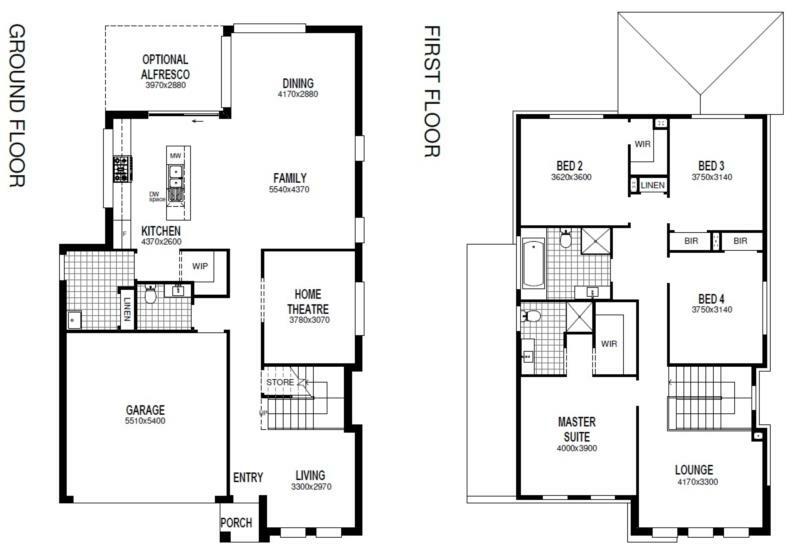 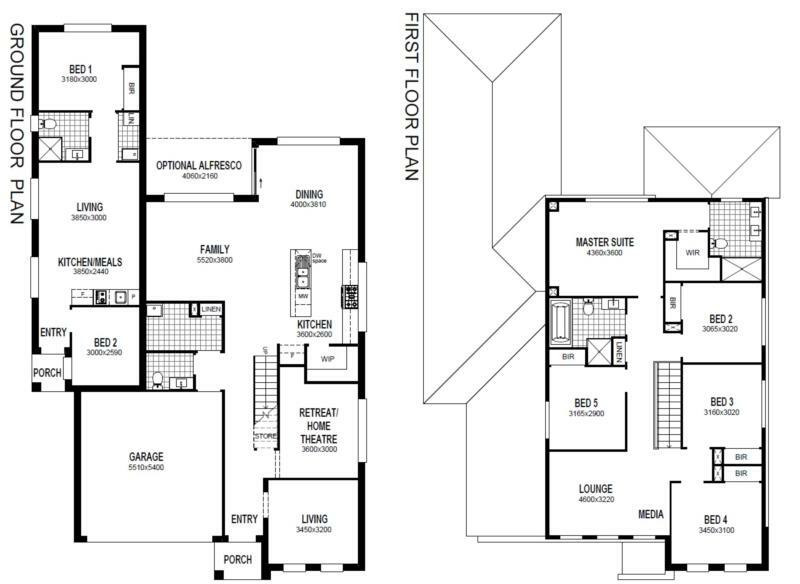 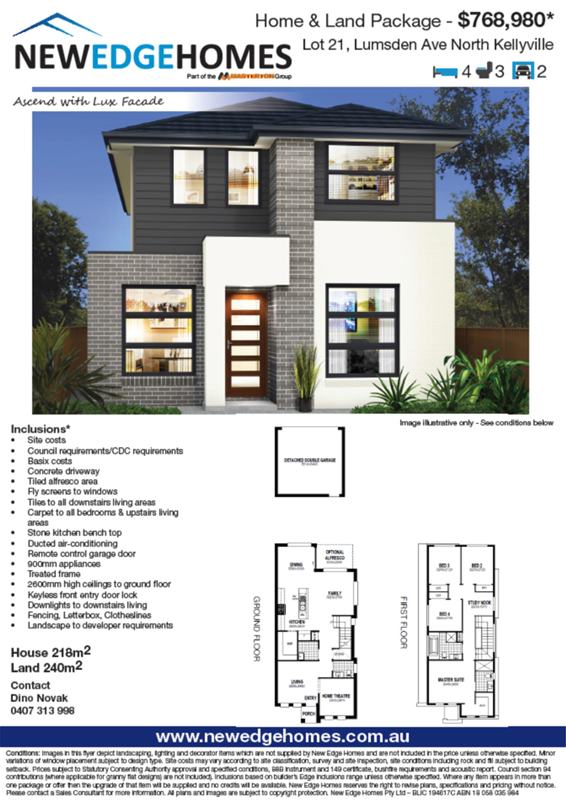 New Edge Homes "Aspire with Traditional Facade" on a 250m2 Lot in Elara: Spring Promotion - take $15,000 off package price! 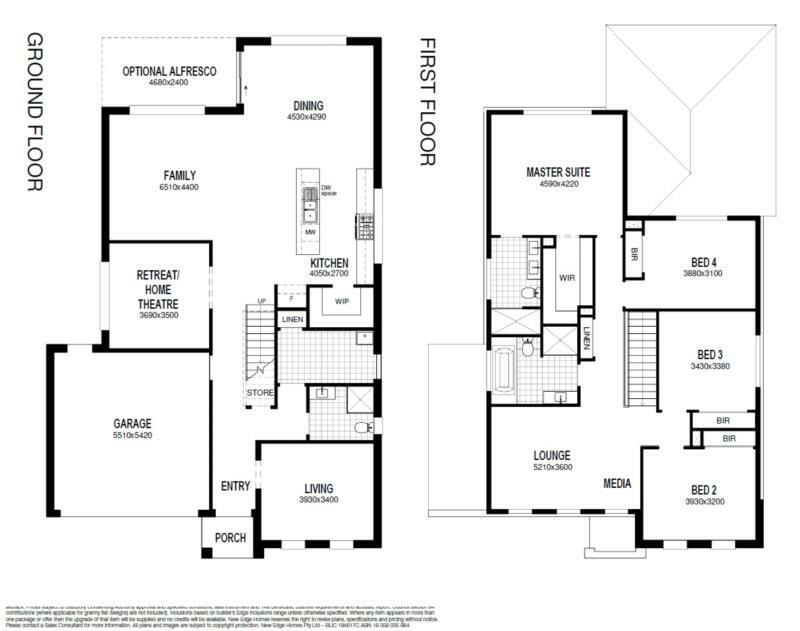 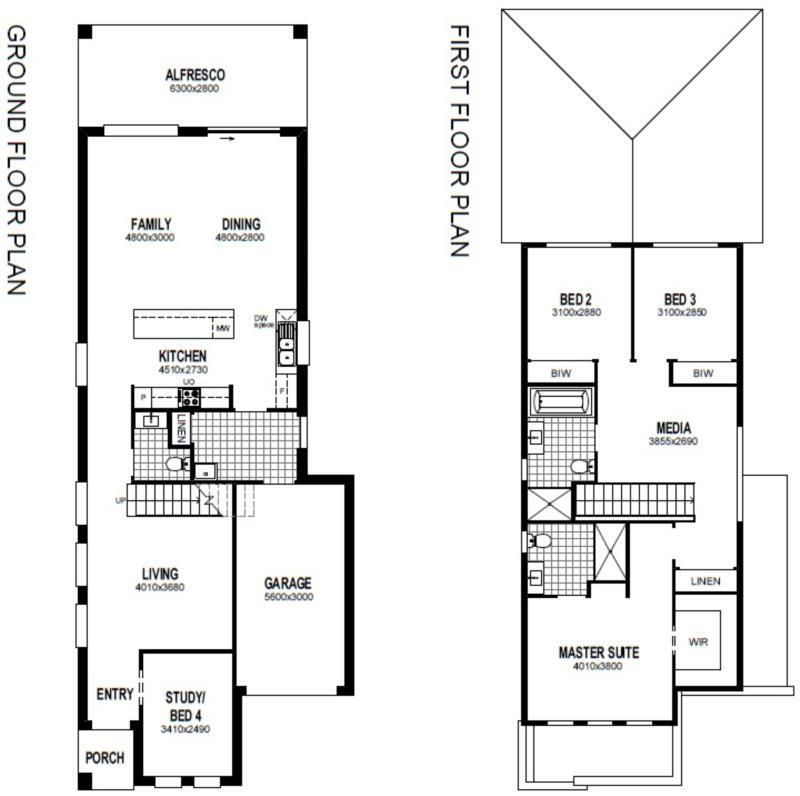 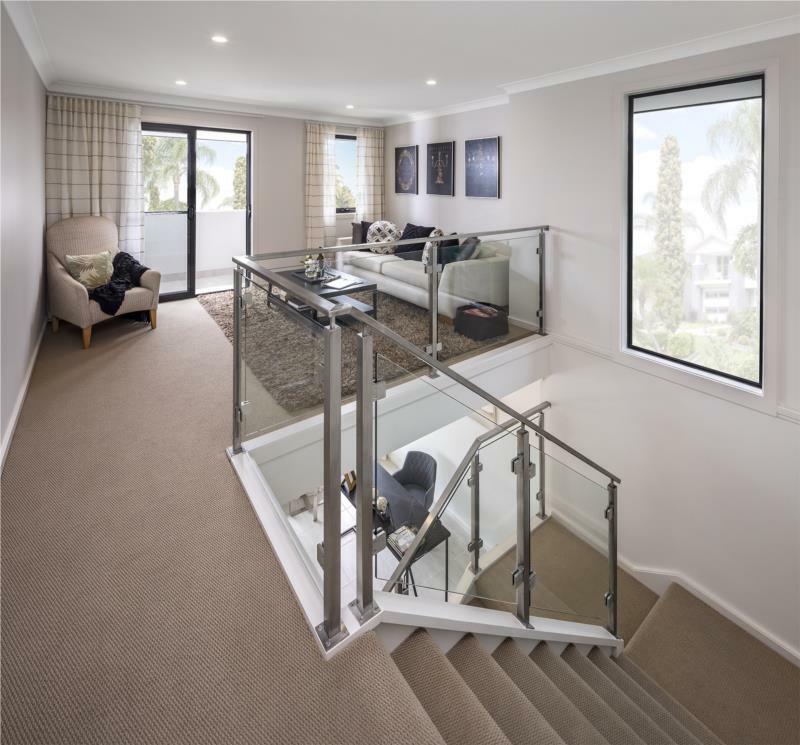 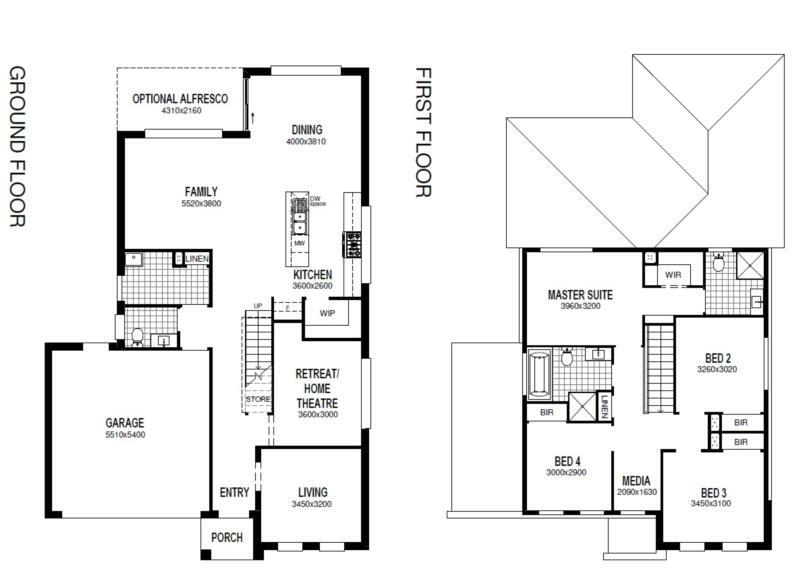 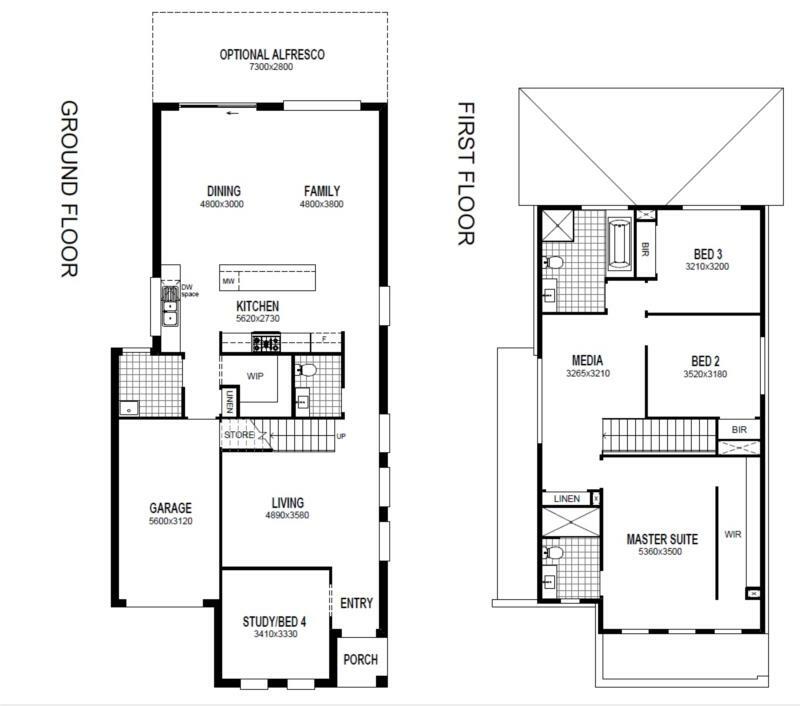 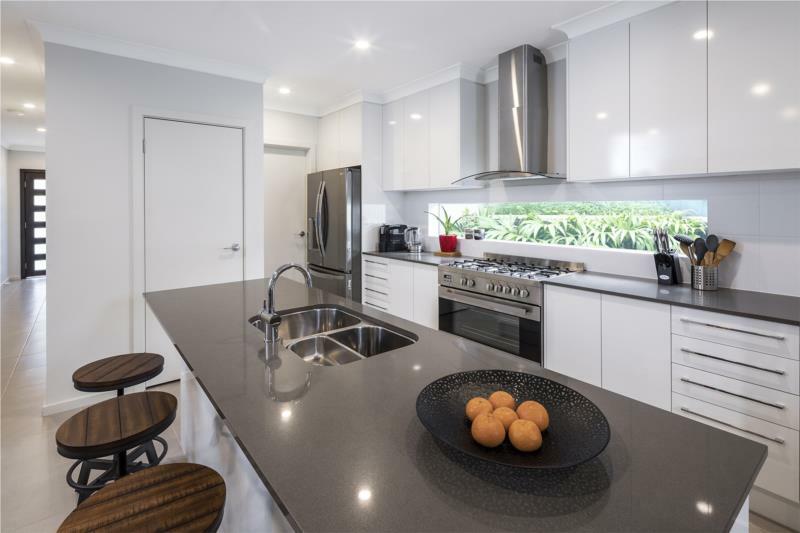 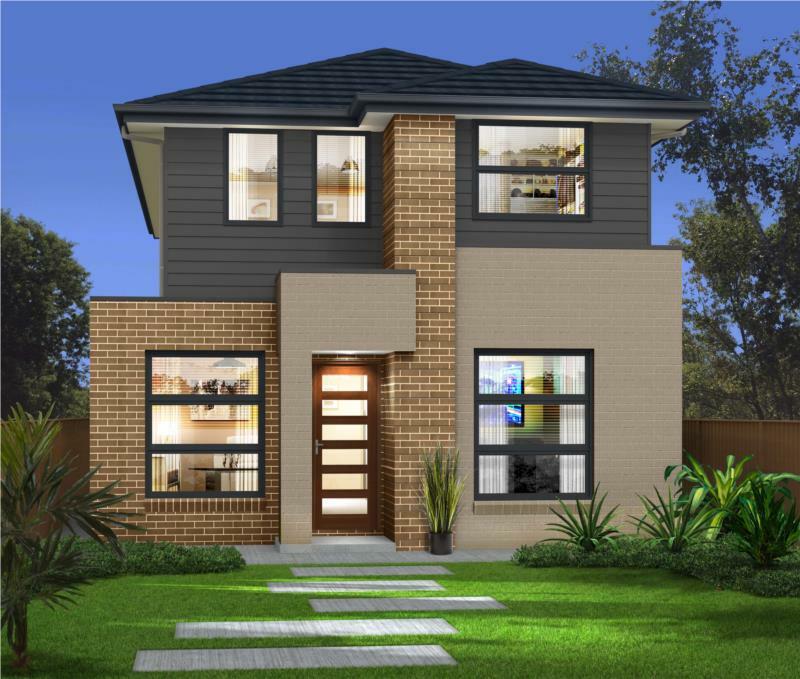 This beautiful architecturally designed home is located in Elara, one of Sydney’s newest suburbs. 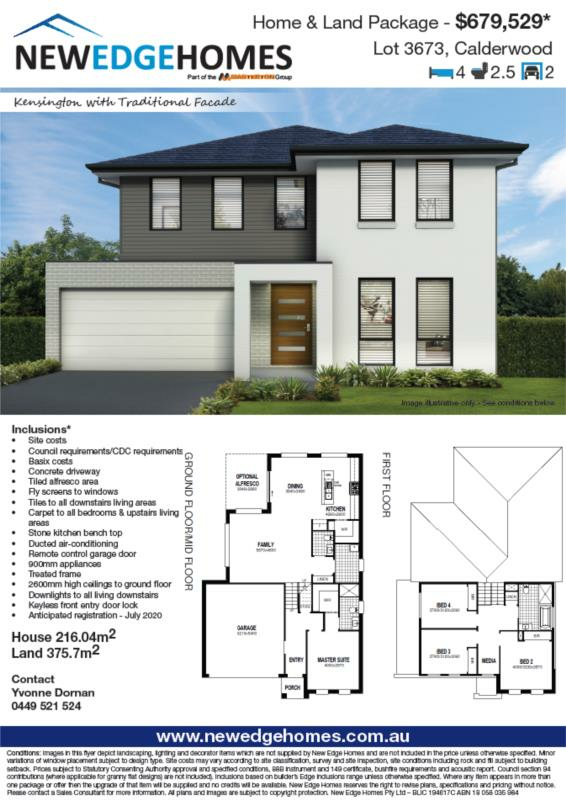 Coexisting with its picturesque natural surroundings and master planned to perfection, you can become part of this new village style community and live in your new dream home by taking advantage of our fixed price home and land package from New Edge Homes (A part of the Masterton Homes Group). 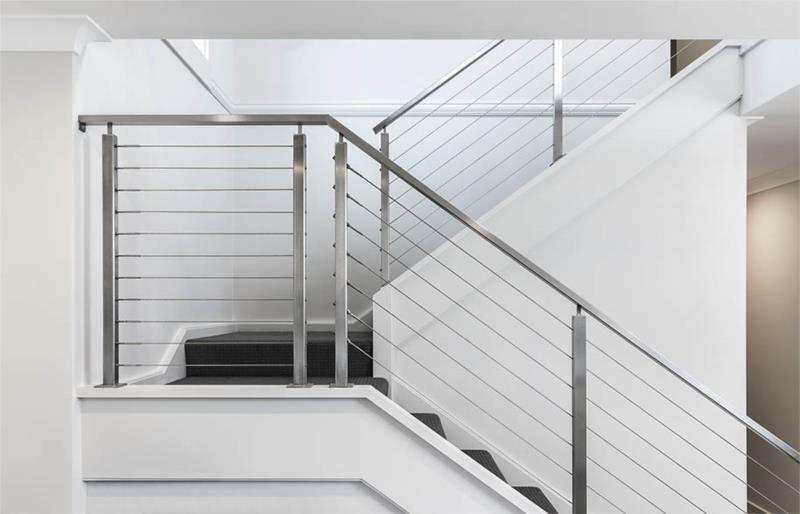 We’re all about making things simple and affordable using the most cutting edge building technologies and focusing on elegant and functional designs. 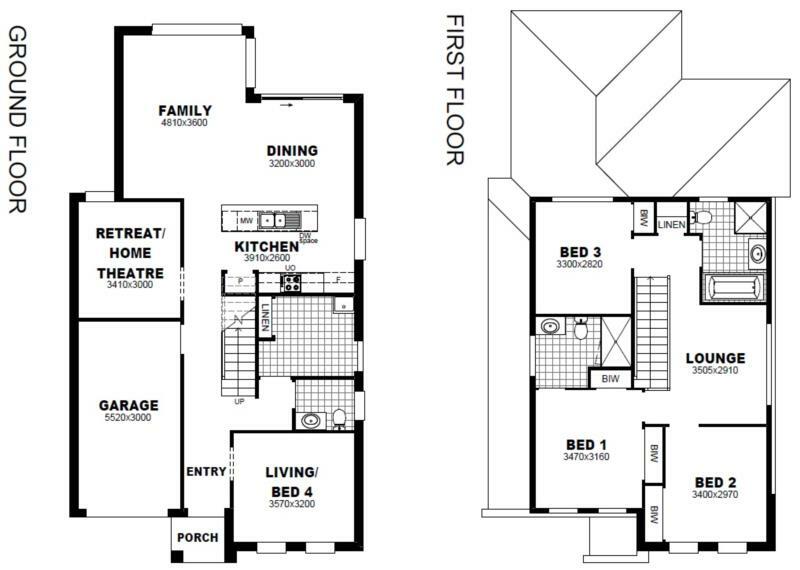 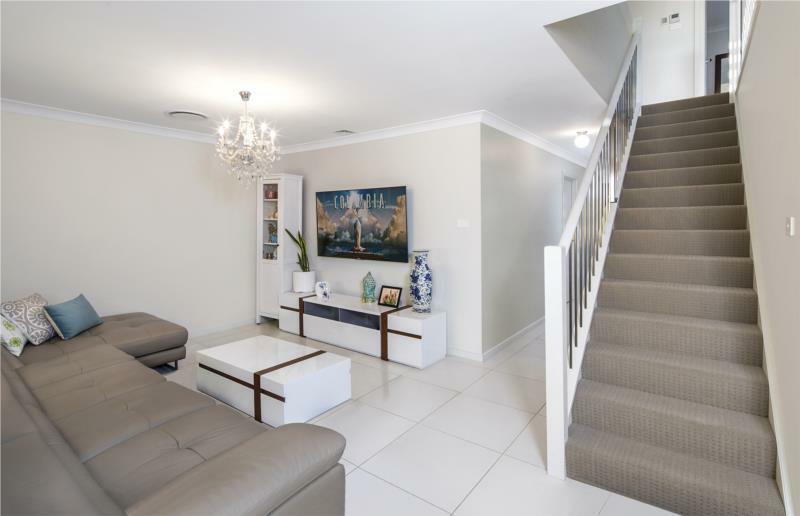 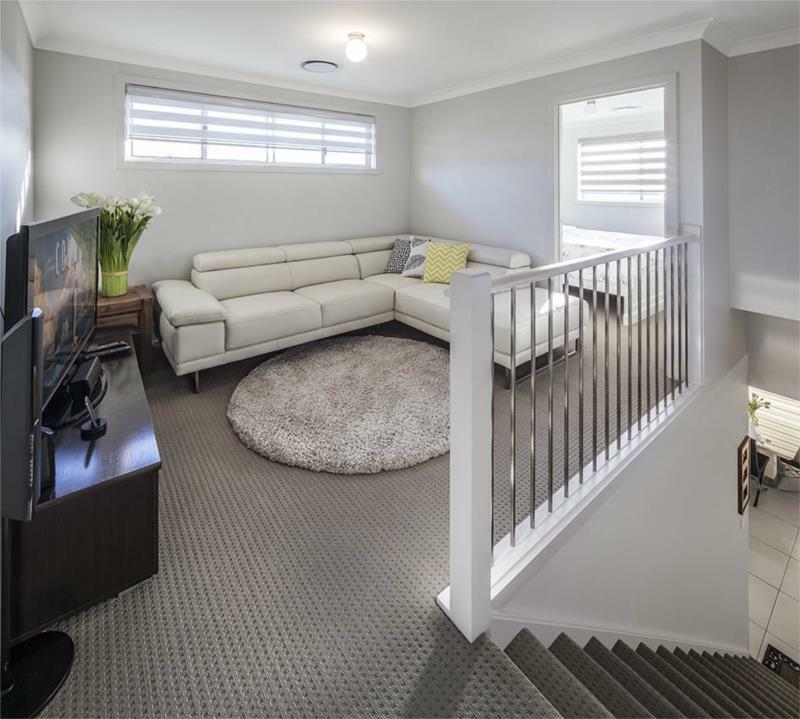 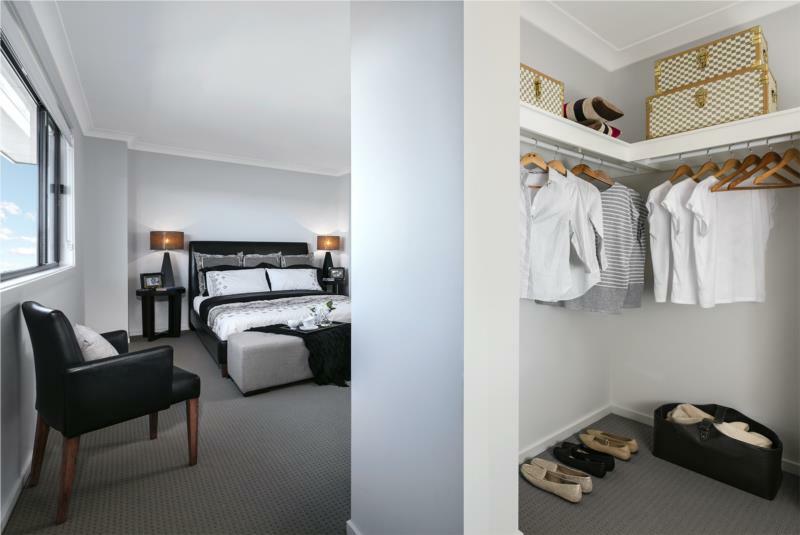 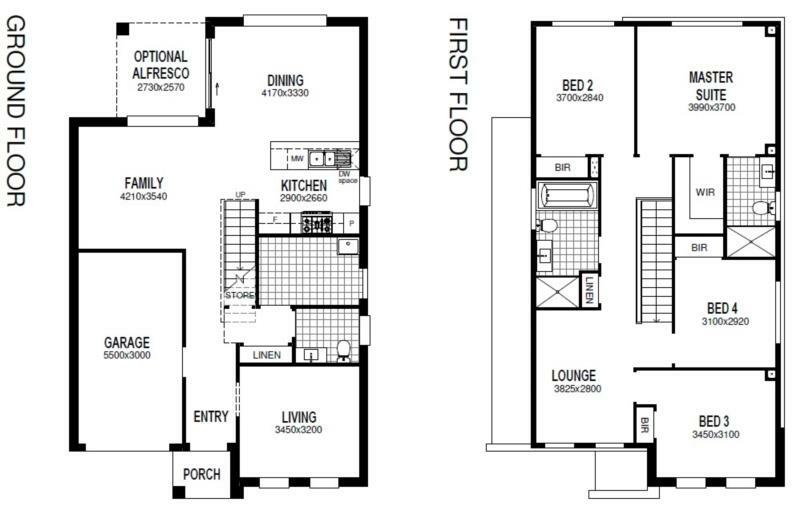 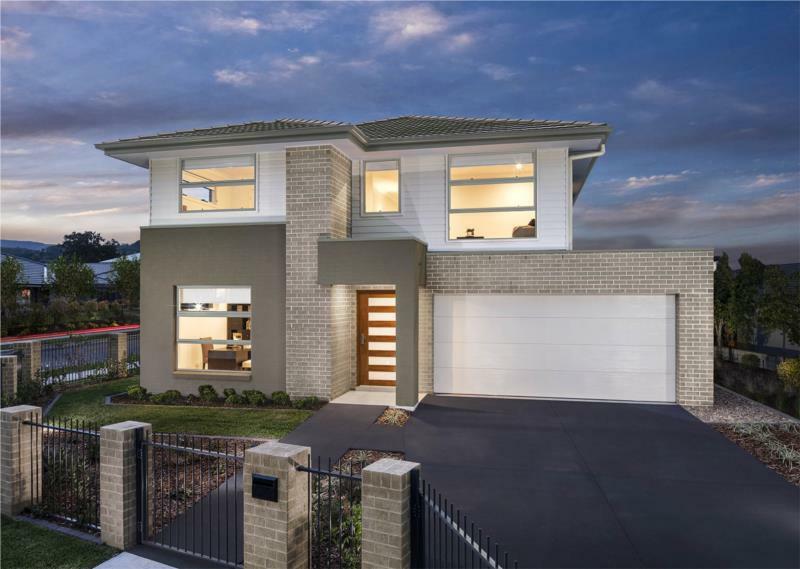 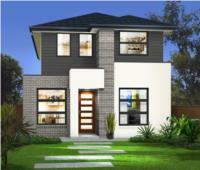 This beautiful architecturally designed home is located in New Park, one of Sydney’s newest suburbs. 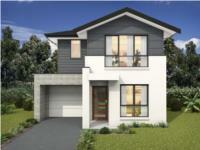 Coexisting with its picturesque natural surroundings and master planned to perfection, you can become part of this new village style community and live in your new dream home by taking advantage of our fixed price home and land package from New Edge Homes (A part of the Masterton Homes Group). 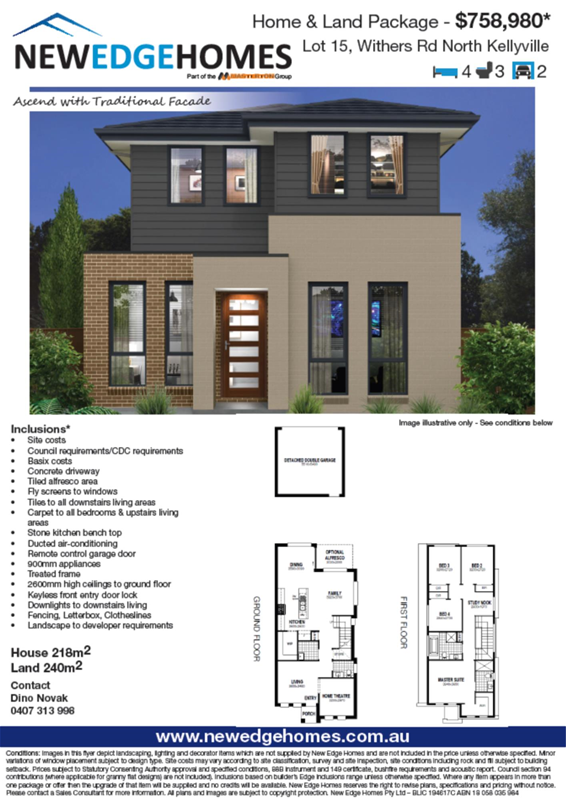 New Edge Homes "Harvey Elite with Traditional Facade" on a 252.30m2 Lot in Elara: Spring Promotion - take $15,000 off package price! 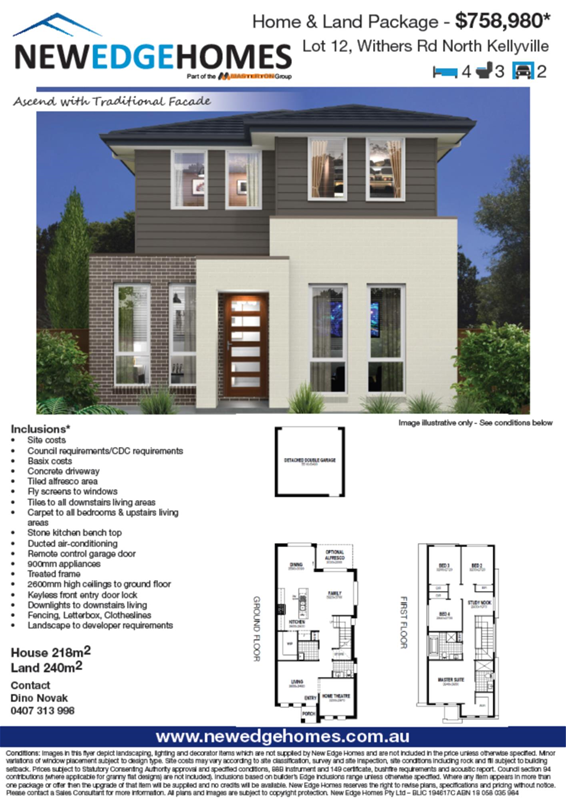 New Edge Homes "Liberty Elite with Vibe Facade" on a 252.50m2 Lot in Elara: Spring Promotion - take $15,000 off package price! 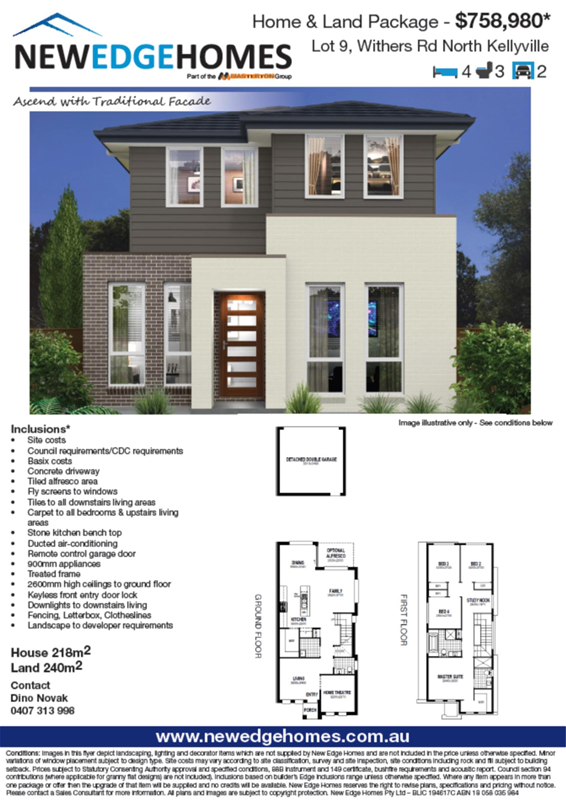 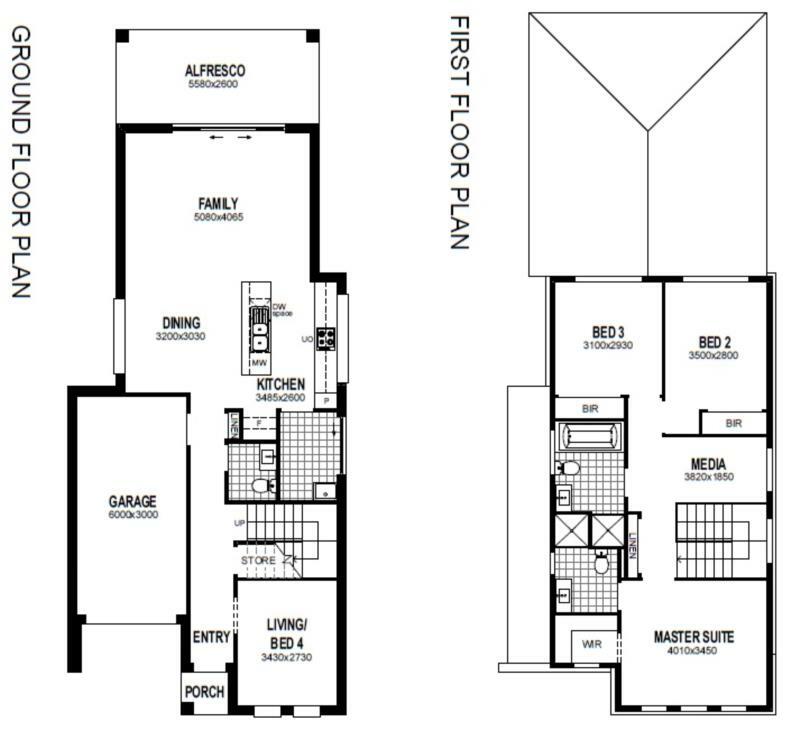 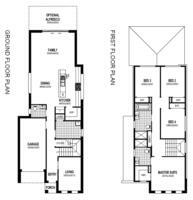 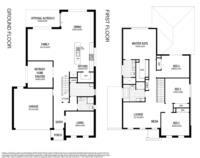 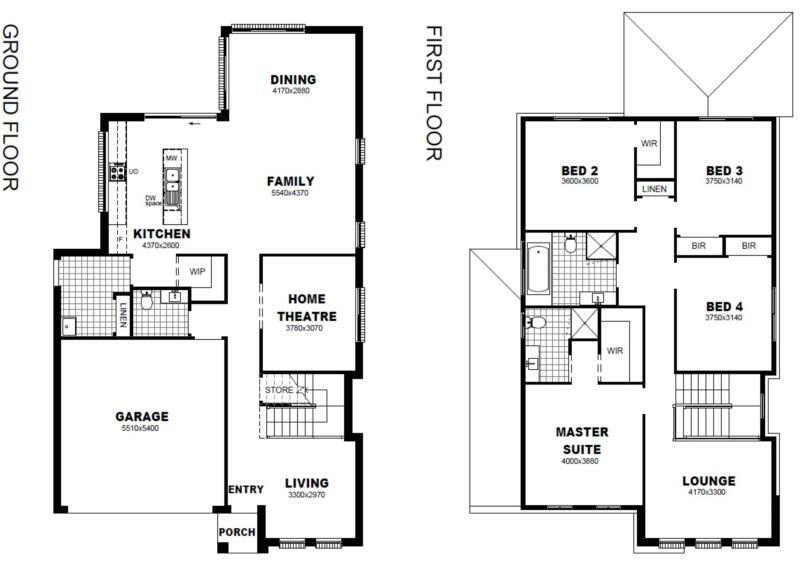 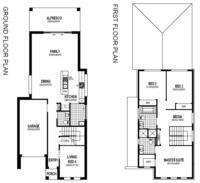 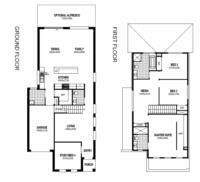 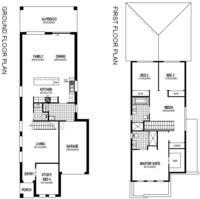 New Edge Homes "Harvey Elite with Lux Facade" on a 252.70m2 Lot in Elara: Spring Promotion - take $15,000 off package price! 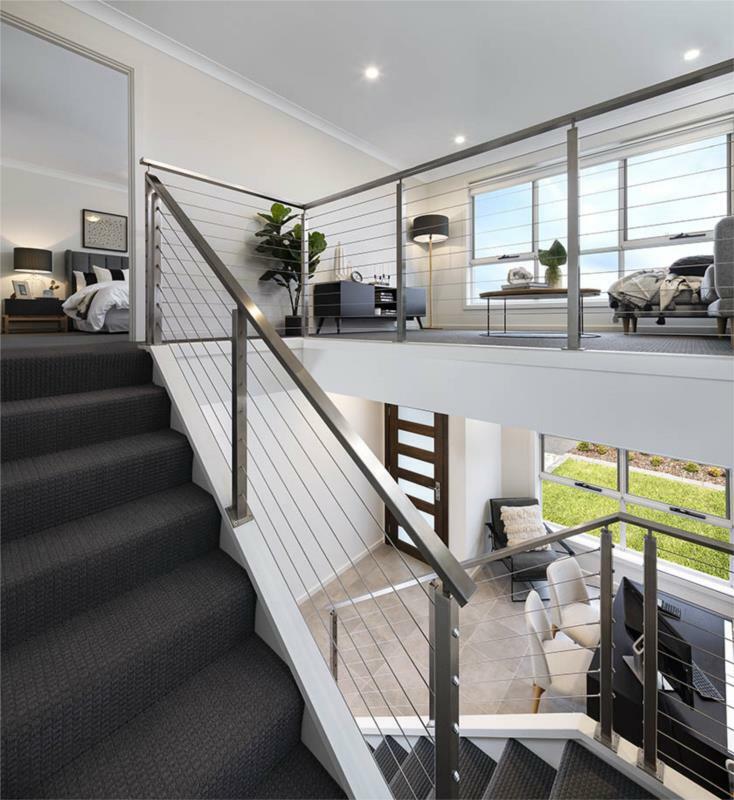 When you think of New Edge homes, think of seamlessly entwined living spaces, designs that ooze with elegance and architectural appeal, where luxury meets functionality and if you can believe it – affordability. Sound nice? 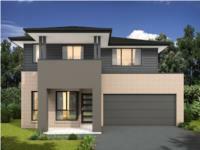 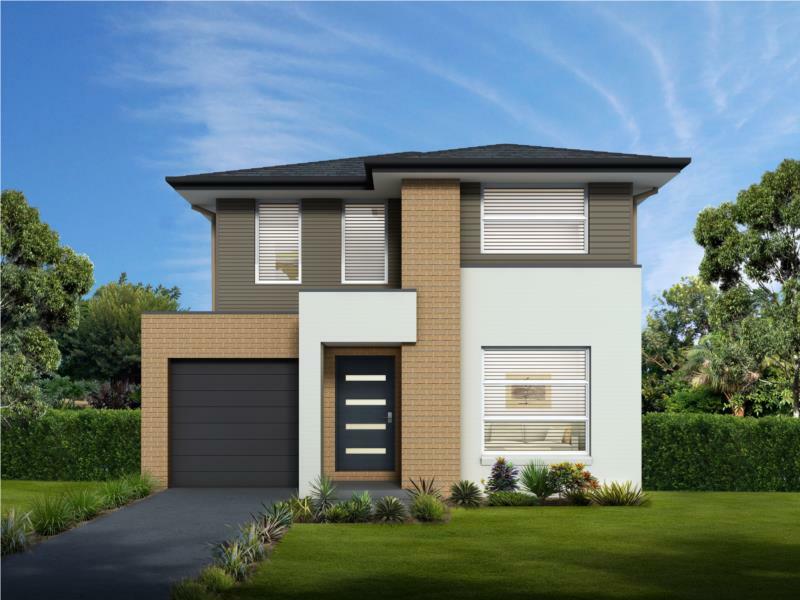 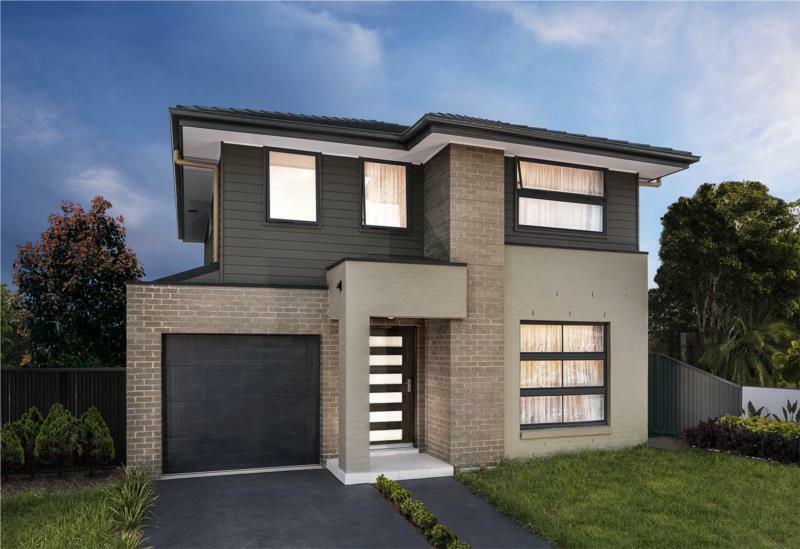 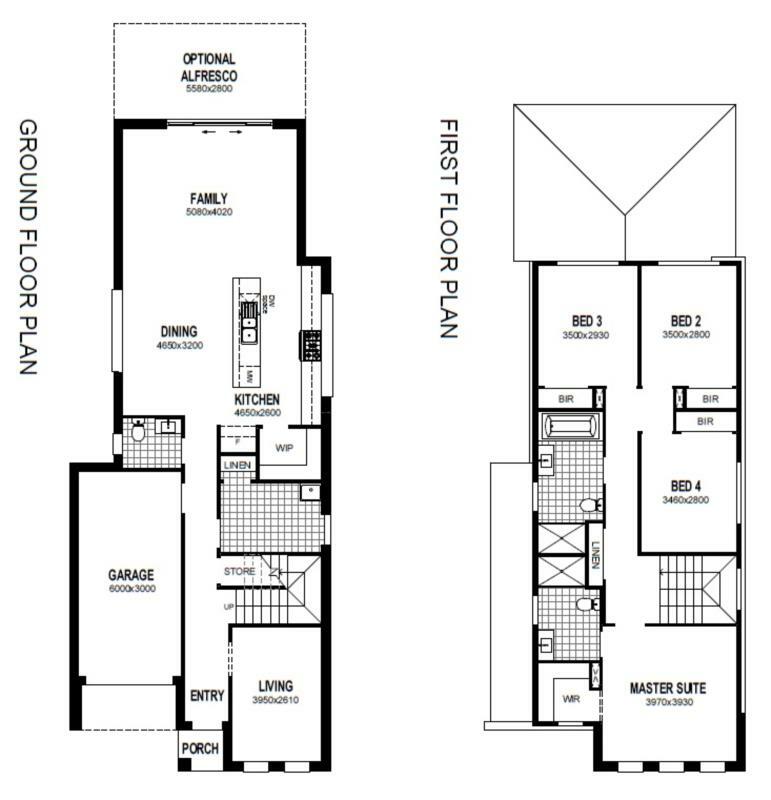 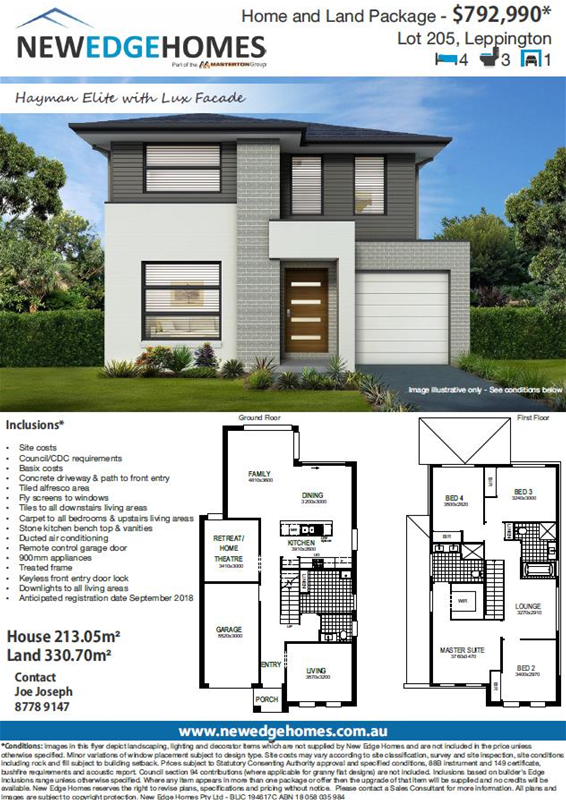 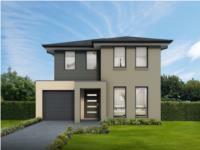 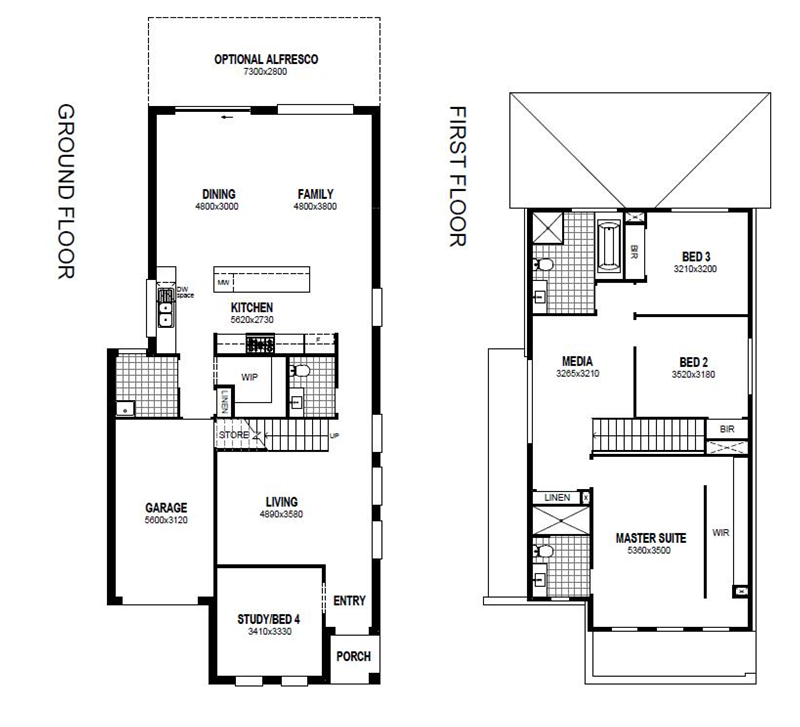 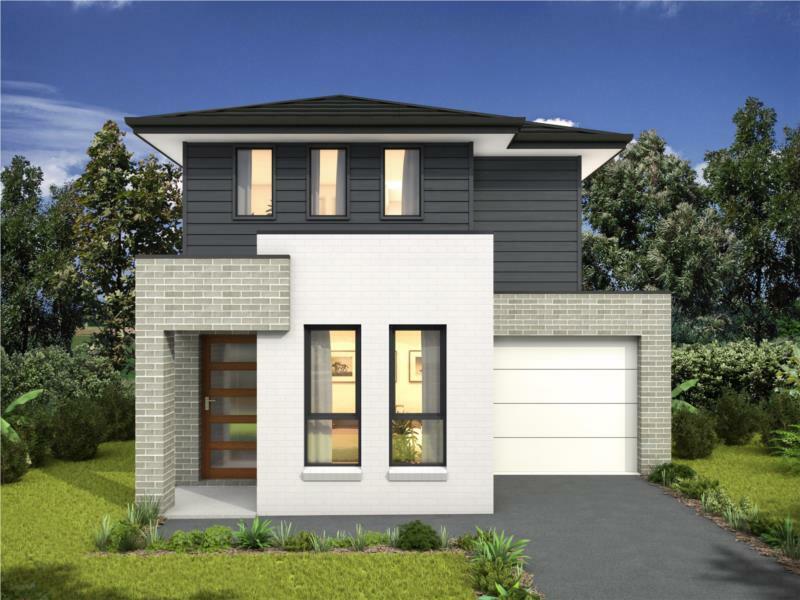 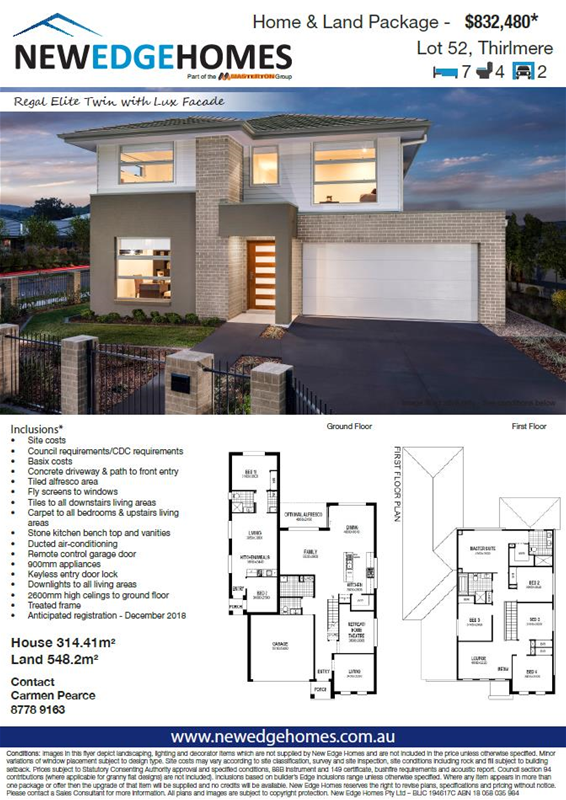 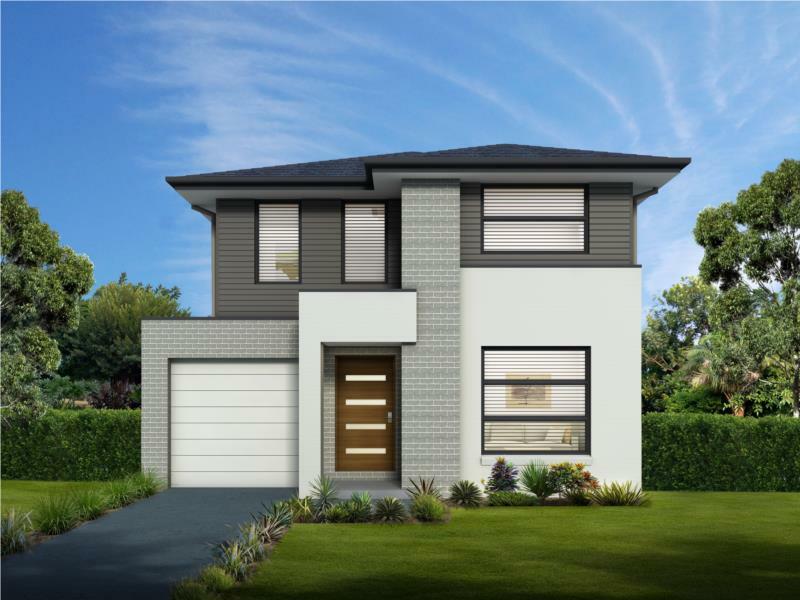 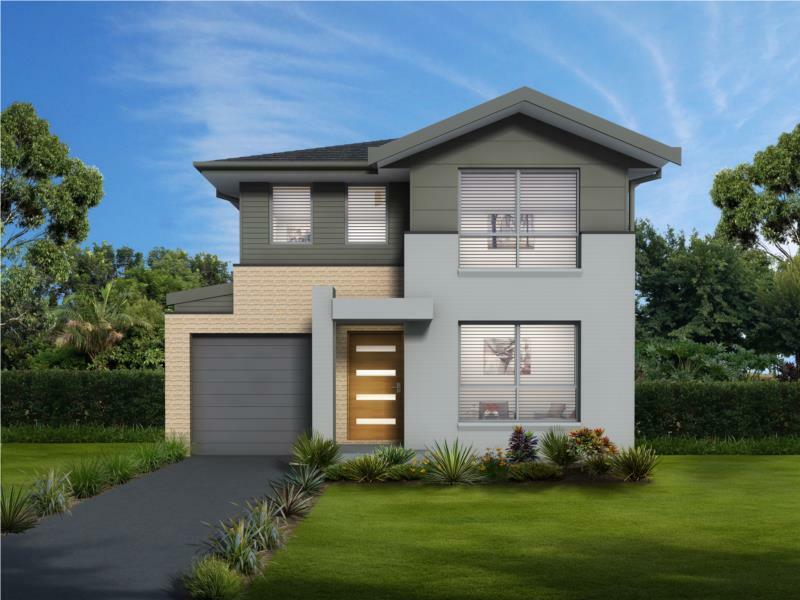 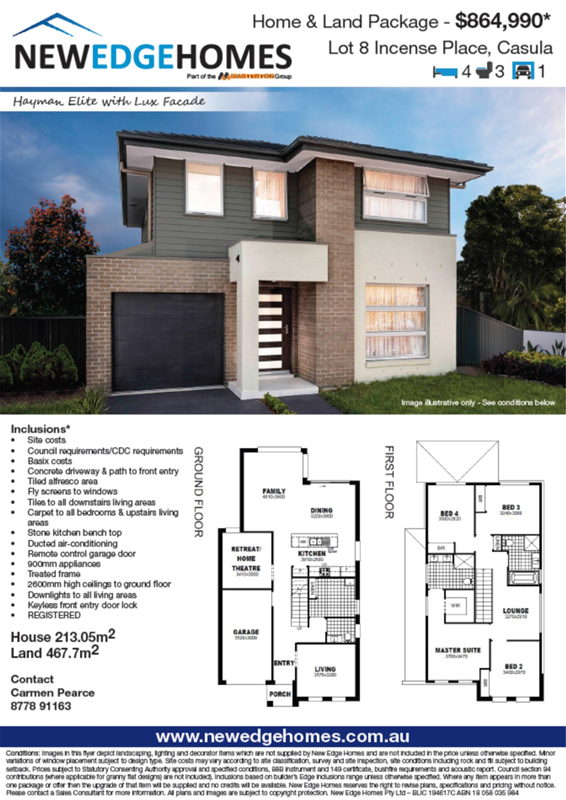 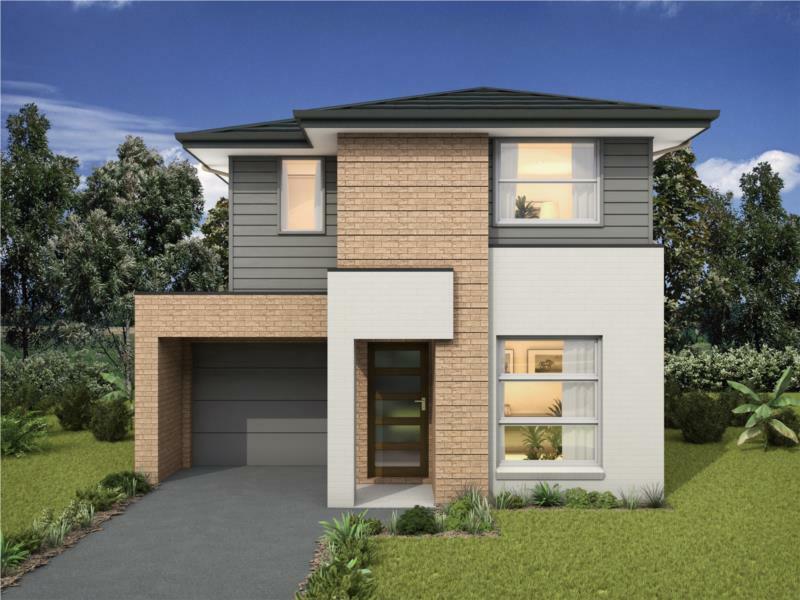 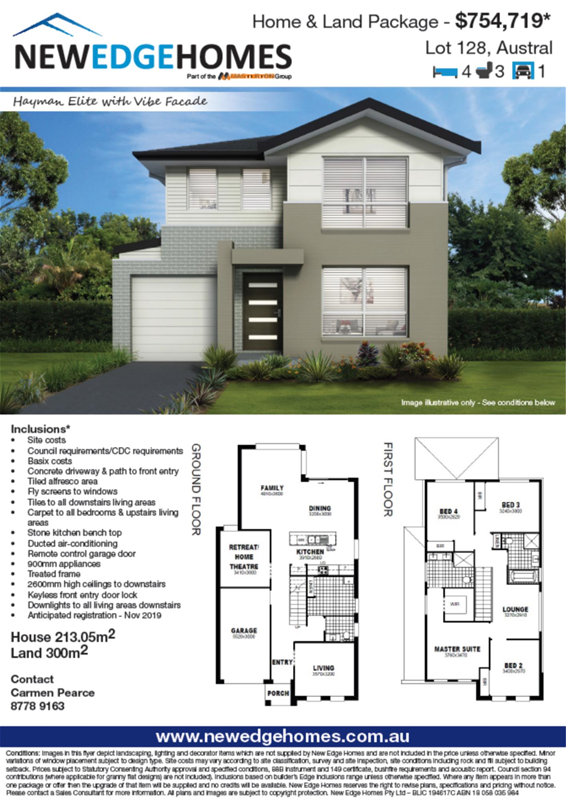 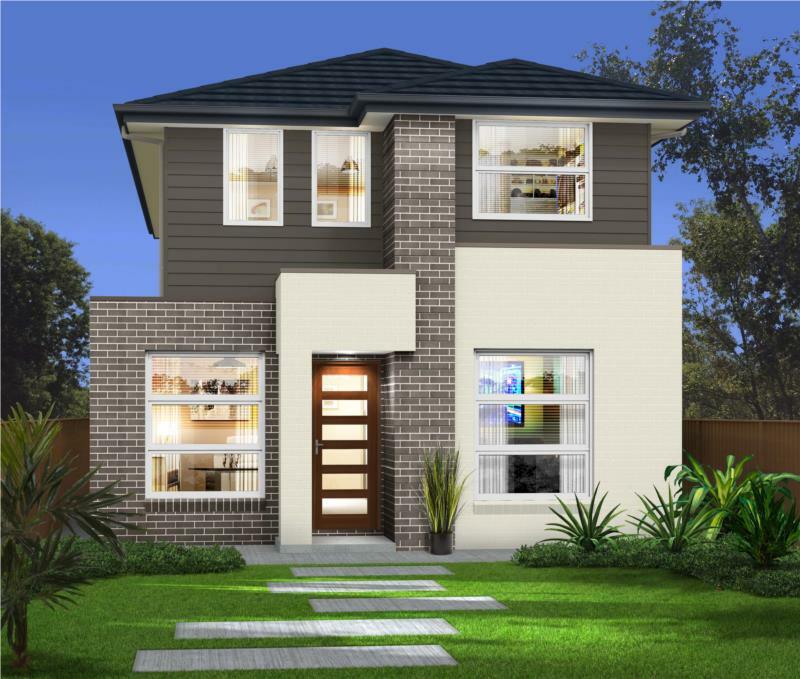 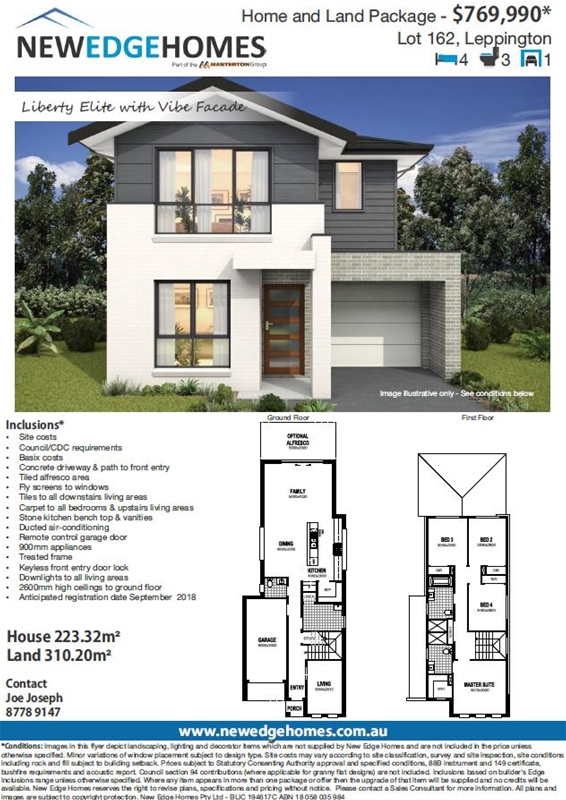 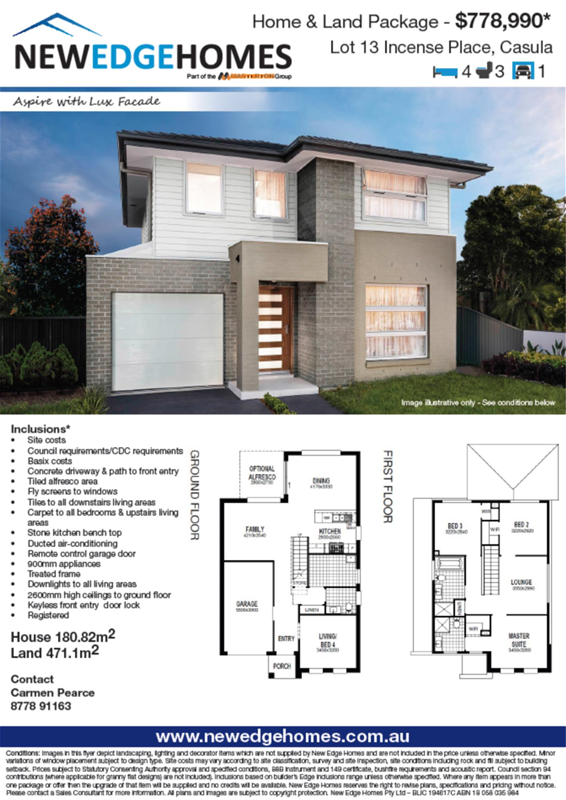 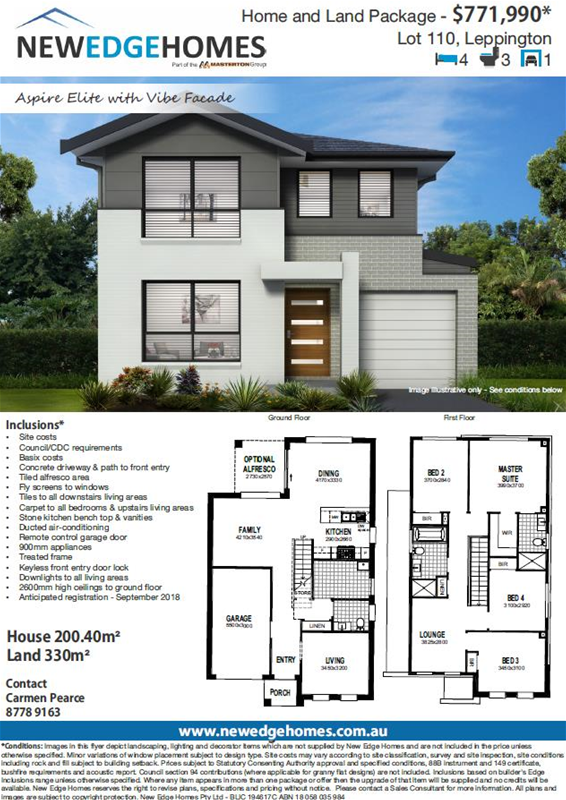 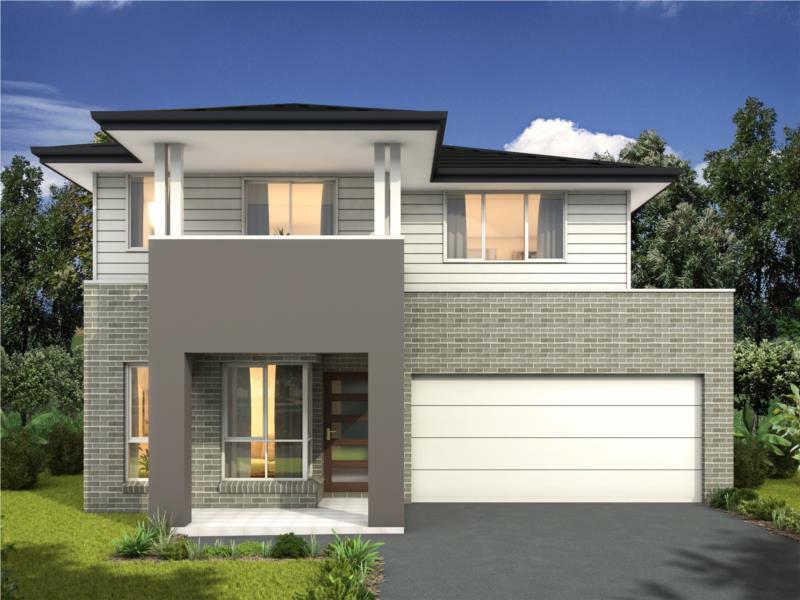 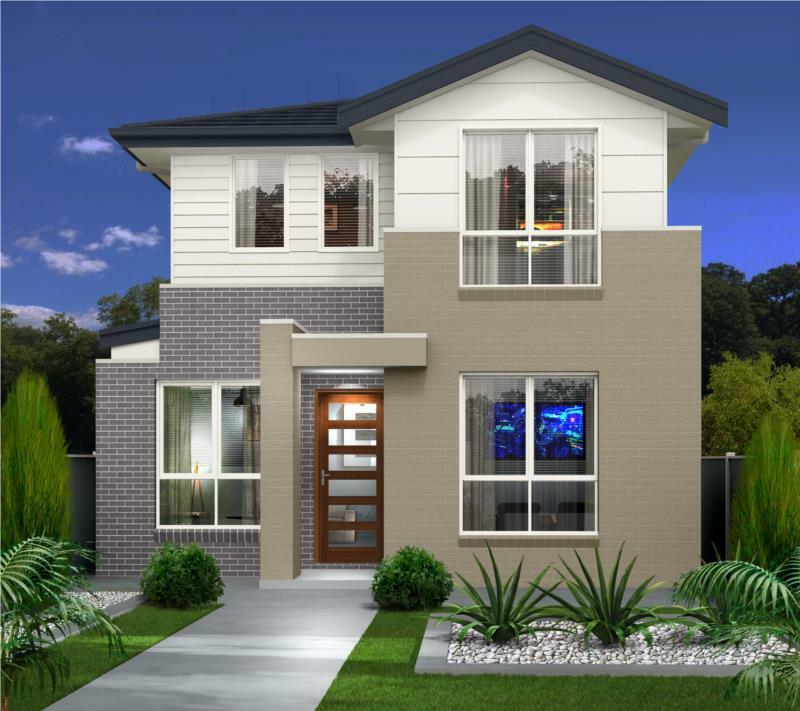 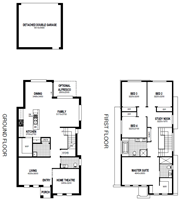 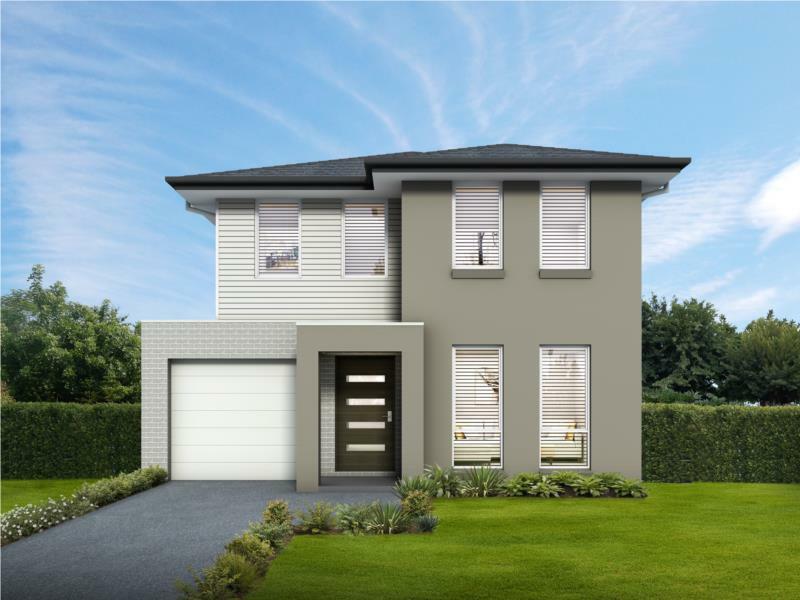 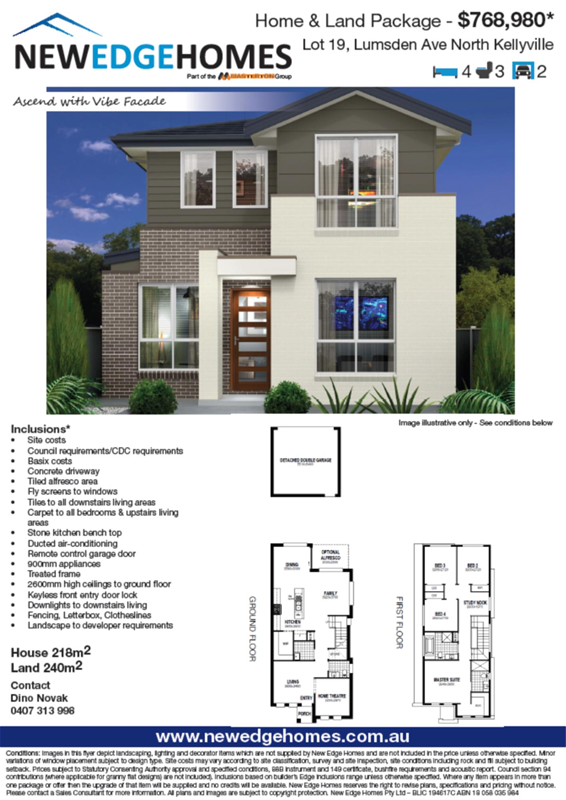 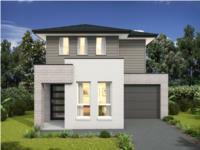 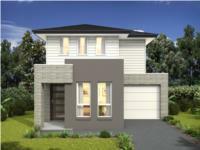 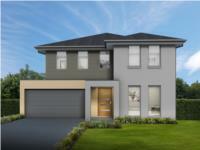 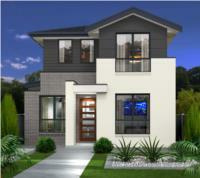 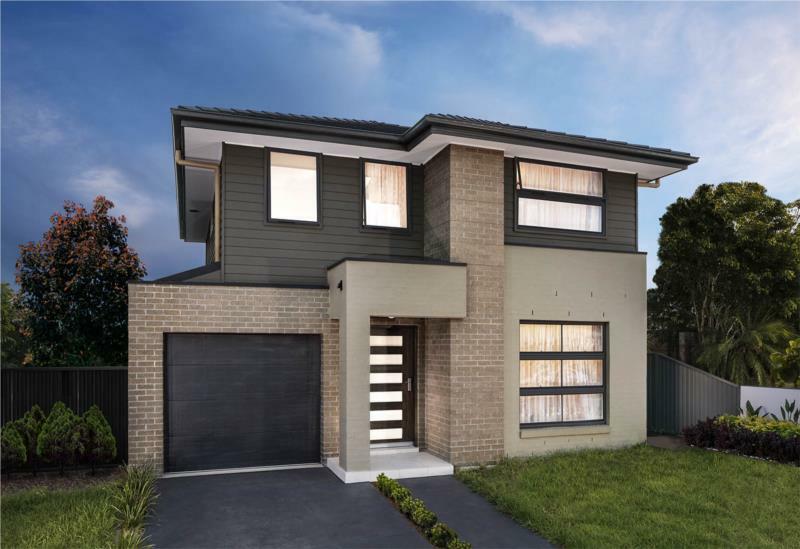 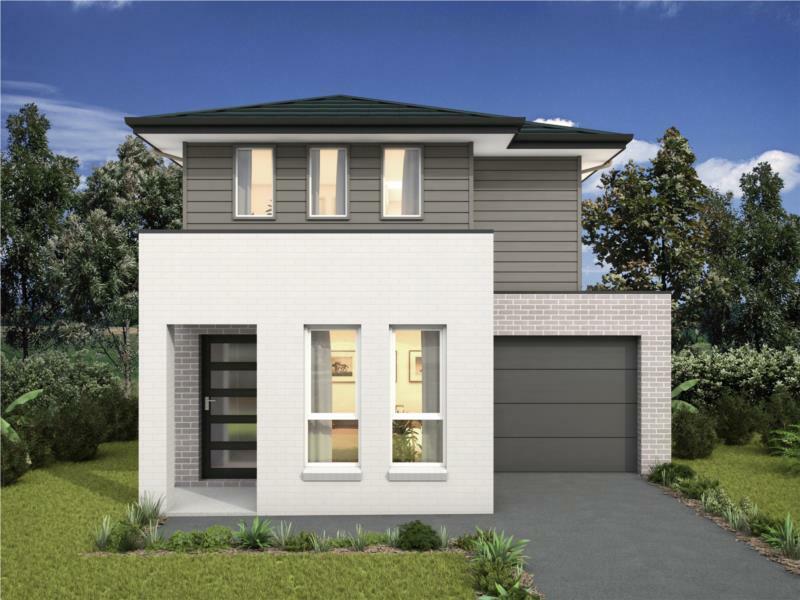 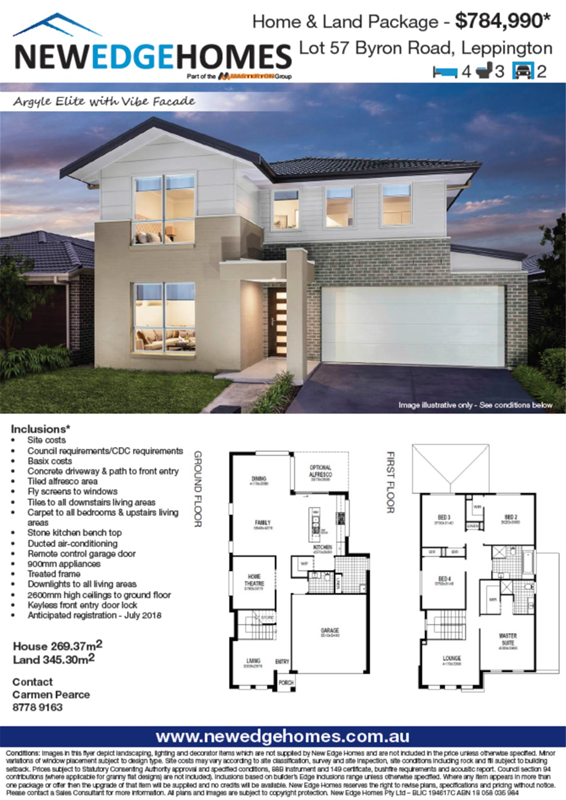 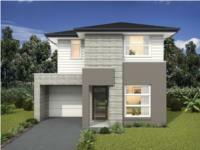 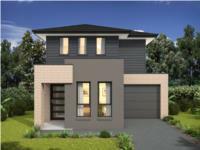 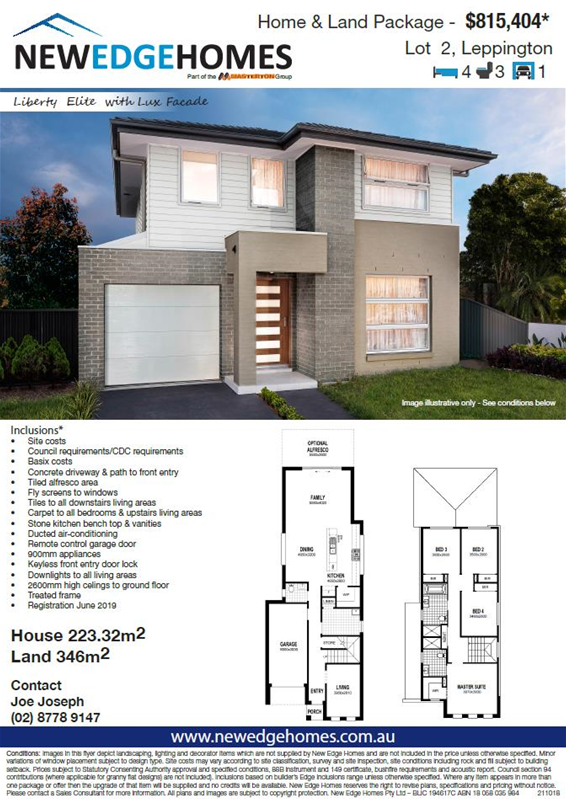 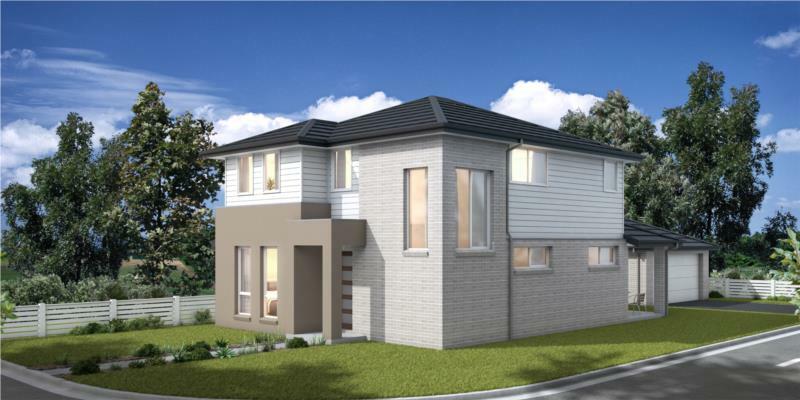 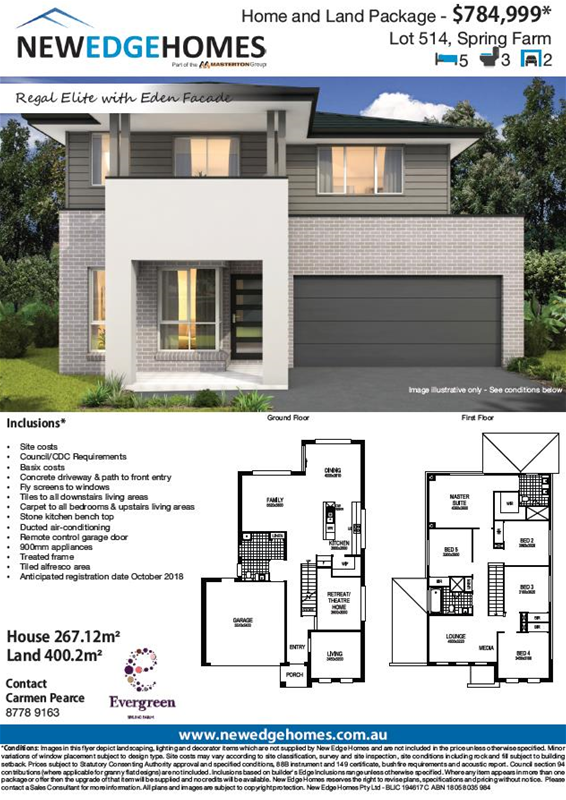 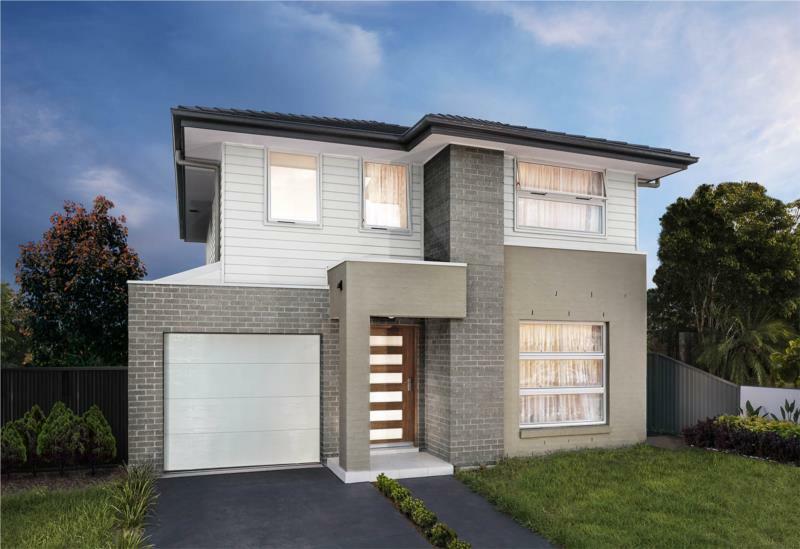 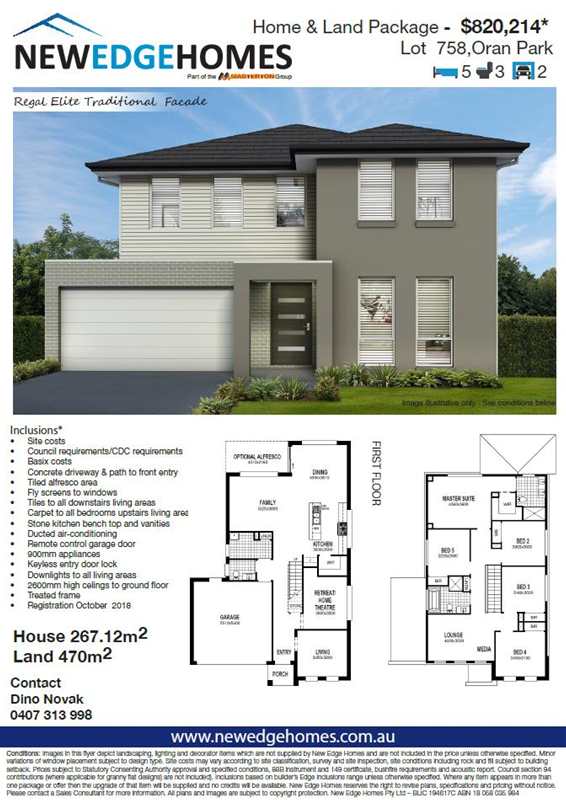 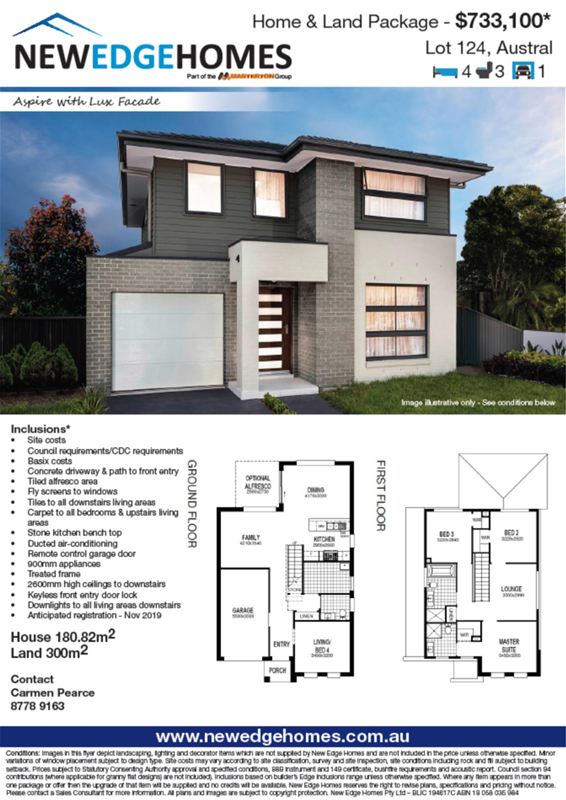 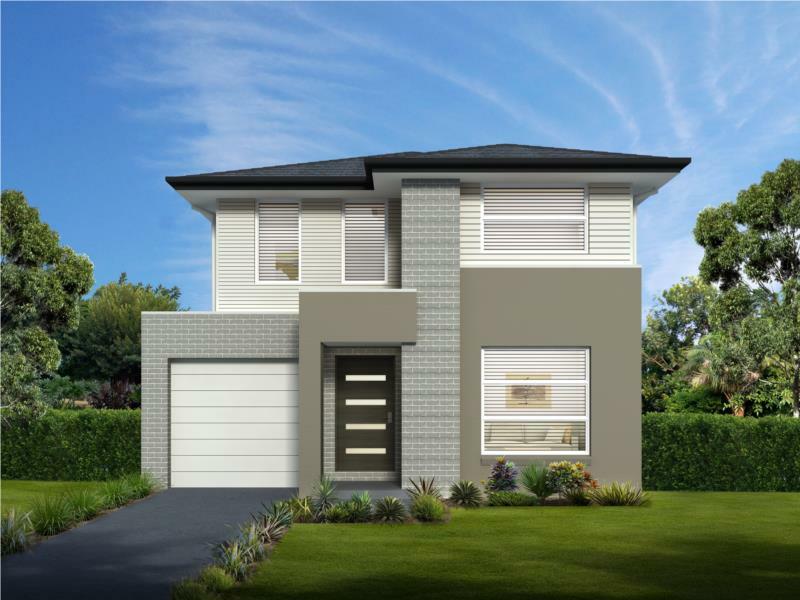 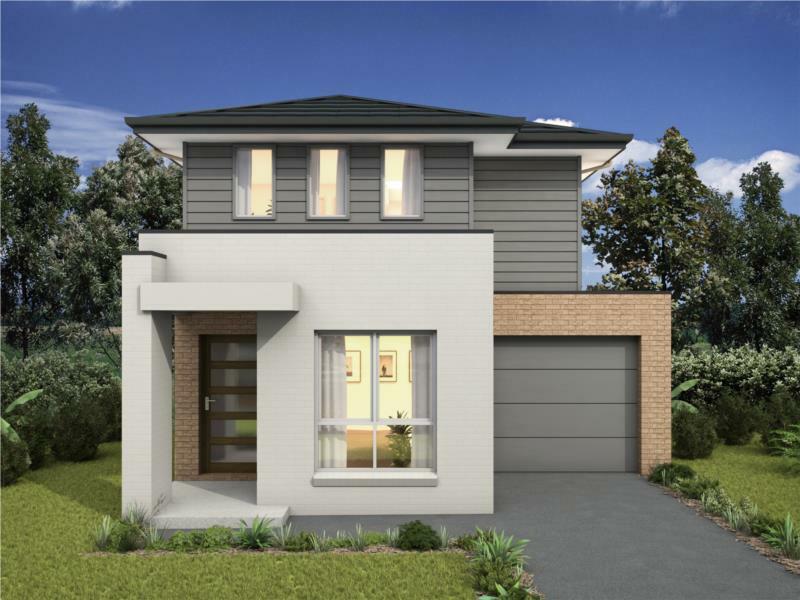 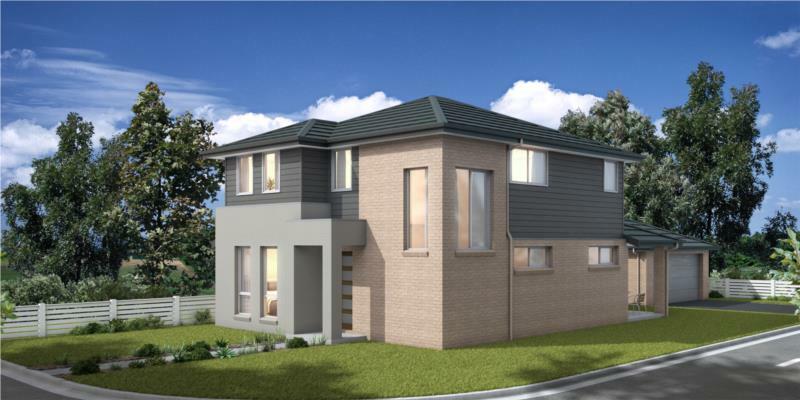 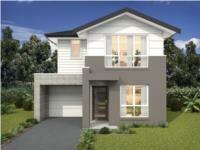 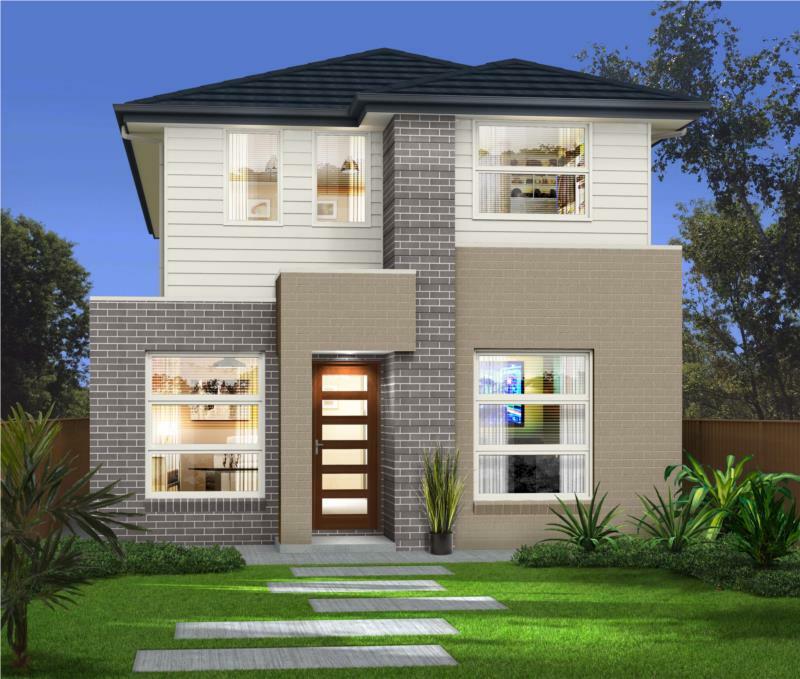 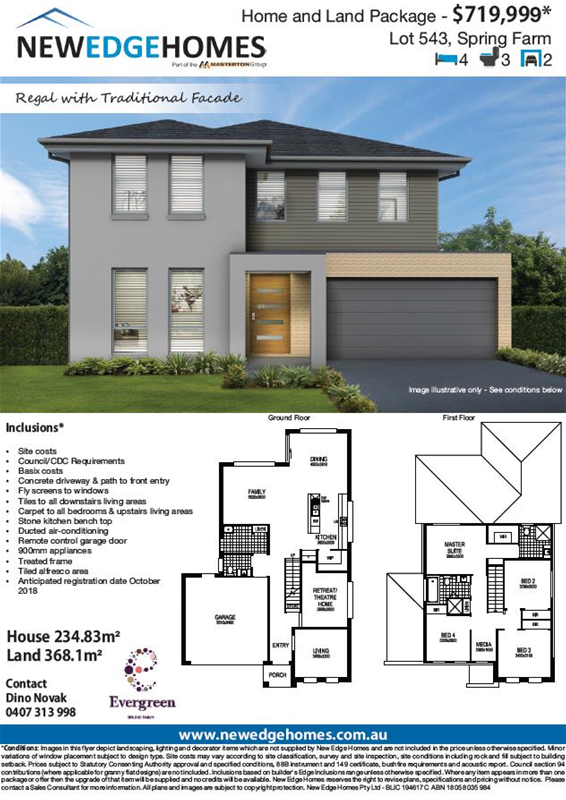 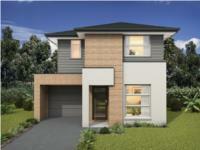 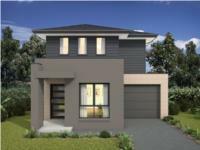 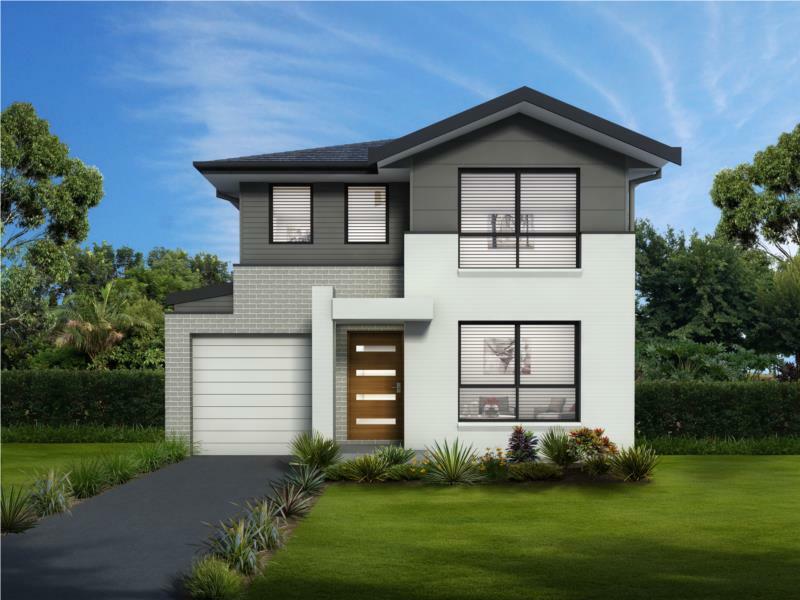 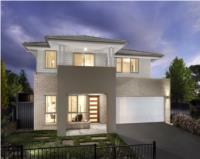 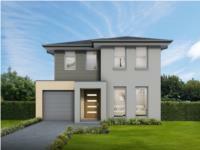 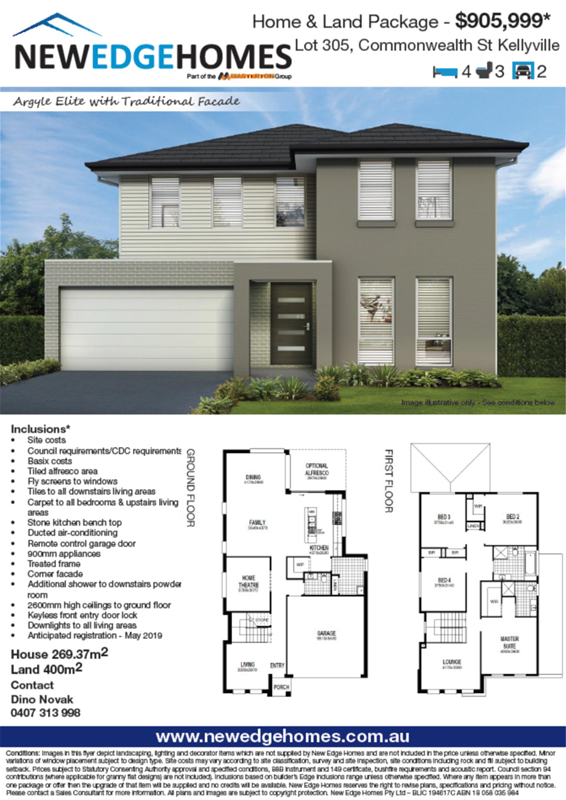 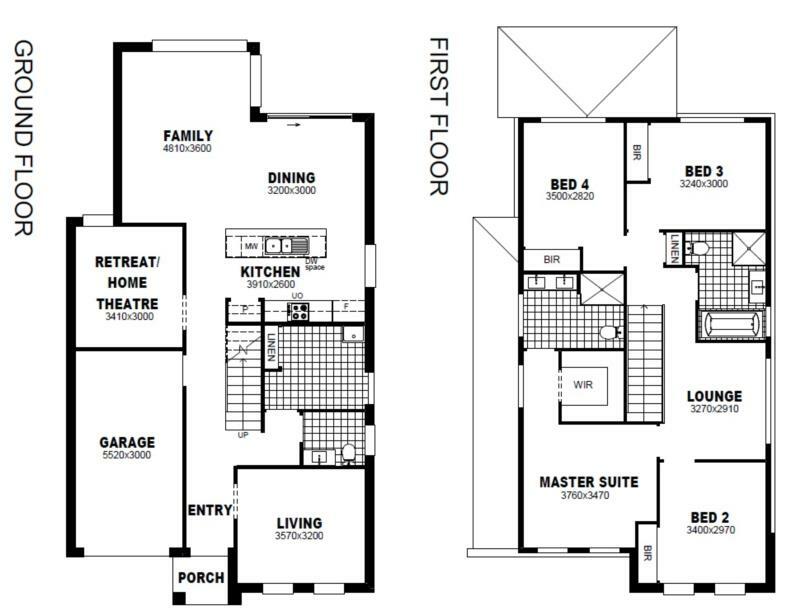 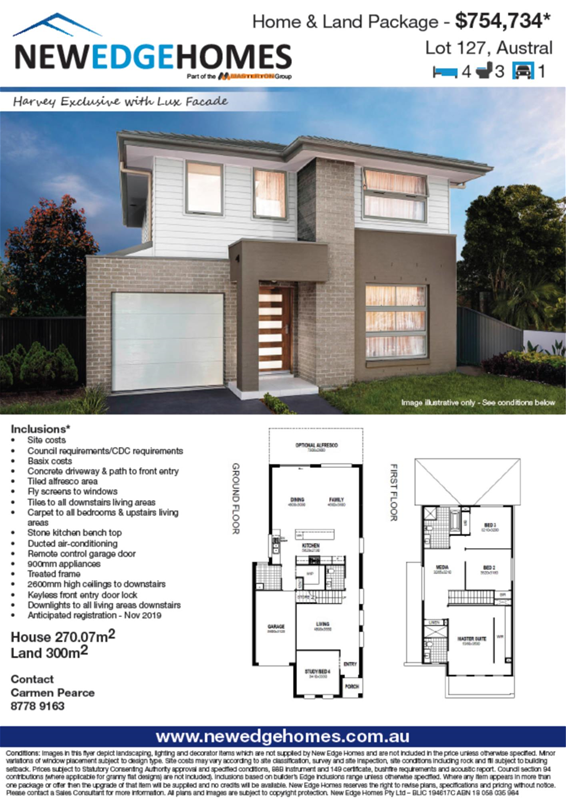 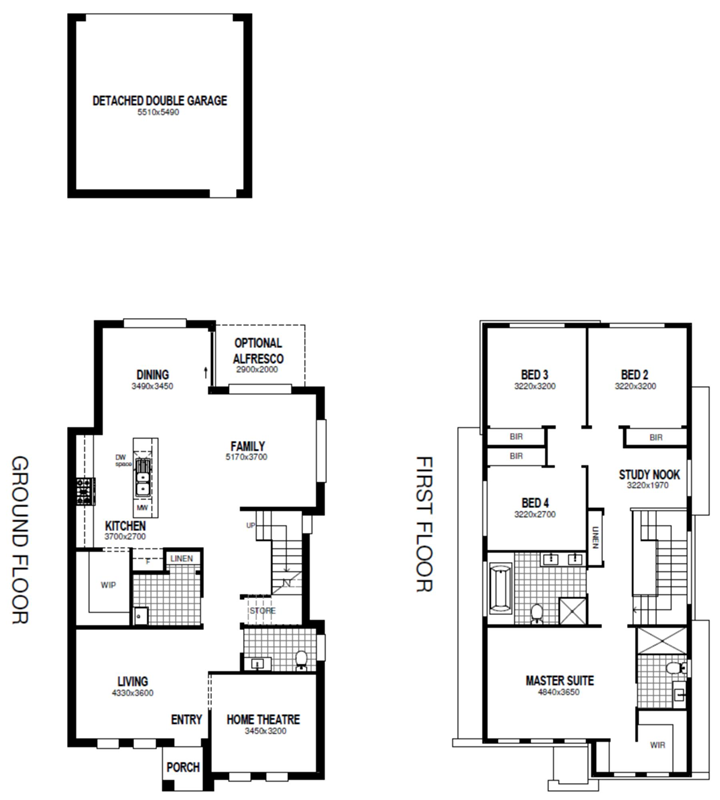 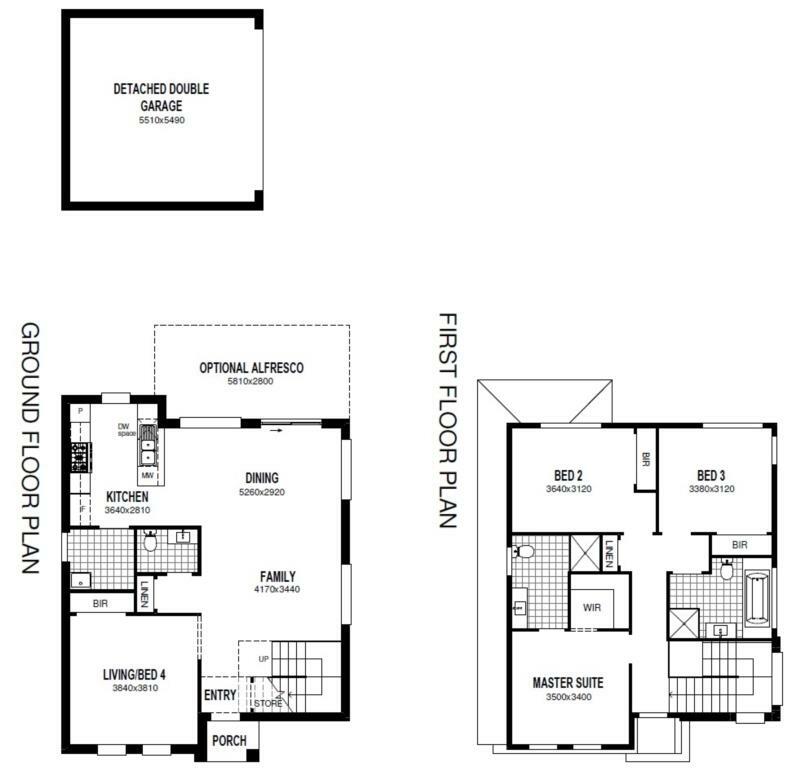 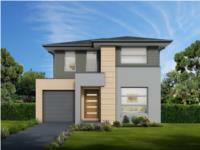 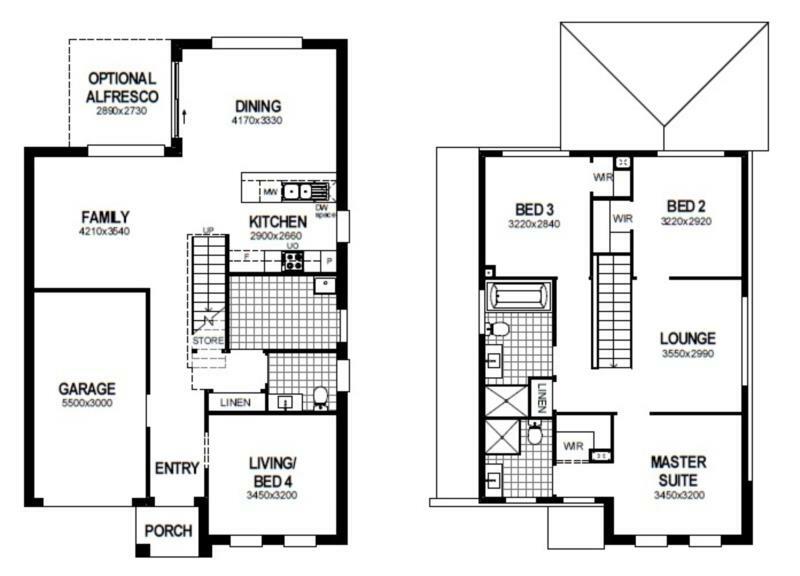 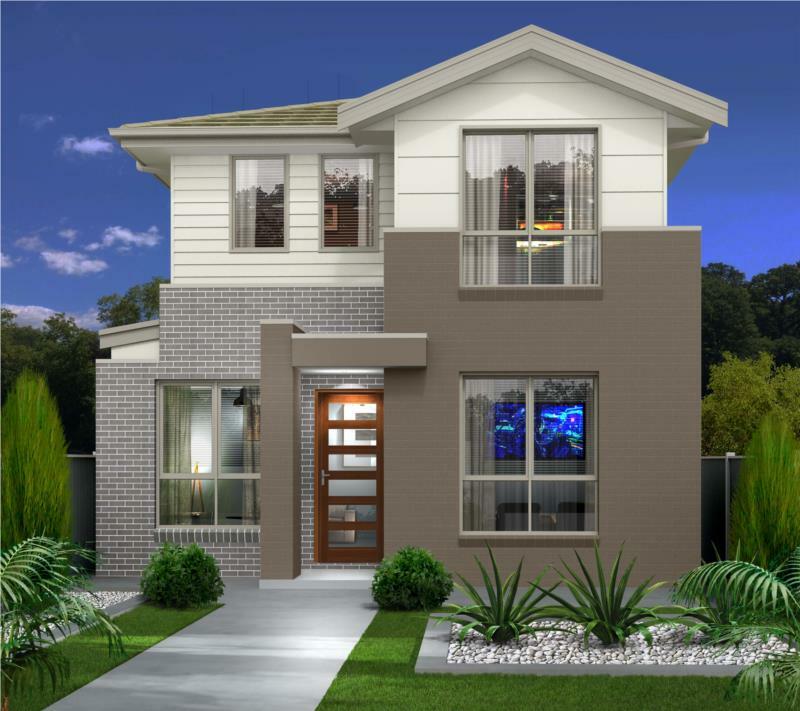 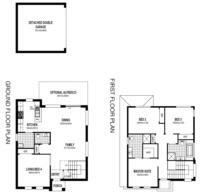 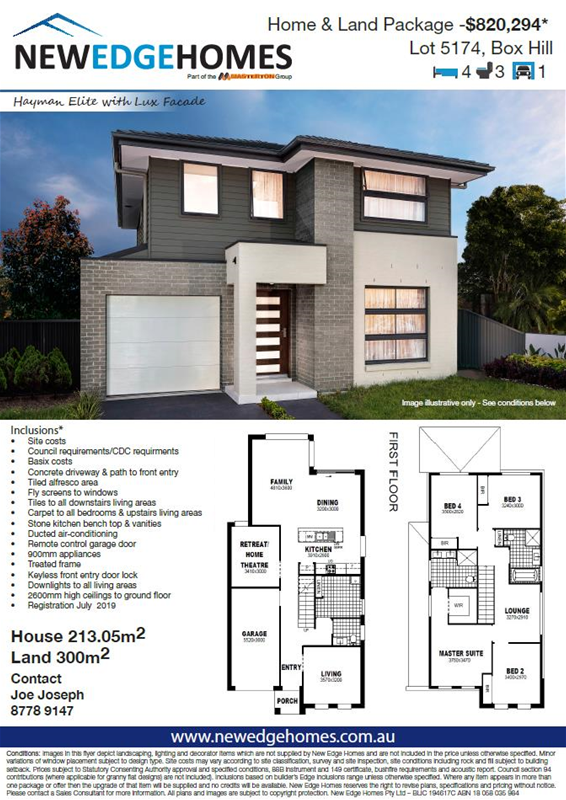 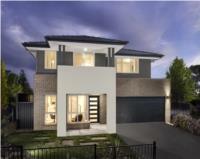 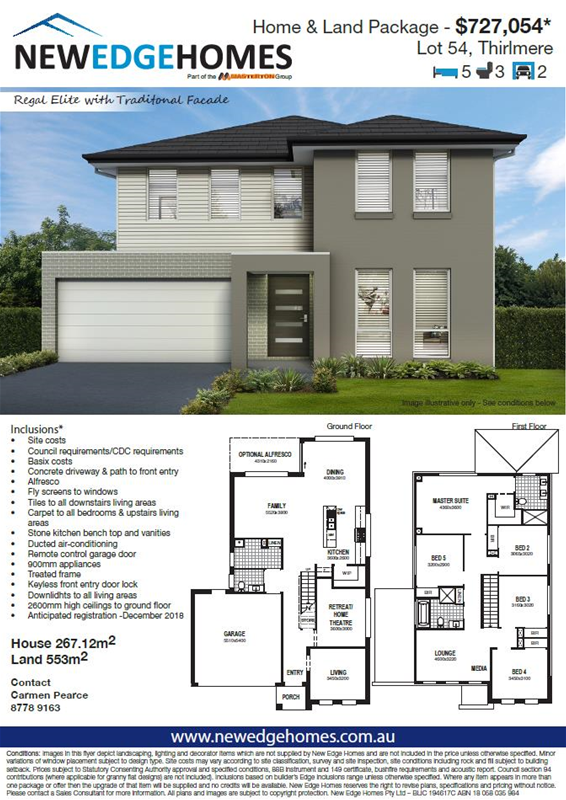 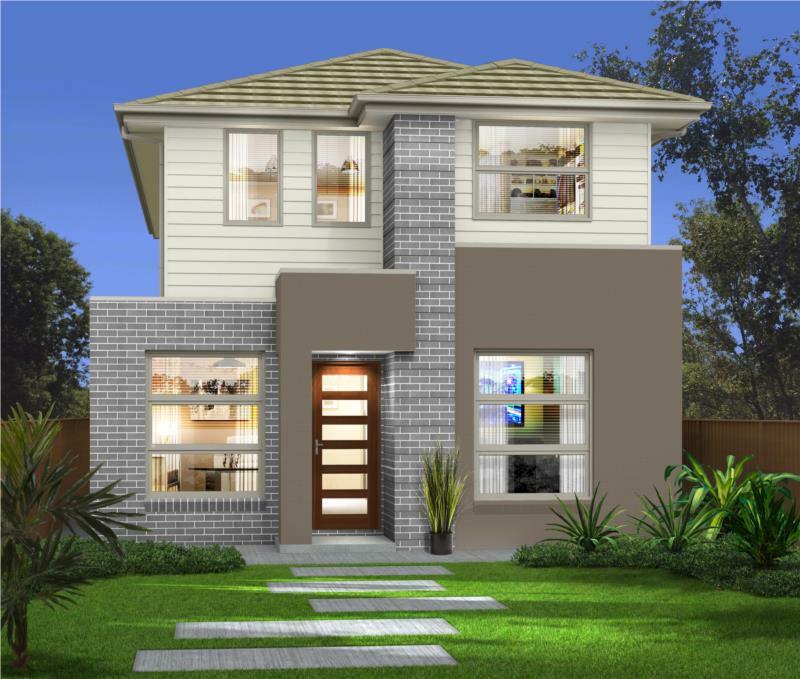 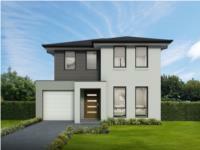 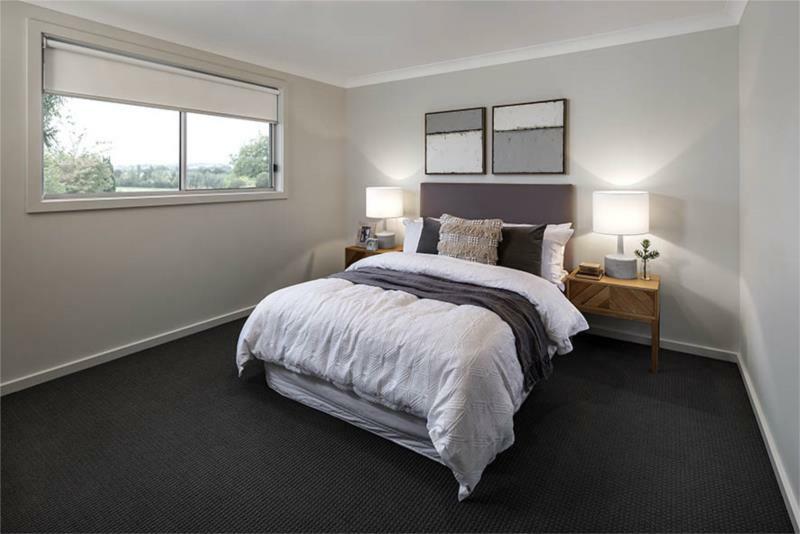 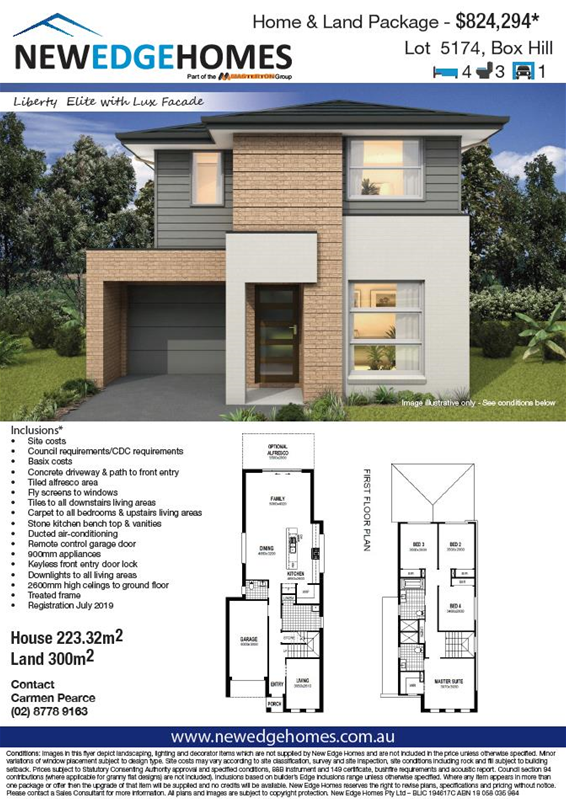 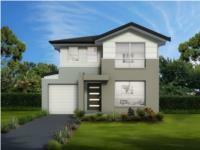 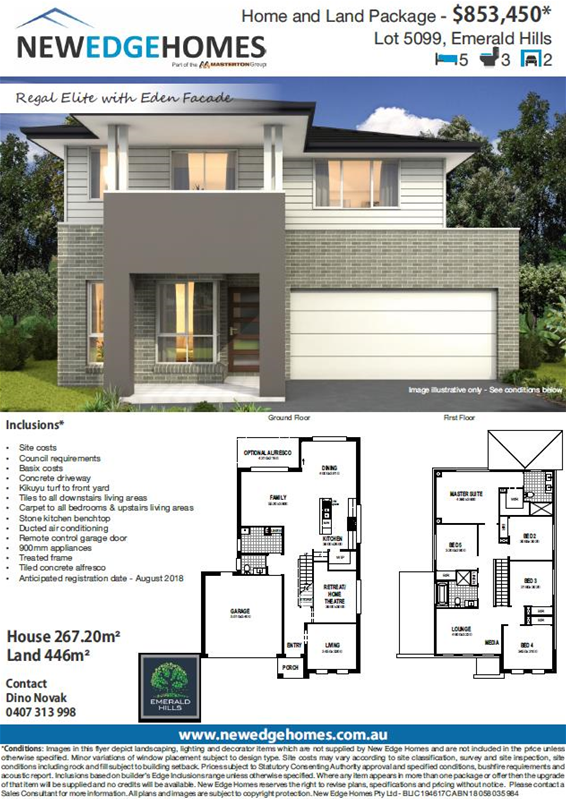 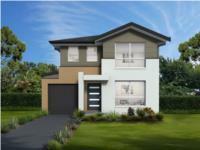 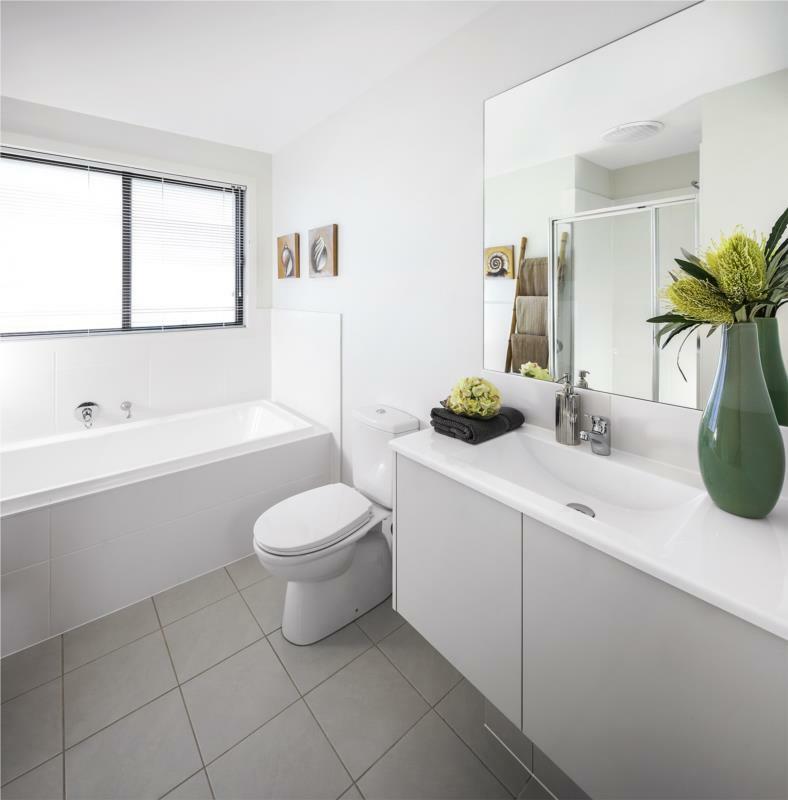 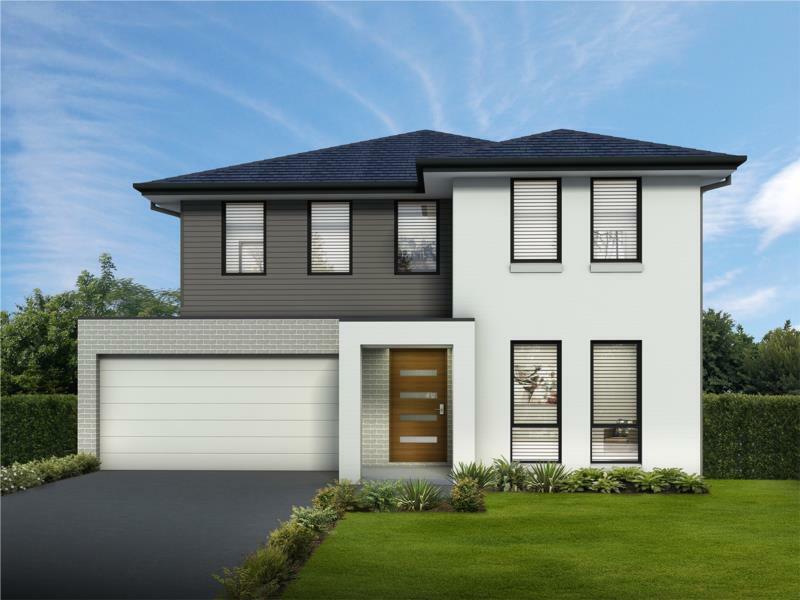 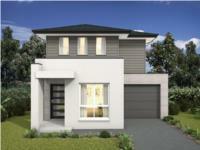 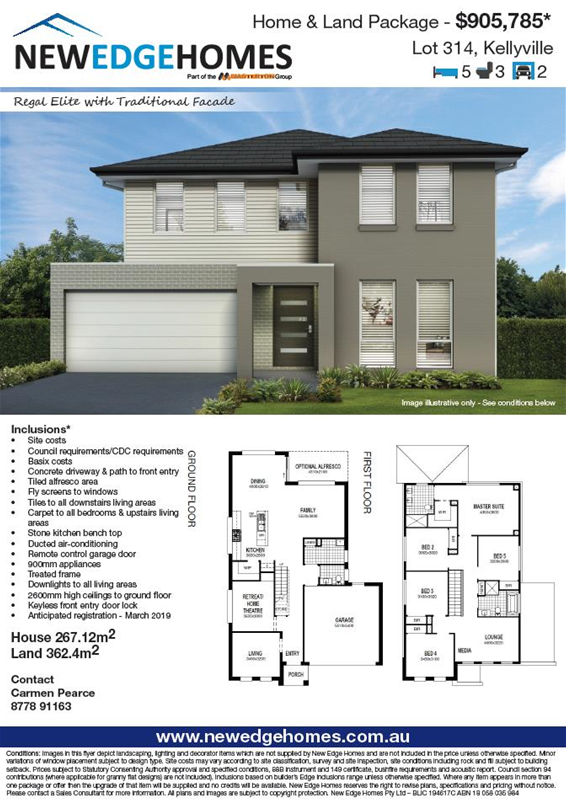 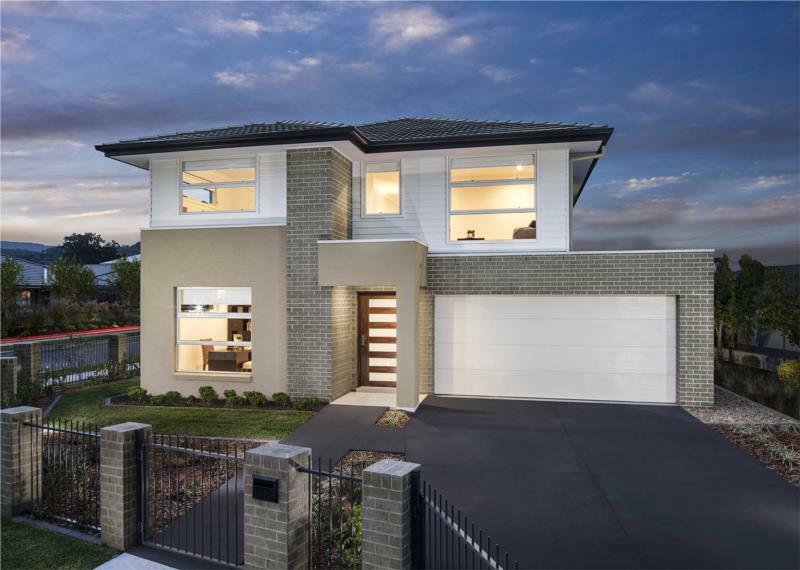 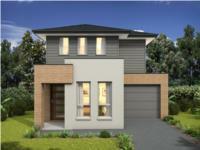 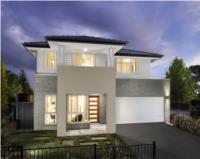 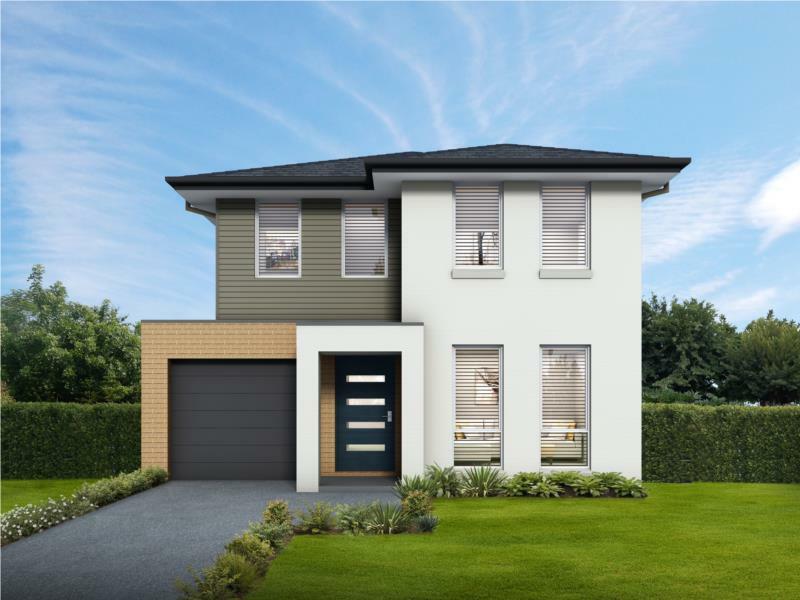 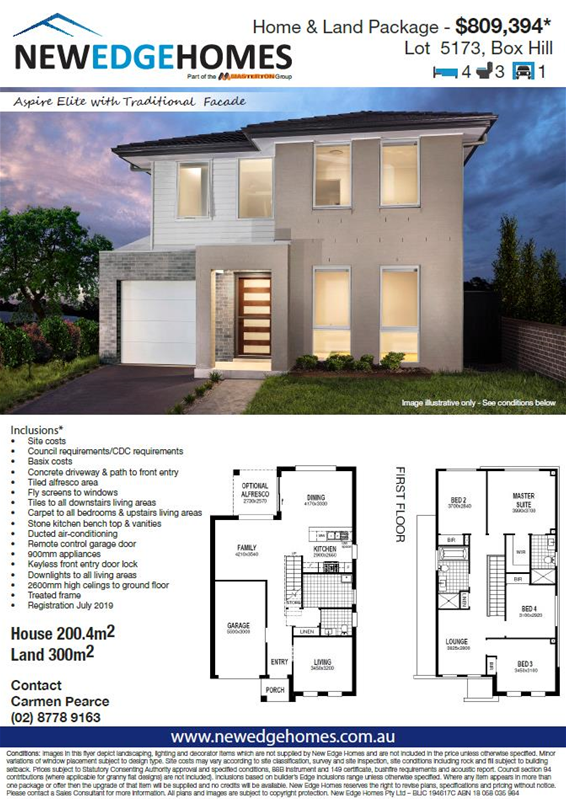 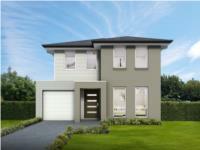 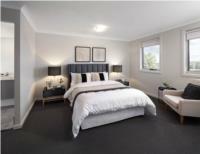 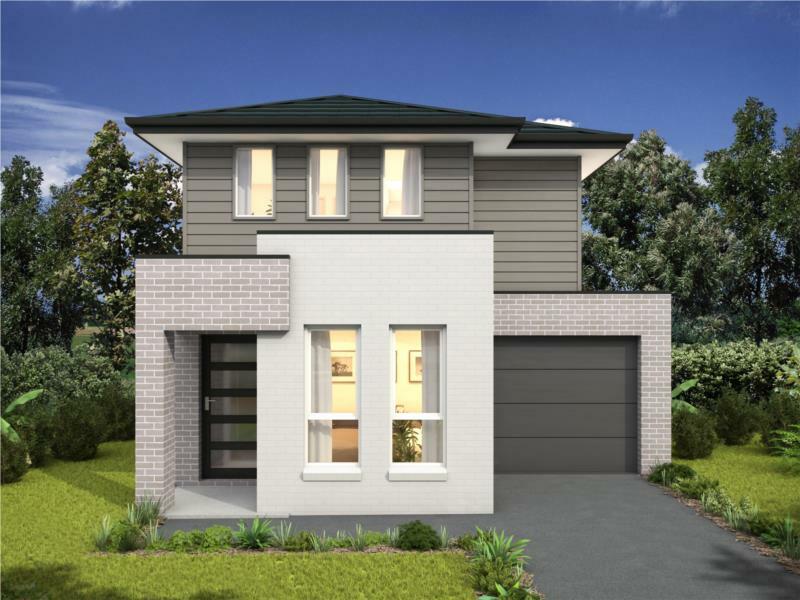 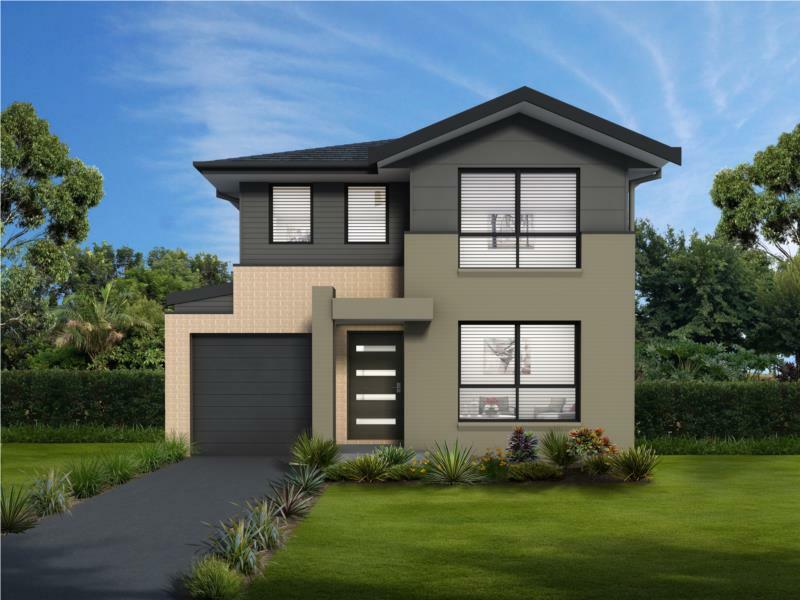 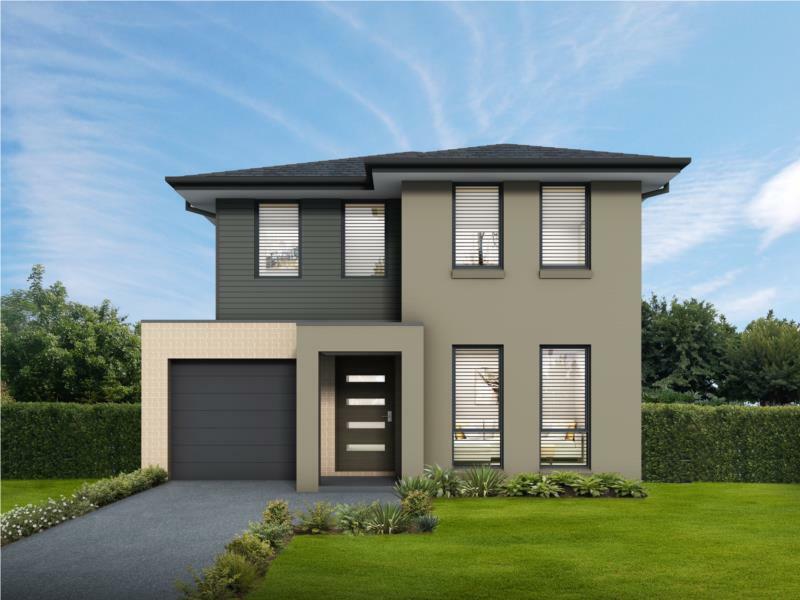 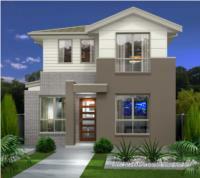 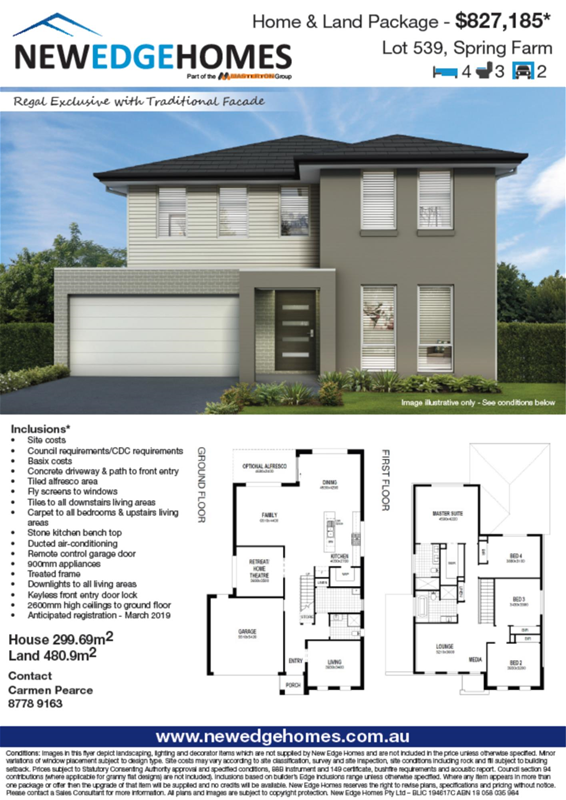 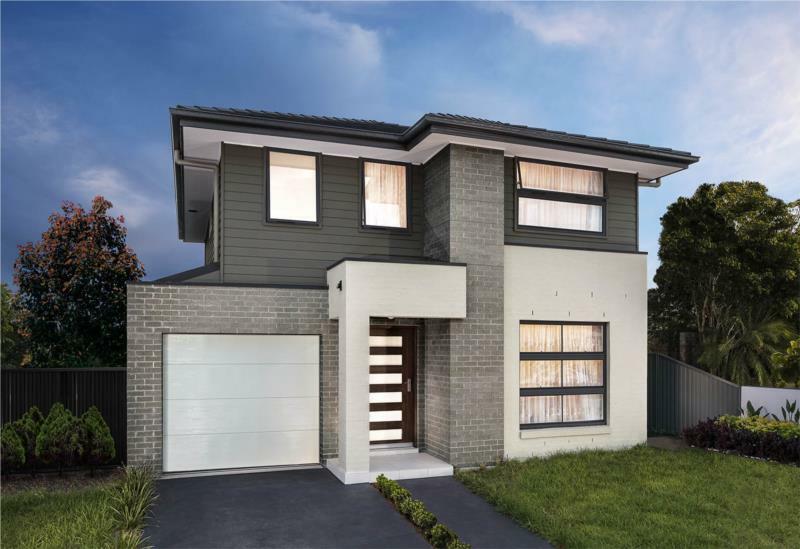 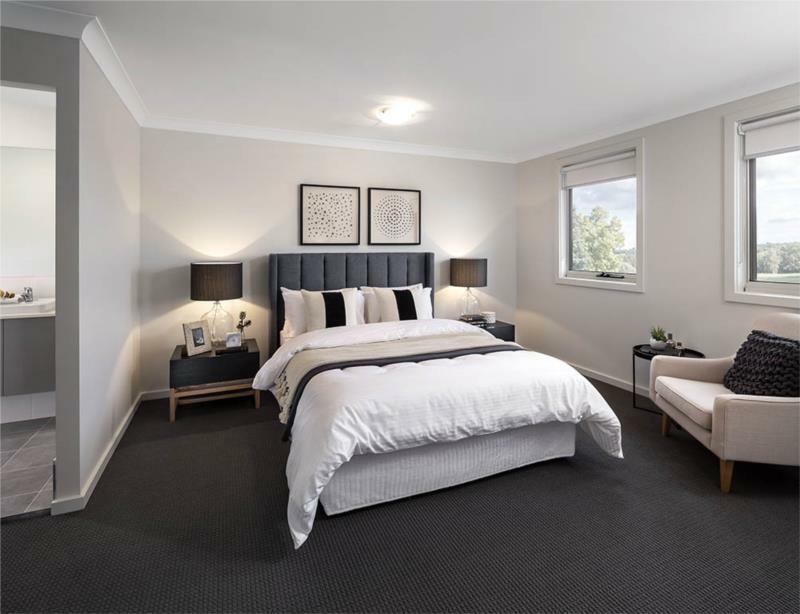 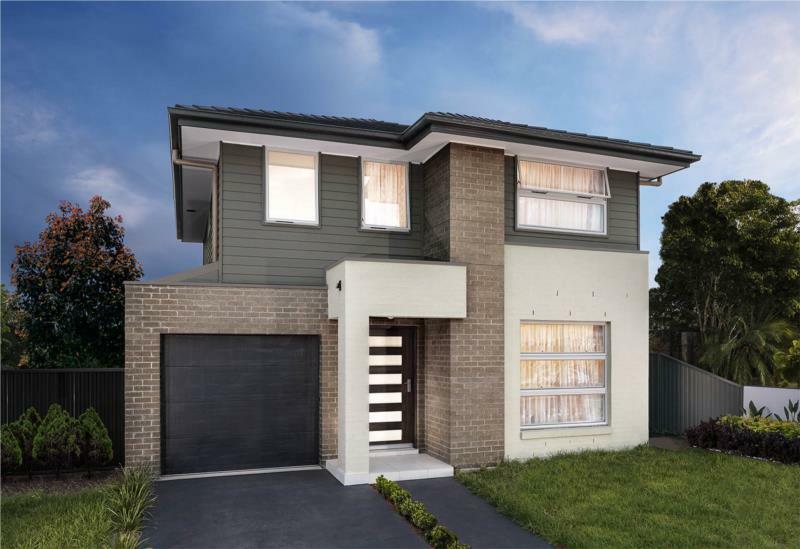 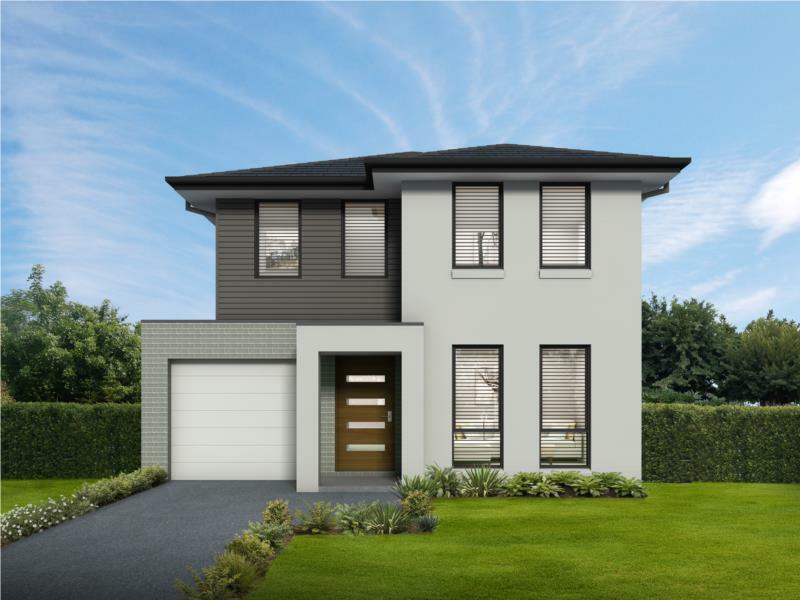 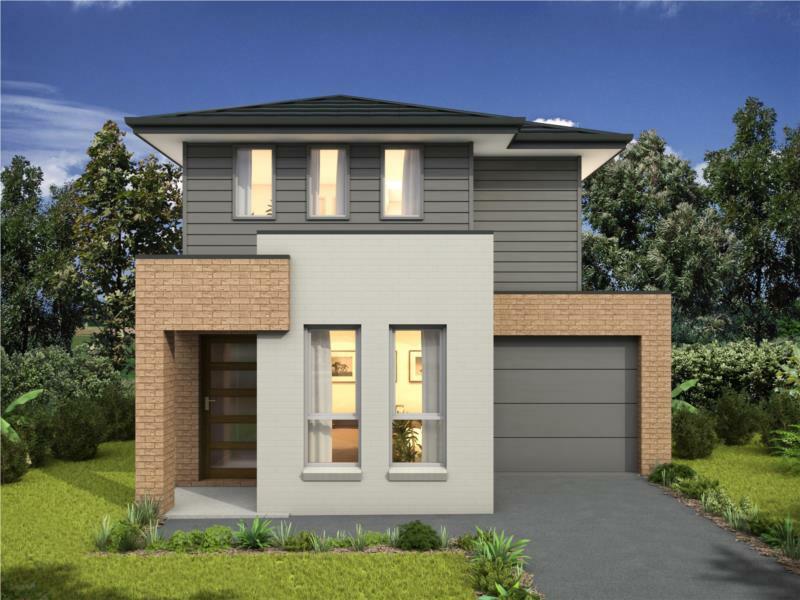 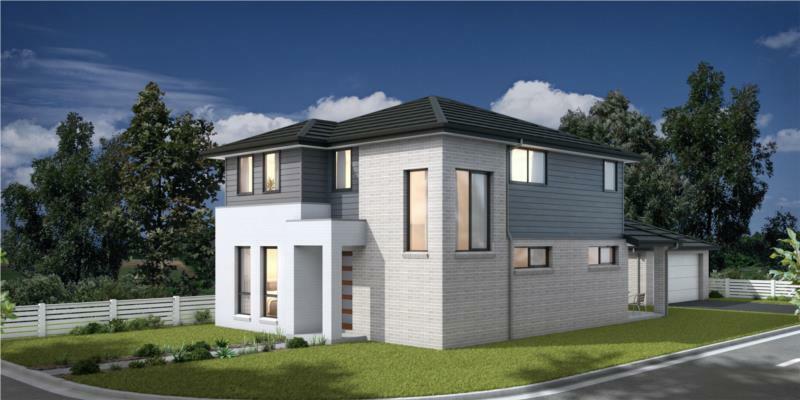 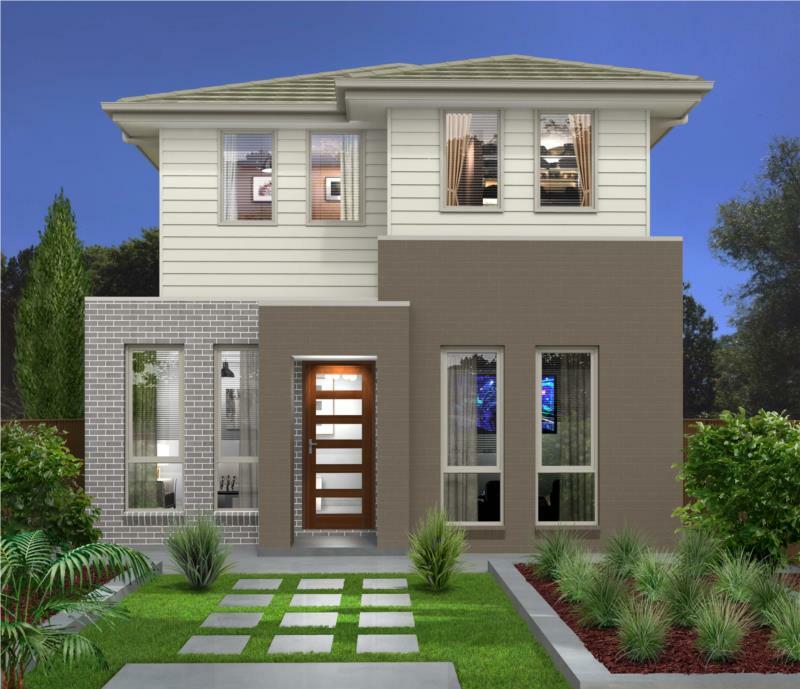 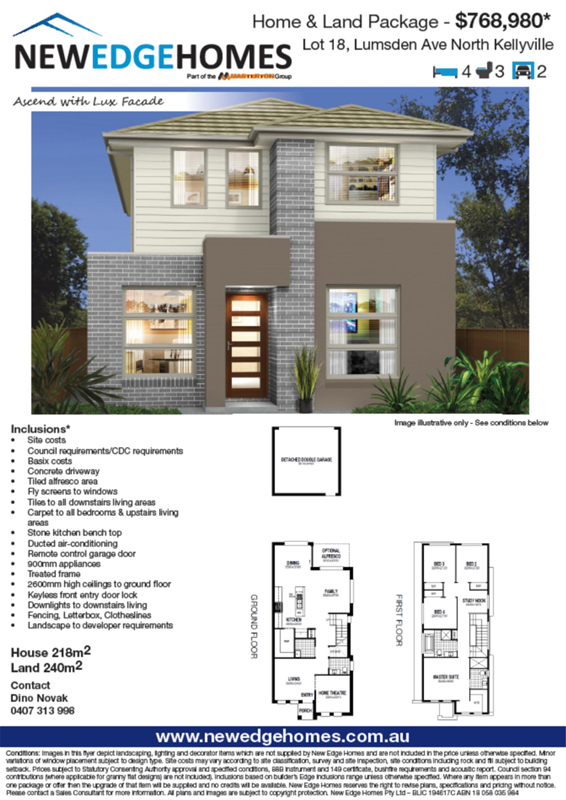 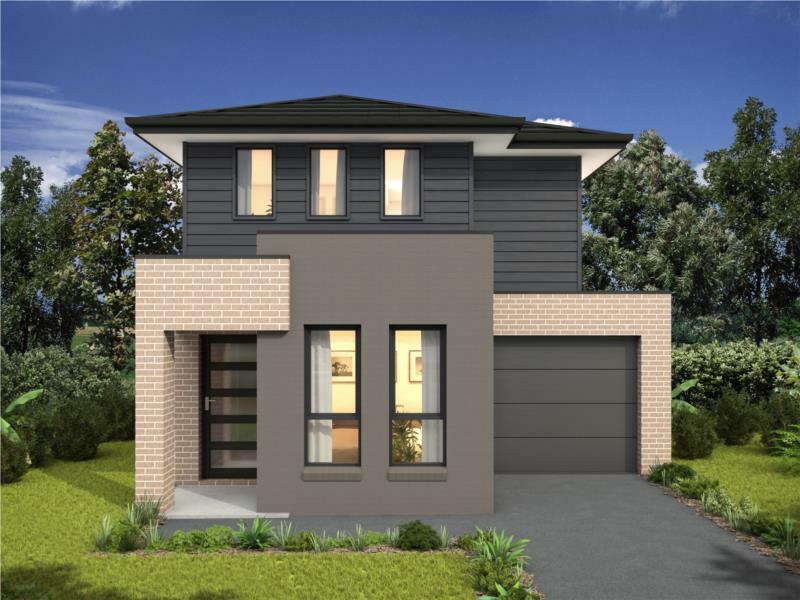 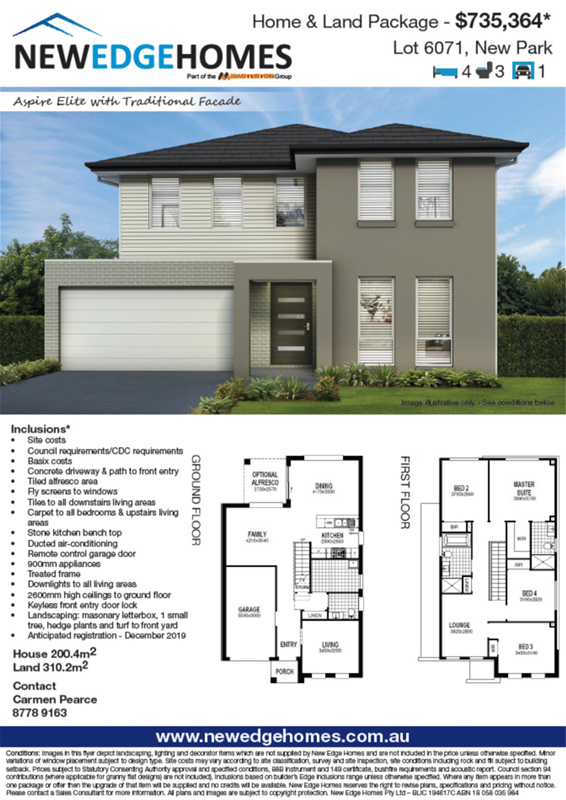 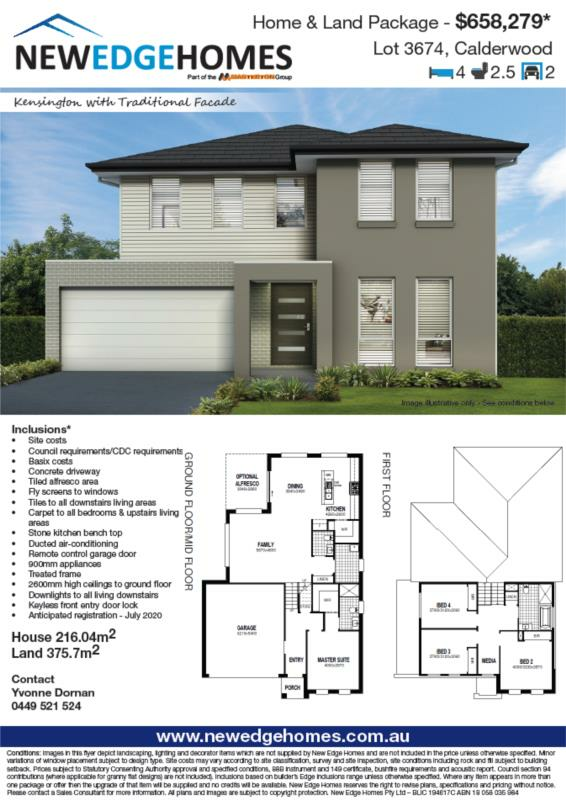 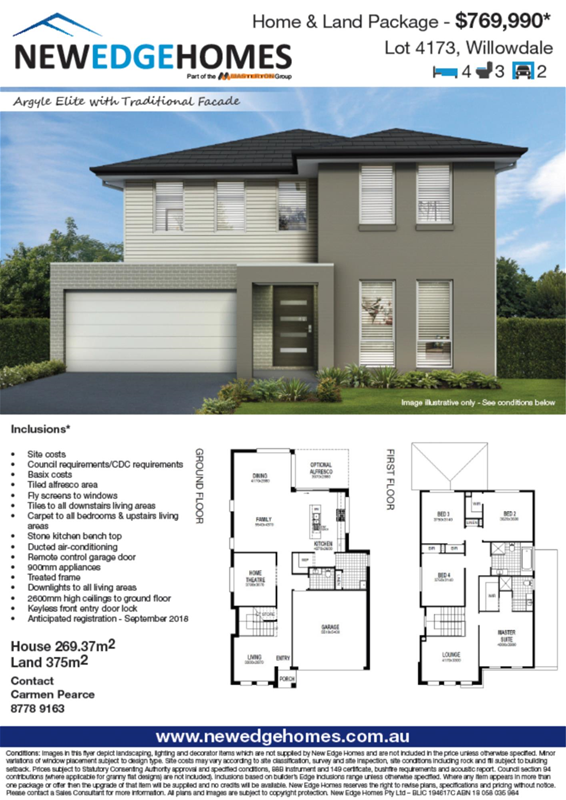 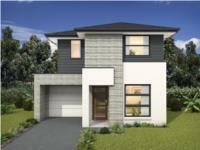 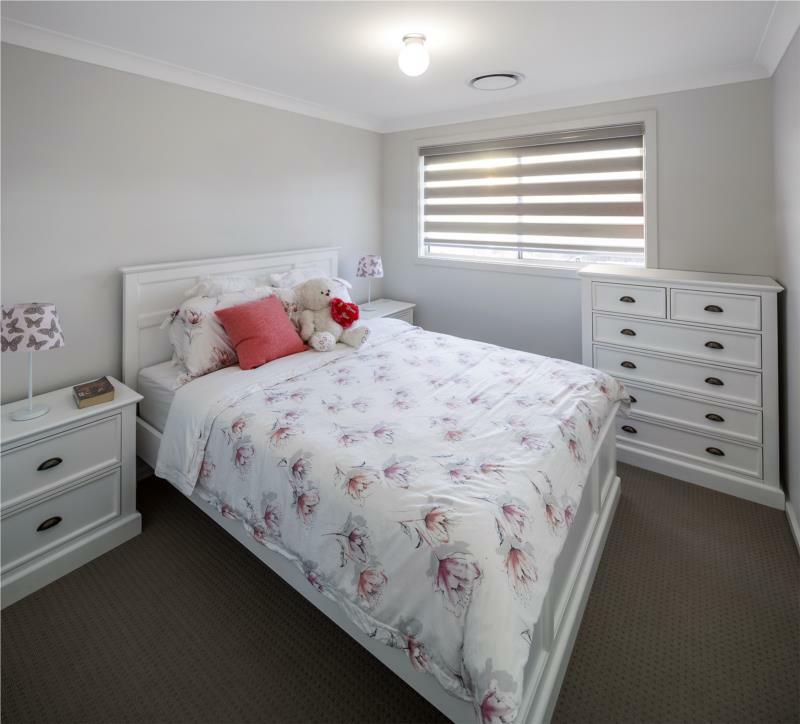 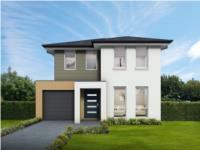 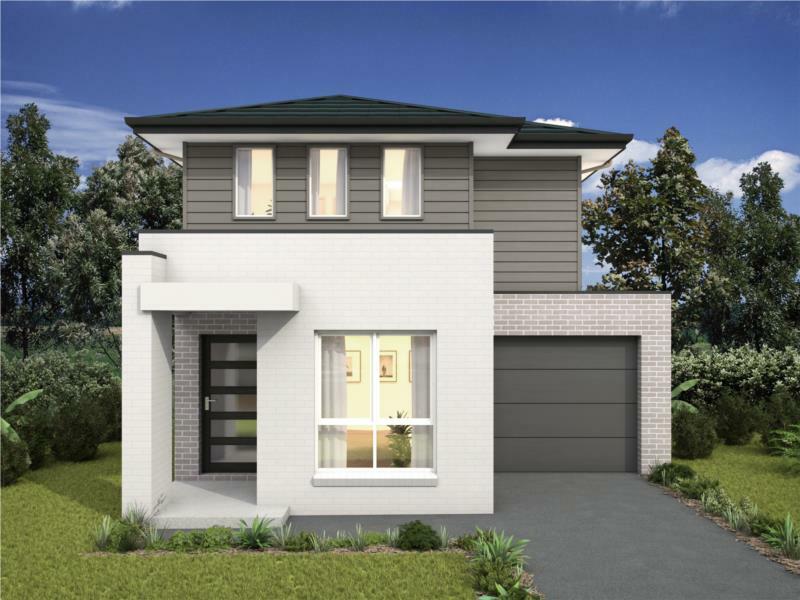 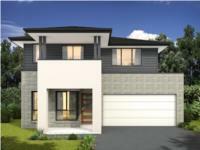 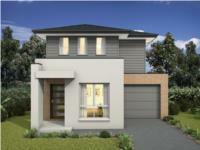 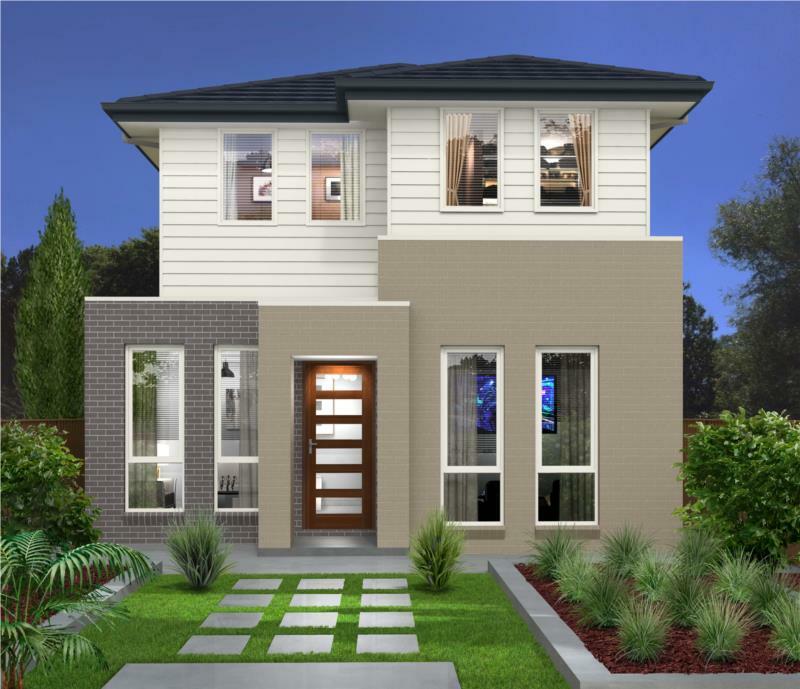 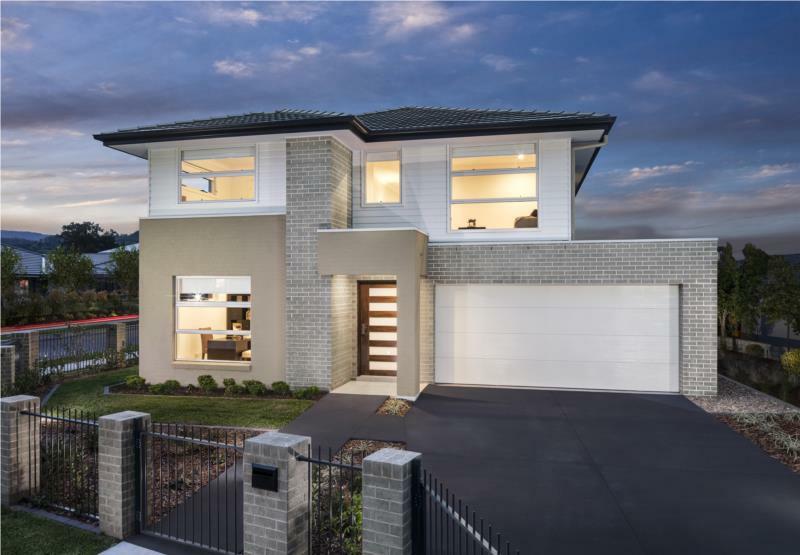 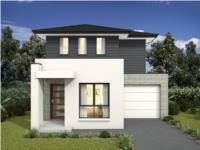 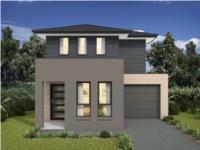 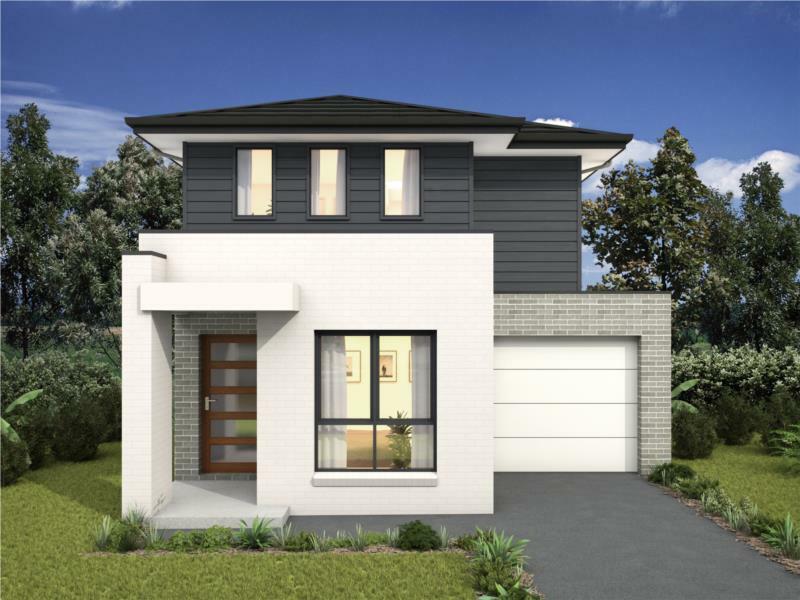 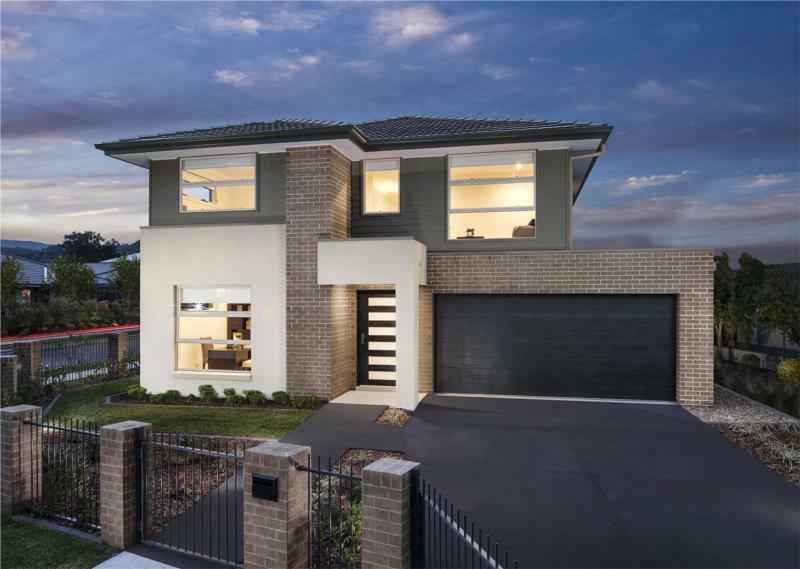 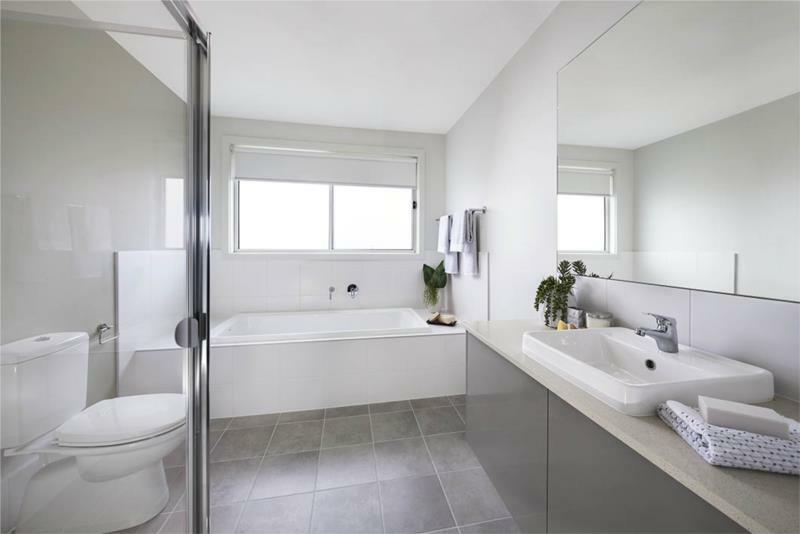 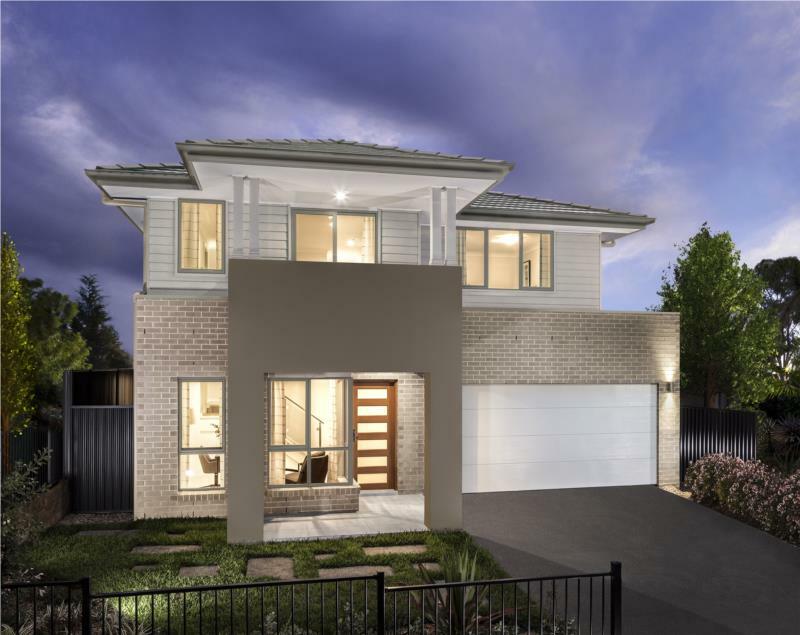 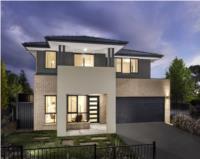 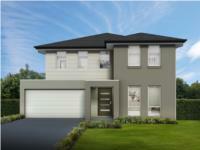 Well now your able to buy your own New Edge designed dream home in Casula. 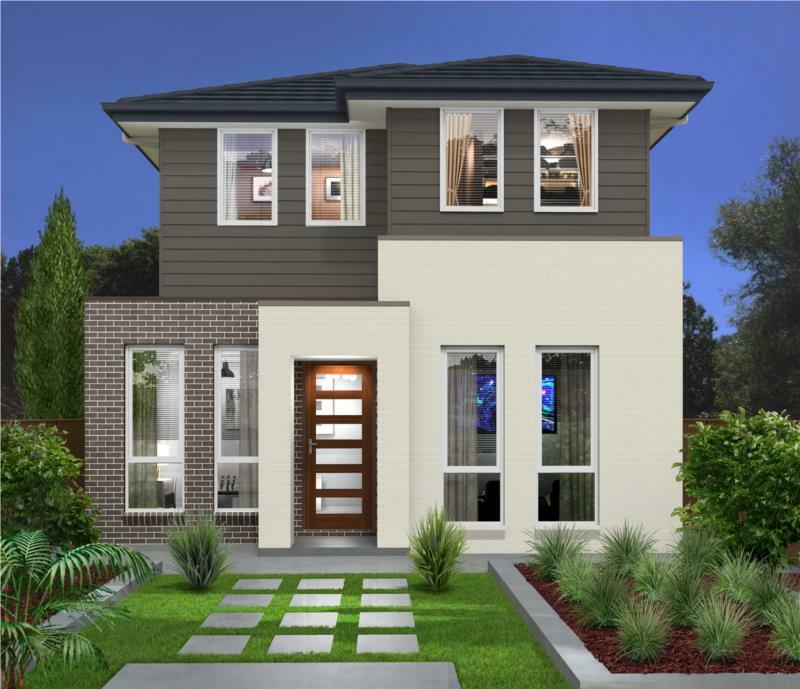 When you think of New Edge homes, think of seamlessly entwined living spaces, designs that ooze with elegance and architectural appeal, where luxury meets functionality and if you can believe it – affordability. Sound nice? 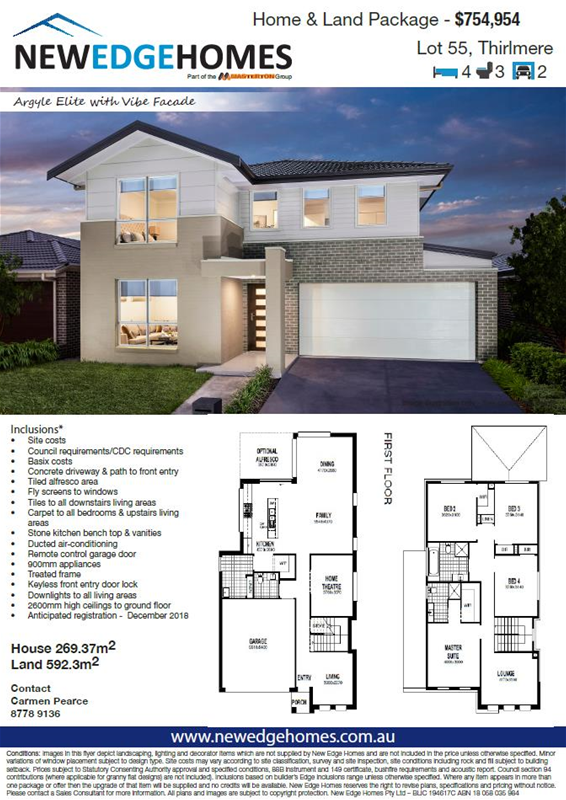 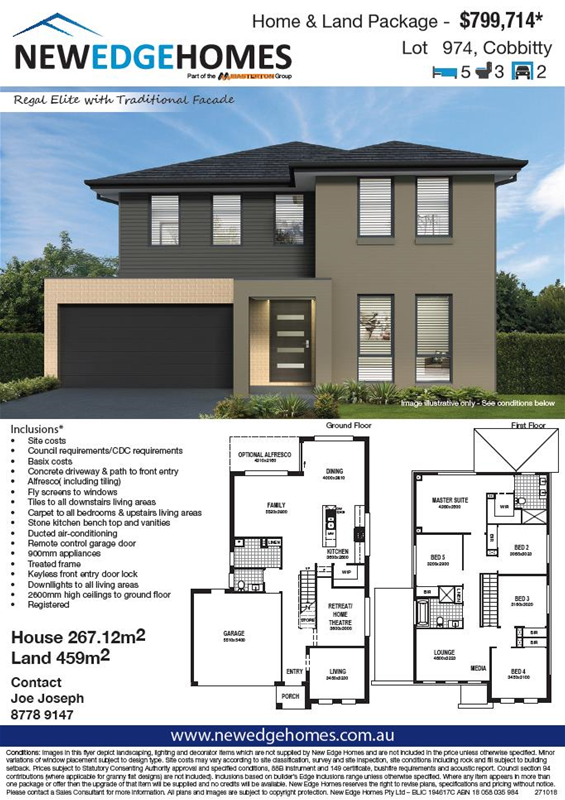 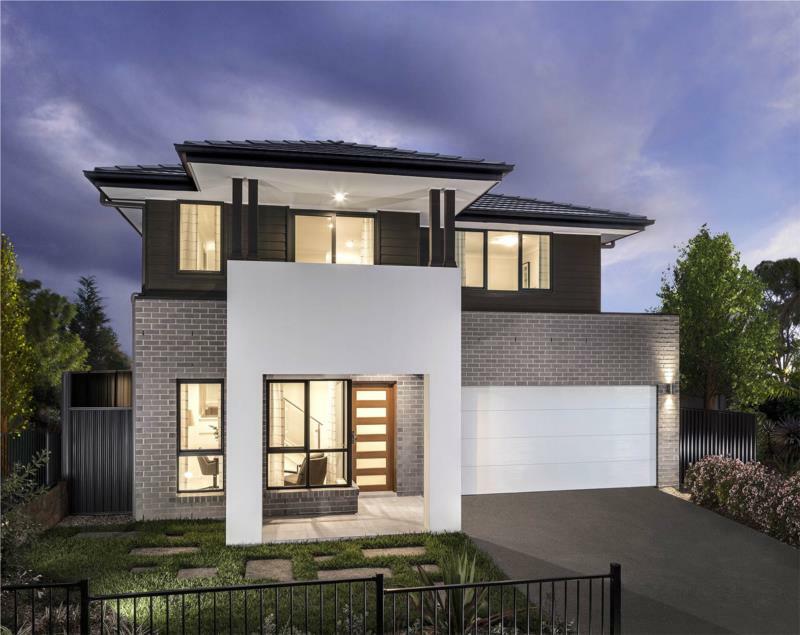 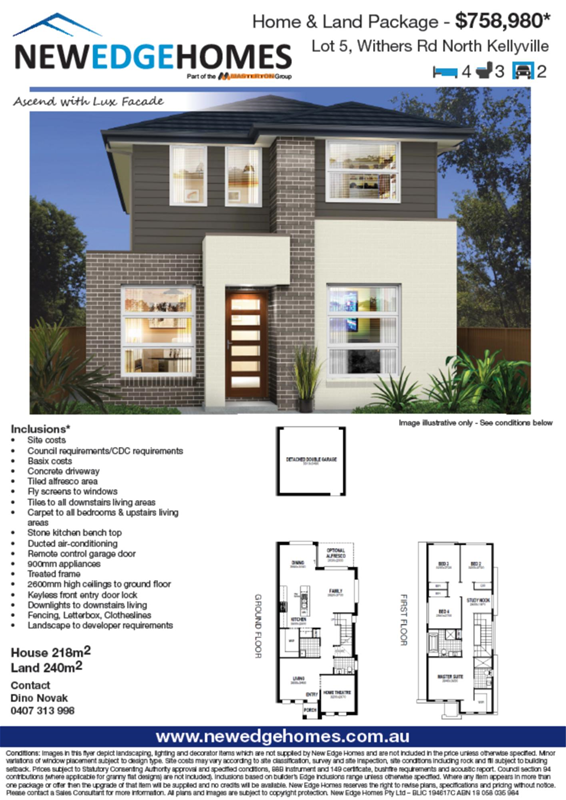 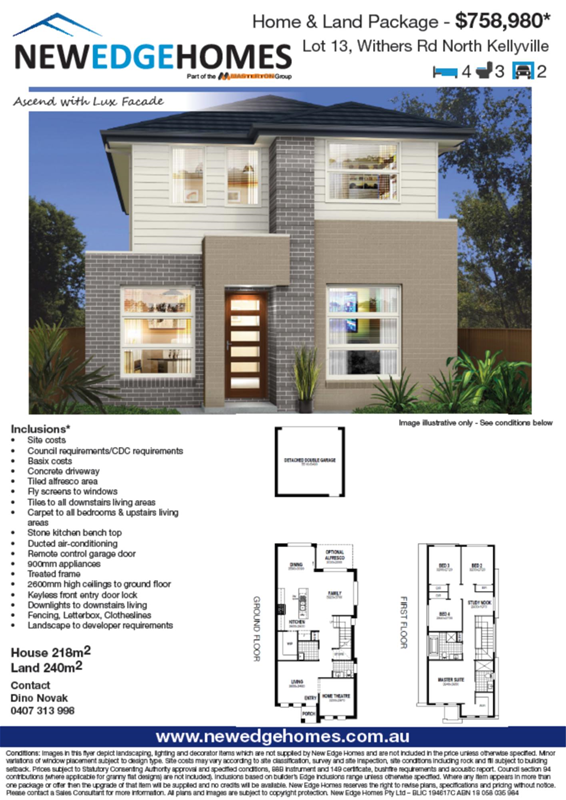 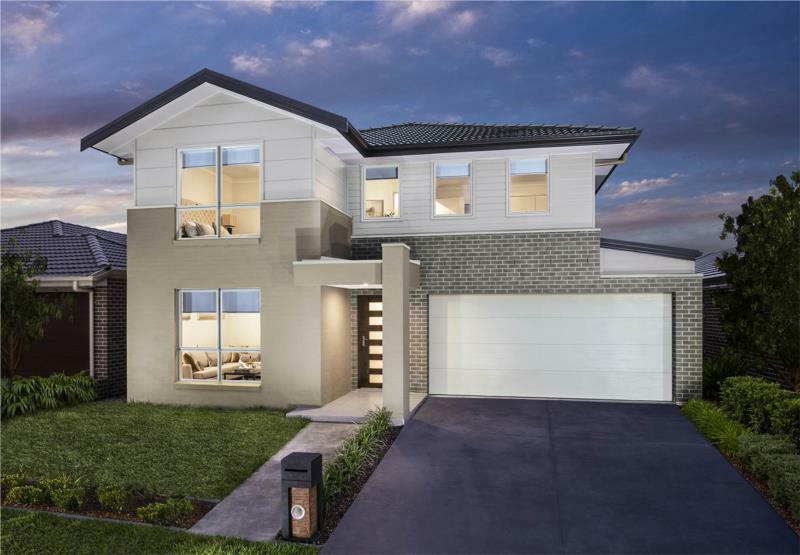 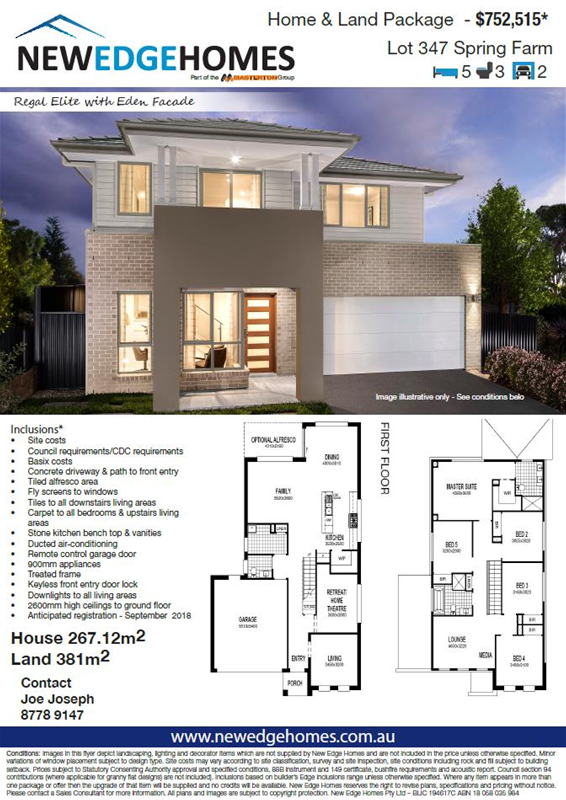 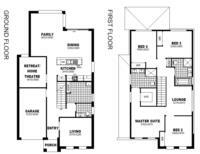 Well now your able to buy your own New Edge designed dream home in Leppington. 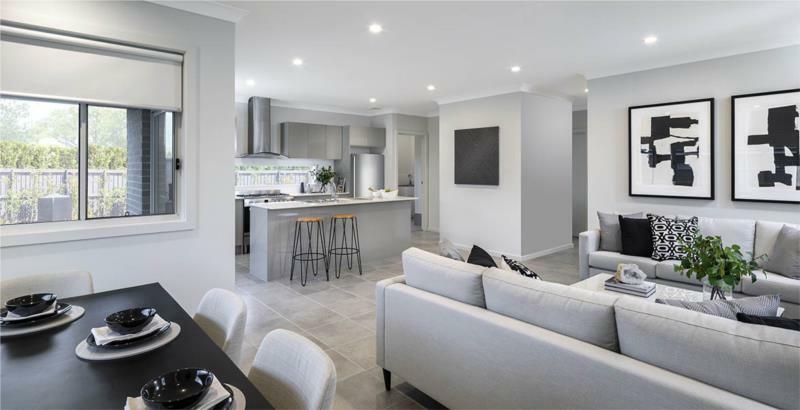 Nestled in nature, with kilometres of walkways, bikelanes and easy access to schools, shops and transport, Willowdale the suburb of choice for Sydney siders. 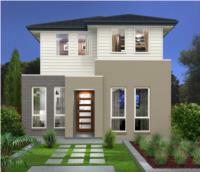 And now, with New Edge building homes in the picturesque setting you’ll be sure to find the home of your dreams. 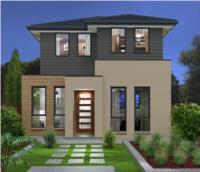 New Edge Homes "Melia- Traditional Facade" on a 328.50m2 Lot in Elara: Spring Promotion - take $15,000 off package price! 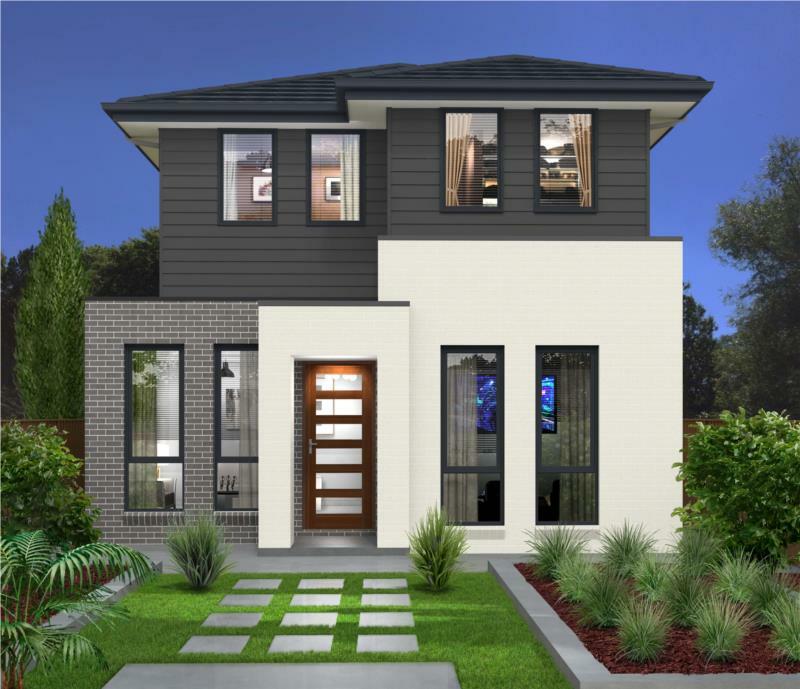 When you think of New Edge homes, think of seamlessly entwined living spaces, designs that ooze with elegance and architectural appeal, where luxury meets functionality and if you can believe it – affordability. 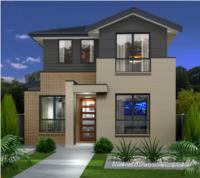 Sound nice? Well now your able to buy your own New Edge designed dream home at Jordan Springs. 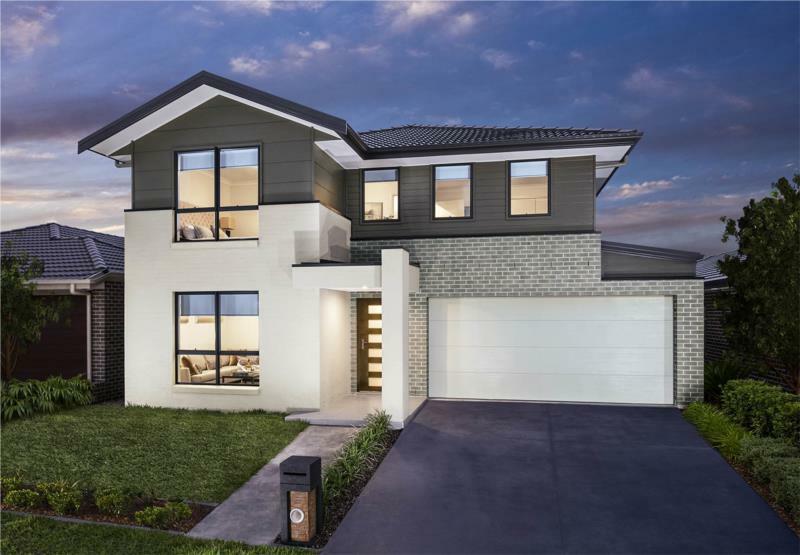 Set in 900ha of parklands, Jordan Springs is an award winning community, carefully created to make the best use of it’s gorgeous natural setting with a balance of homes, shops, parks and other infrastructure including hiking and bike trails. New Edge Homes "Melia - Vibe Facade" on a 364.10m2 Lot in Elara: Spring Promotion - take $15,000 off package price! 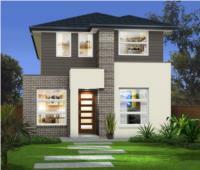 At New Edge we focus on home design so we can build homes to cater to all different tastes and lifestyles. 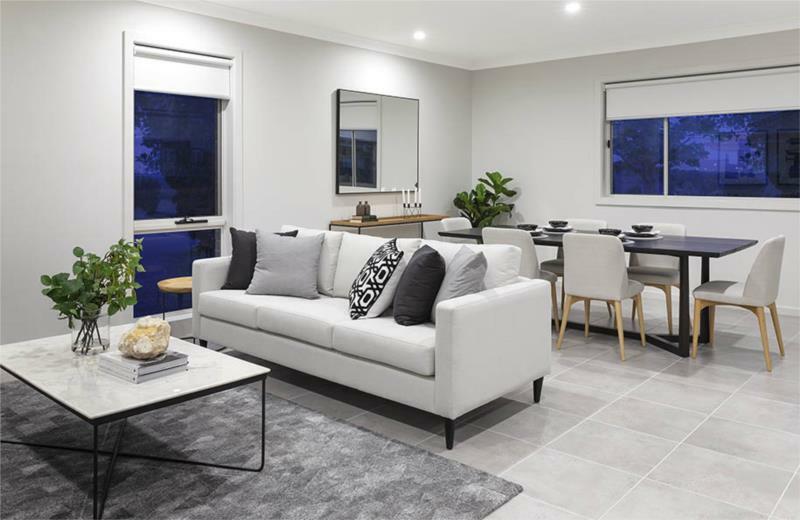 Gregory Hills is the ideal backdrop to our elegant and timeless homes and with gorgeous views, access to transport and a town centre to feature at the heart of the master planned suburb, a New Edge home in Gregory Hills will be the perfect place to live. When you think of New Edge homes, think of seamlessly entwined living spaces, designs that ooze with elegance and architectural appeal, where luxury meets functionality and if you can believe it – affordability. 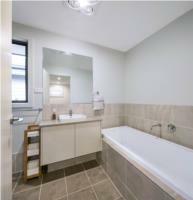 Sound nice? 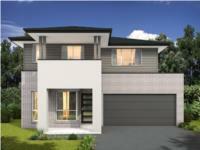 Well now your able to buy your own New Edge designed dream home in Cobbitty. - Already Registered - Start your Dream Home today! 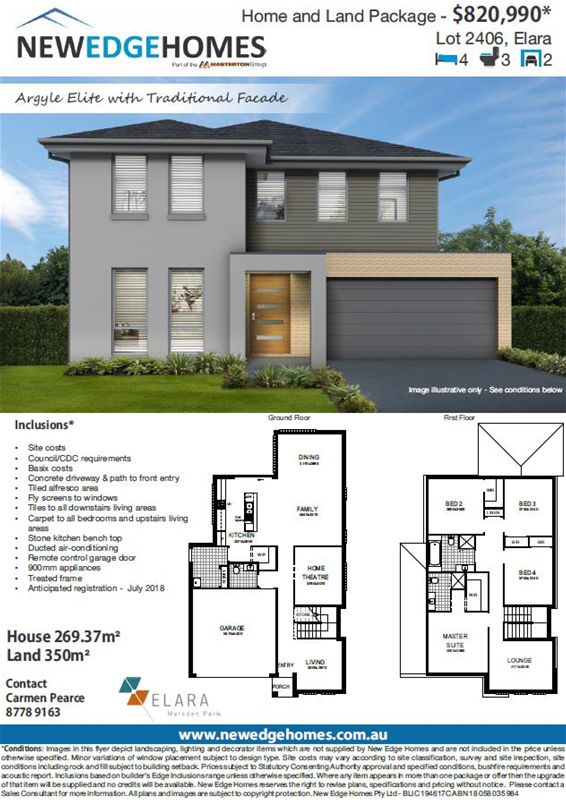 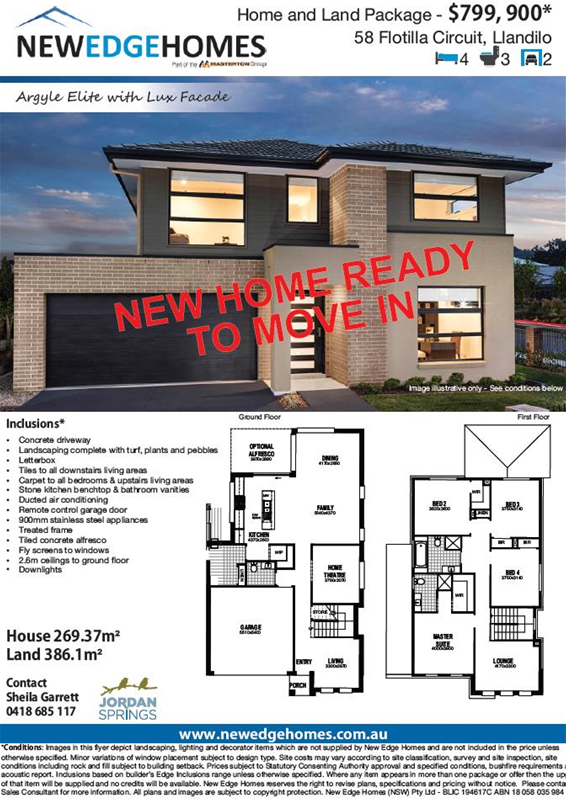 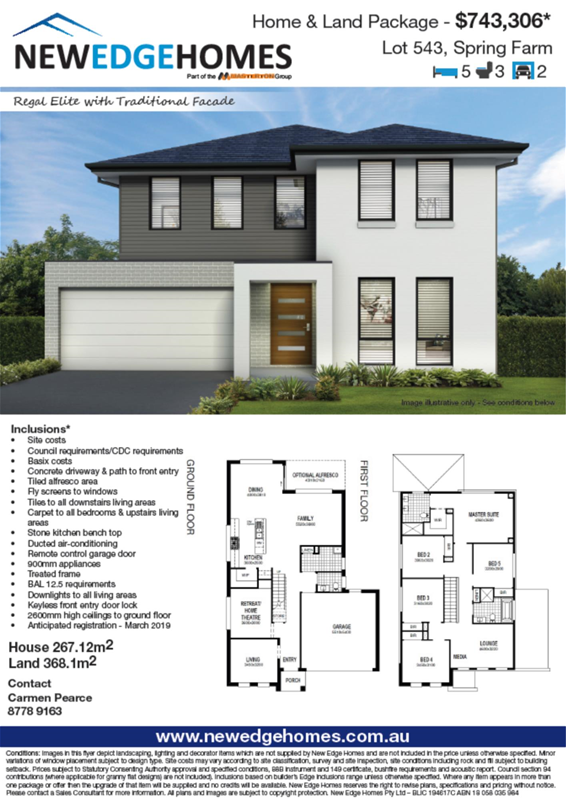 You can become part of this new village style community and live in your new dream home by taking advantage of our fixed price home and land package from New Edge Homes (A part of the Masterton Homes Group). 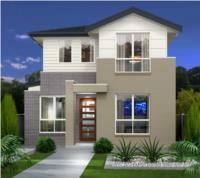 - Great investment opportunity. 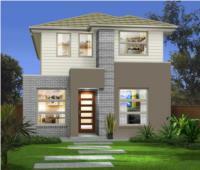 5% down and no more to pay until completion! 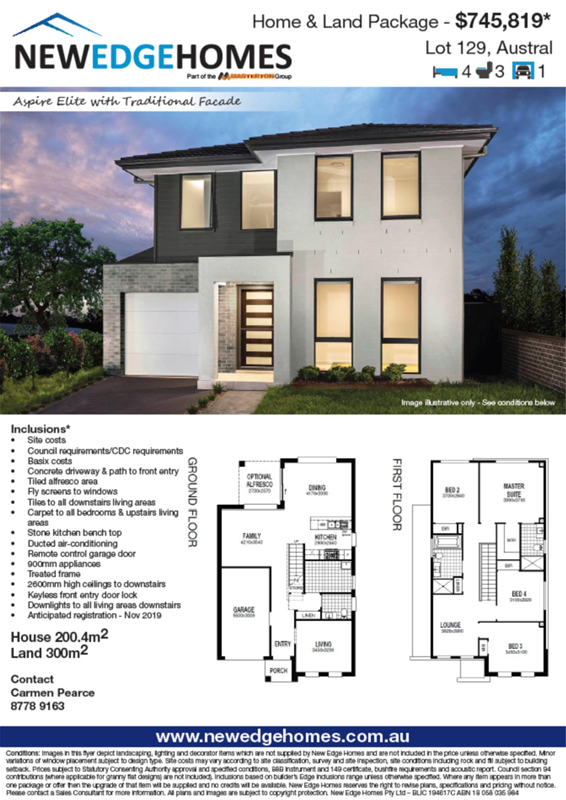 When you think of New Edge homes, think of seamlessly entwined living spaces, designs that ooze with elegance and architectural appeal, where luxury meets functionality and if you can believe it – affordability. 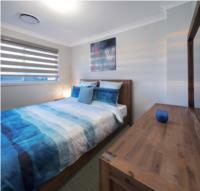 Sound nice? 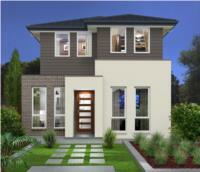 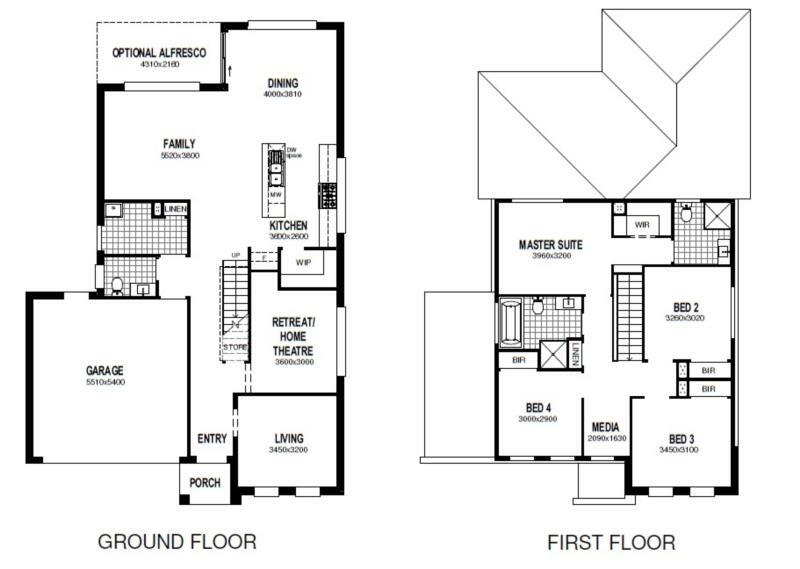 Well now your able to buy your own New Edge designed dream home at The Hills of Carmel. 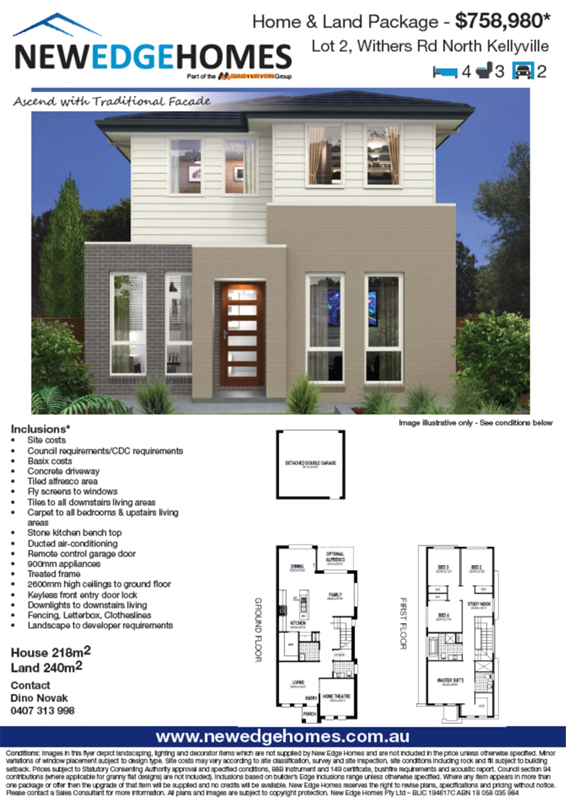 New Edge Homes "Regal - Vibe Facade" on a 312.50m2 Lot in Elara: Spring Promotion - take $15,000 off package price! 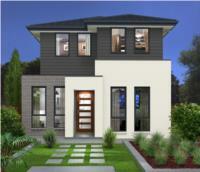 New Edge Homes "Regal - Lux Facade" on a 313.80m2 Lot in Elara: Spring Promotion - take $15,000 off package price! 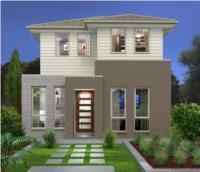 New Edge Homes "Regal - Eden Facade" on a 312.50 m2 Lot in Elara: Spring Promotion - take $15,000 off package price! Find your new dream home in the wide open space of Emerald Hills, a new master planned community situated within a dynamic region and close to all the infrastructure you need. 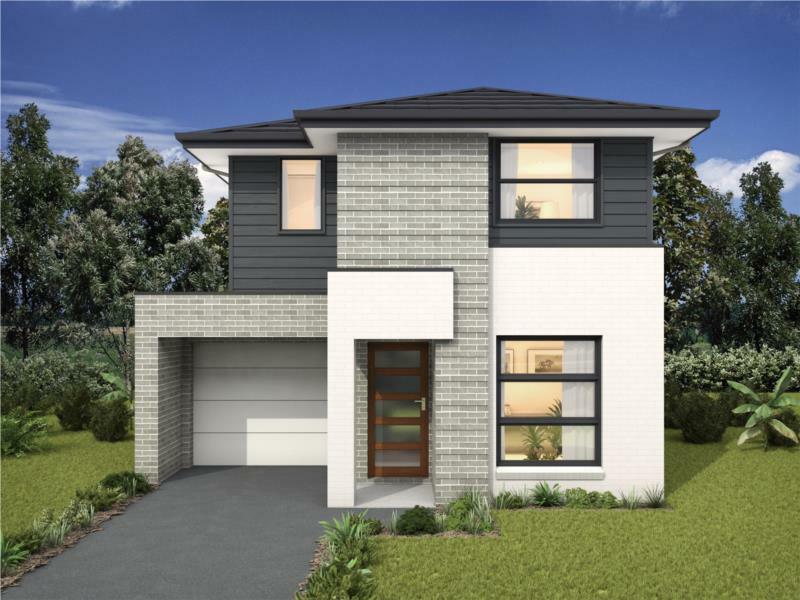 With a network of paths and you can enjoy the gorgeous bushland while being within arm’s reach of new rail networks, upgraded roads, local bus networks and key employment precincts. 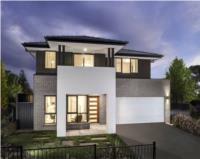 New Edge Homes "Argyle Elite with Eden Facade" on a 355m2 Lot in Elara. 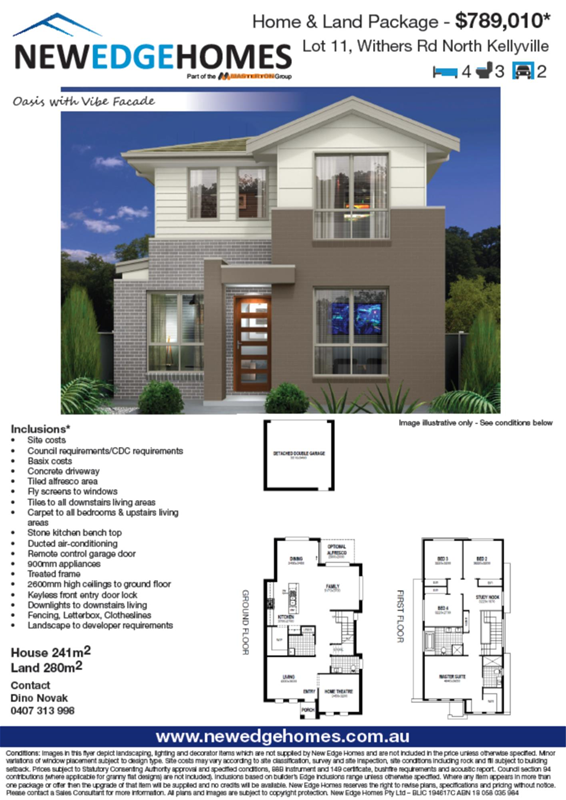 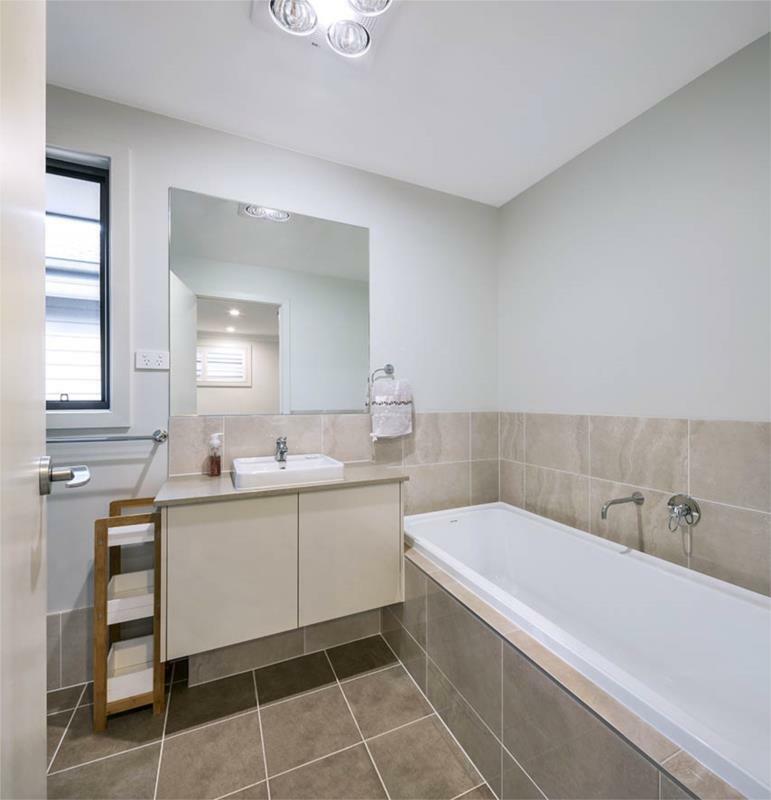 Great investment opportunity, 5% deposit and balance on completion. 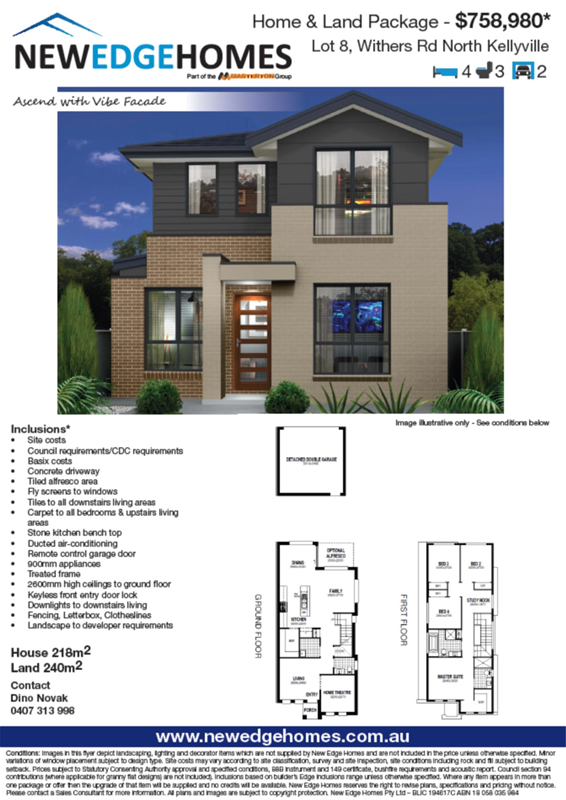 Contact us now for more information on this great package. 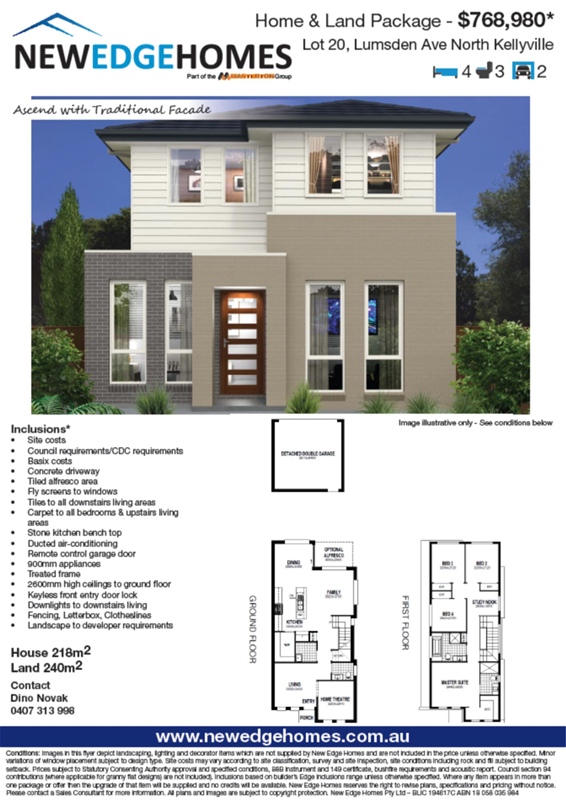 New Edge Homes "Regal Elite - Traditional Facade" on a 350m2 Lot in Elara: Spring Promotion - take $15,000 off package price! 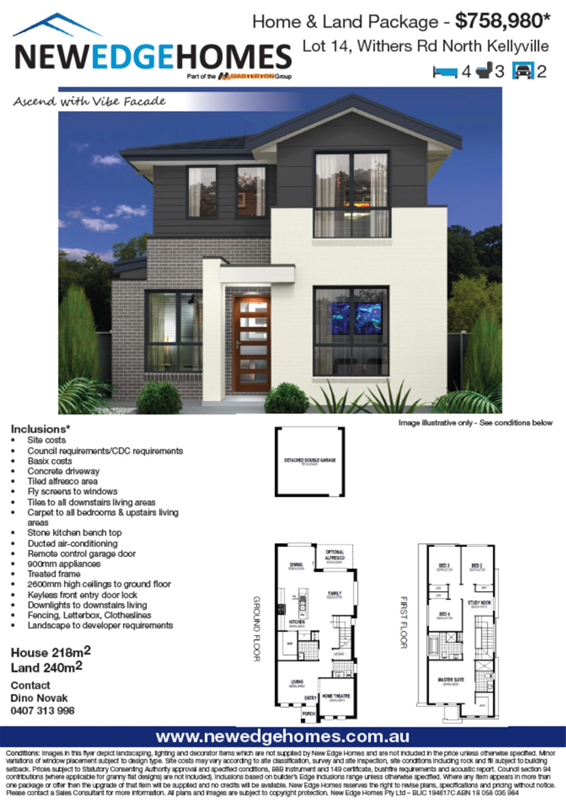 Contact us now for this great package! 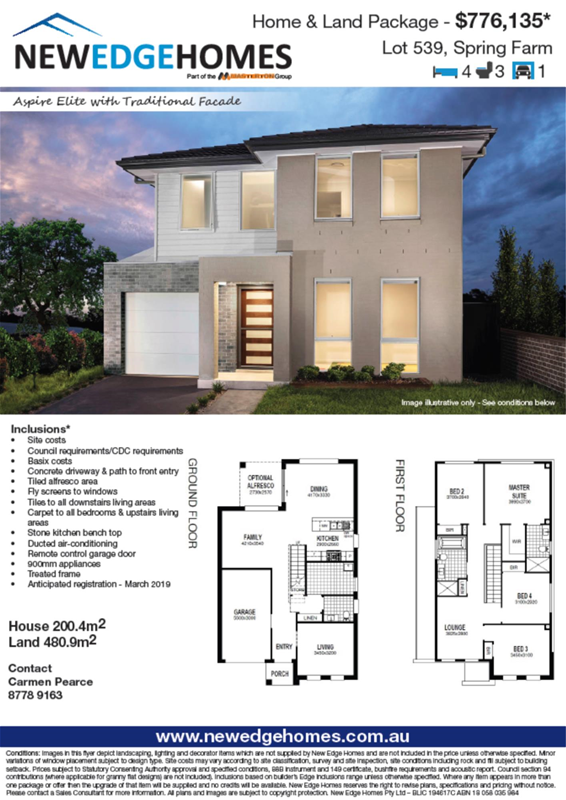 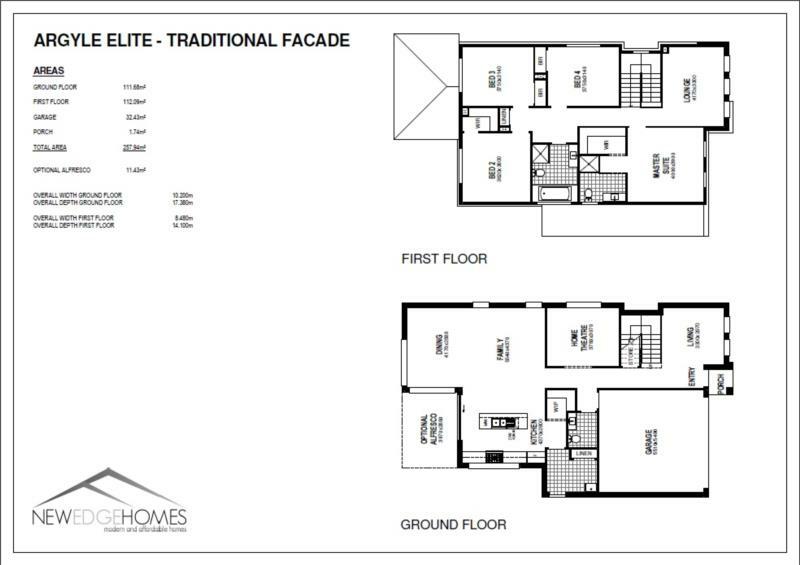 New Edge Homes "Argyle Elite - Eden Facade" on a 350m2 Lot in Elara: Spring Promotion - take $15,000 off package price!